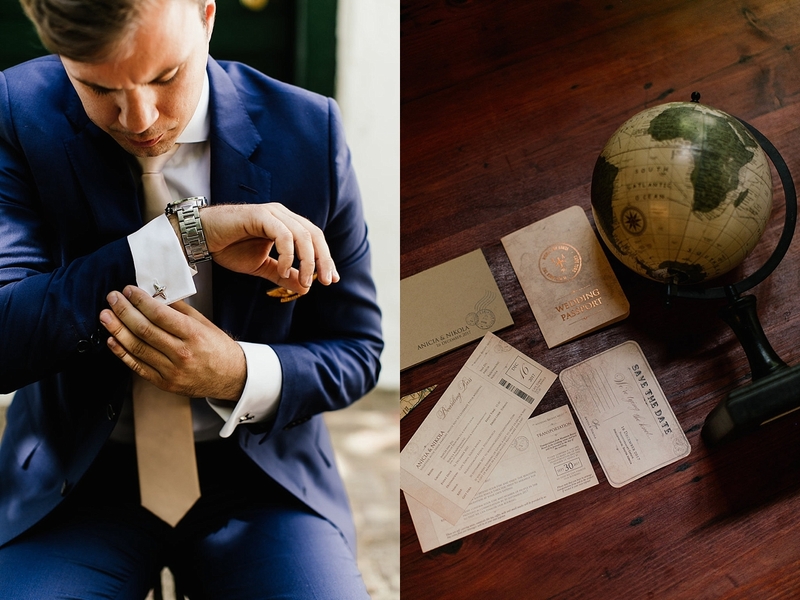 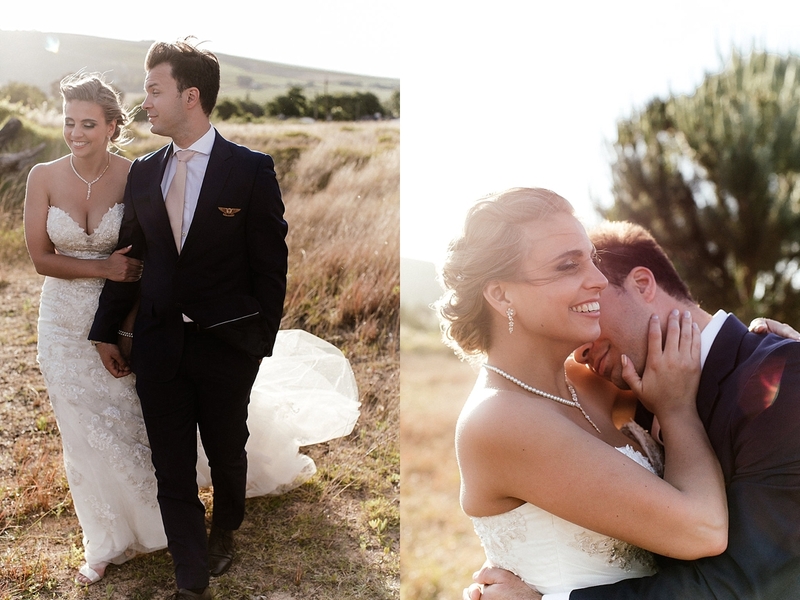 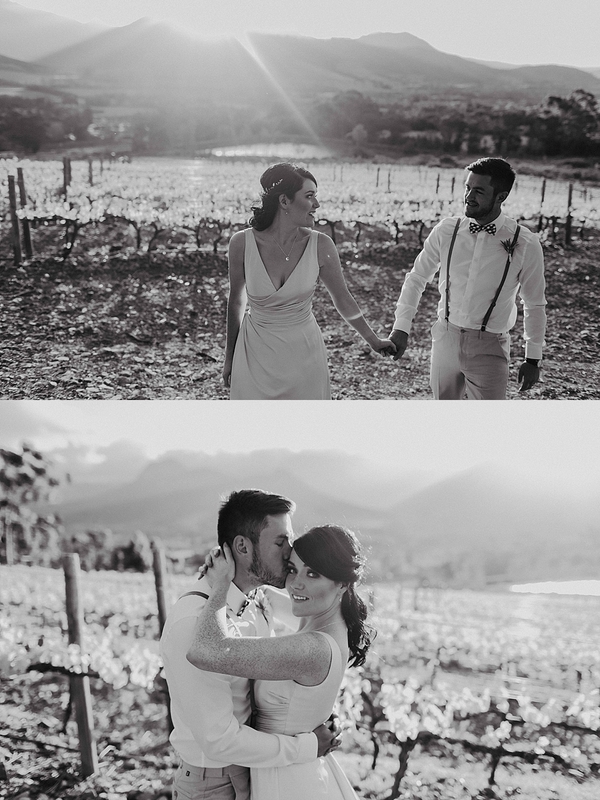 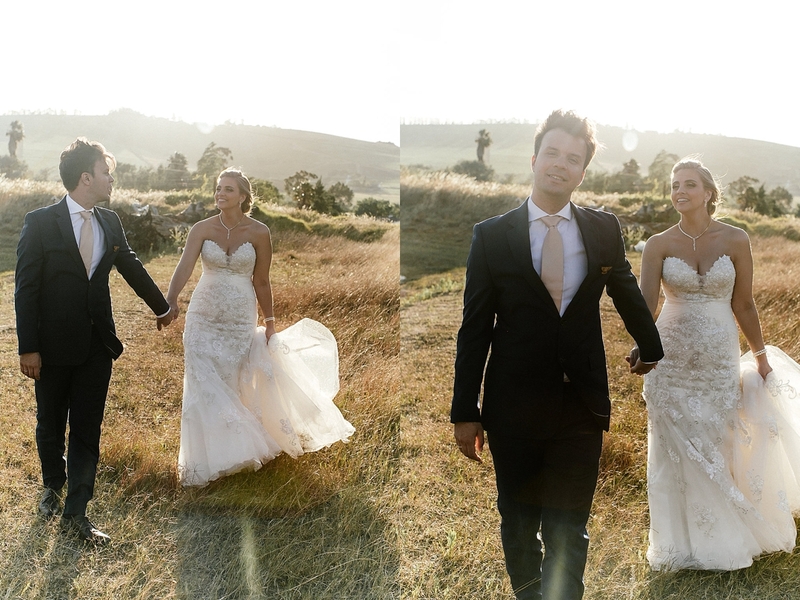 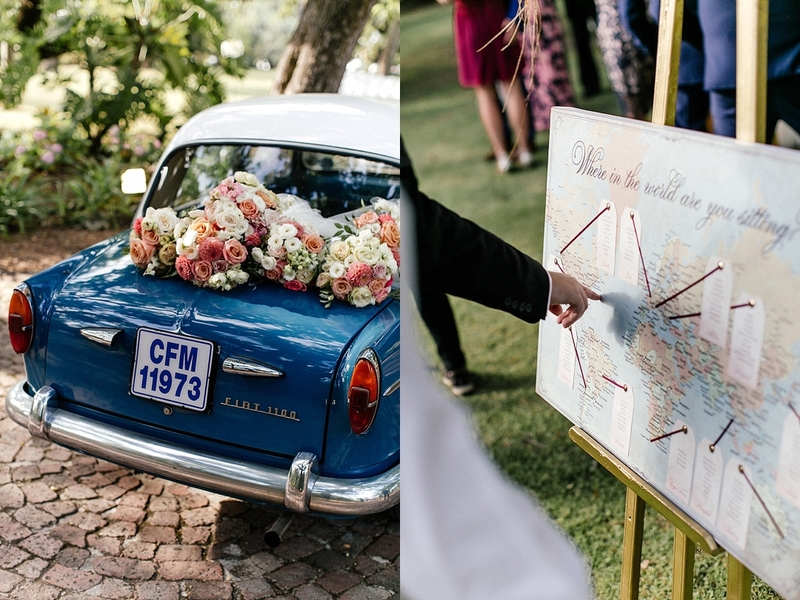 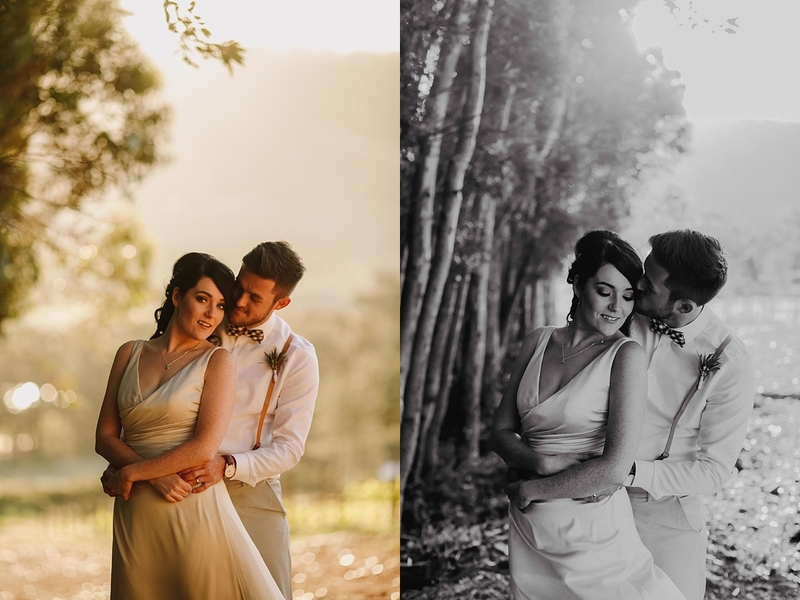 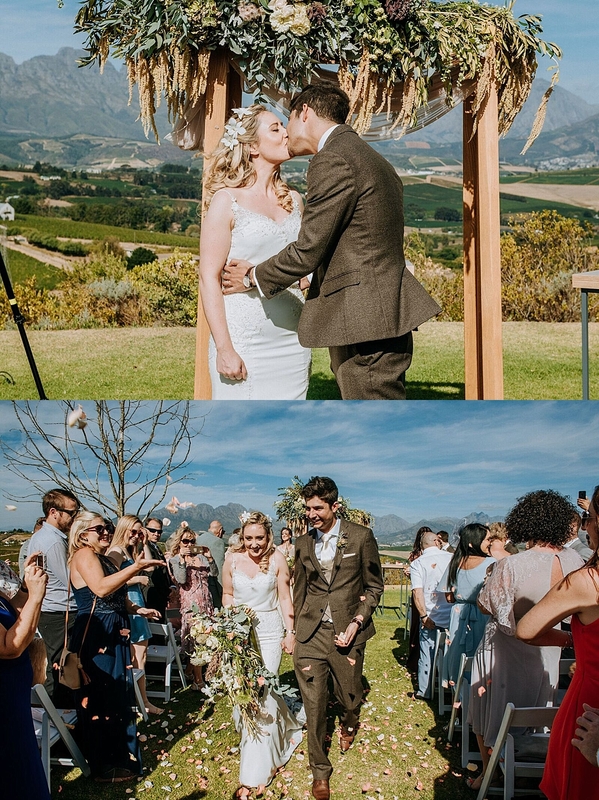 Kirsti and Justin flew from the UK to celebrate their dream summer wedding with friends and family in the Stellenbosch Winelands. 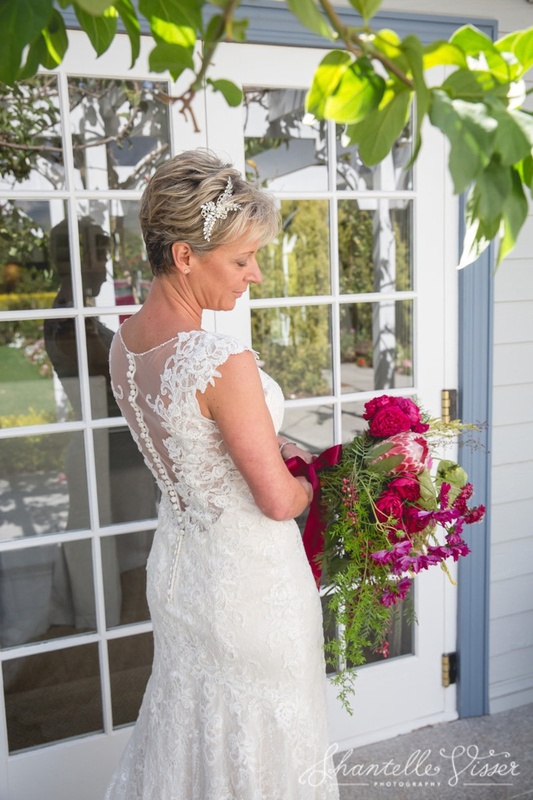 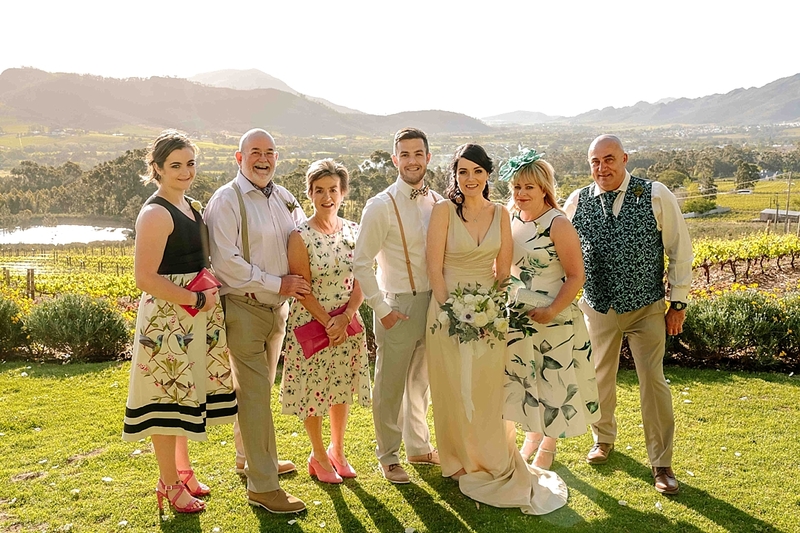 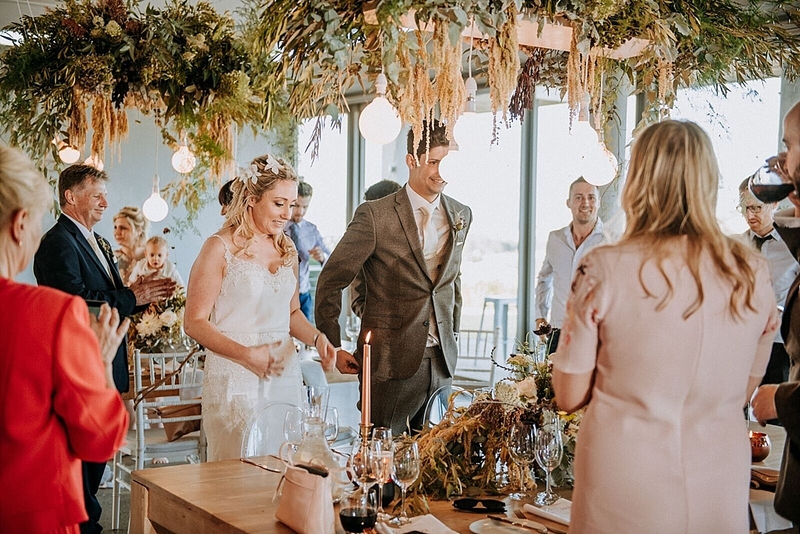 We were delighted to have had the opportunity again to plan a wedding at Landtscap – it’s always a pleasure to work with the professional and friendly team there. 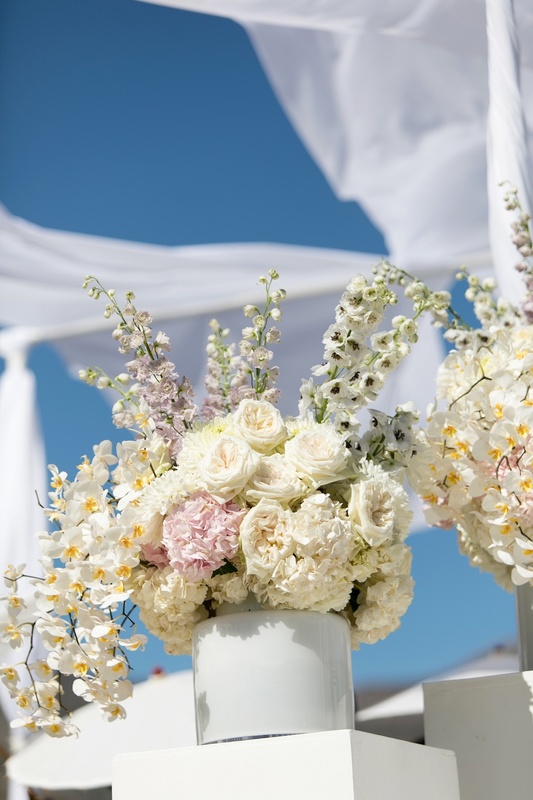 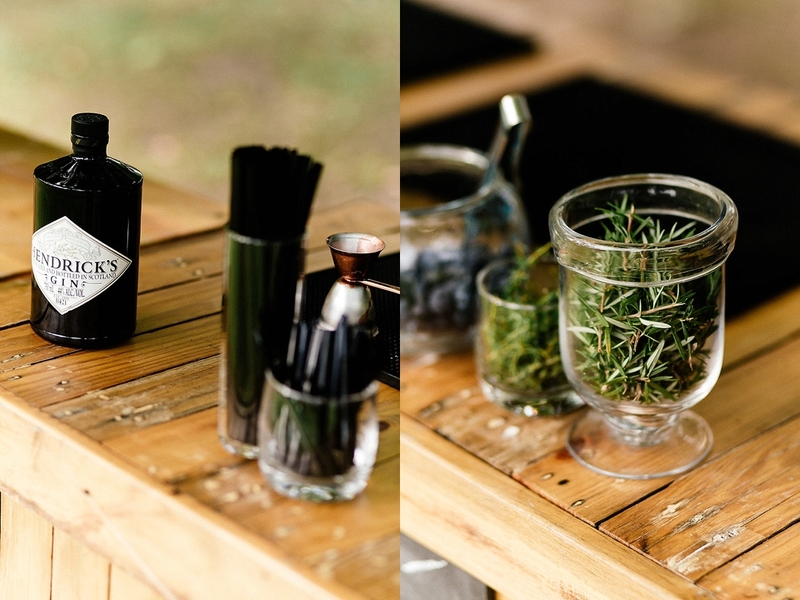 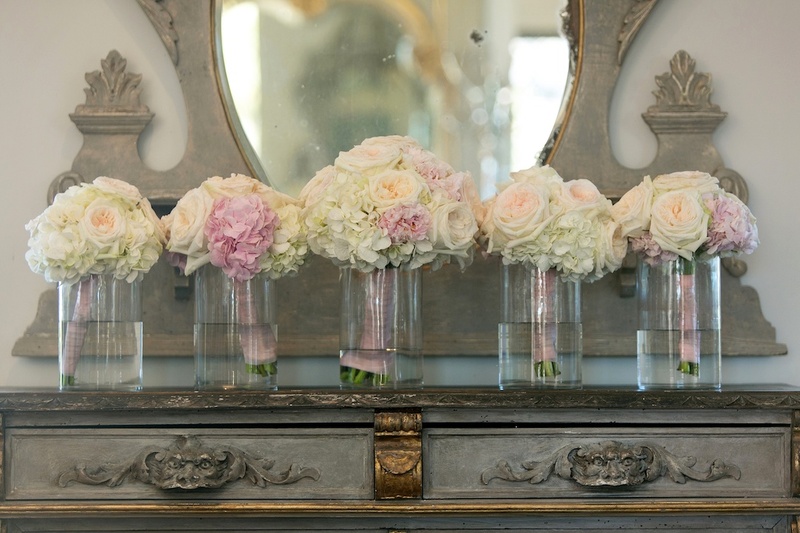 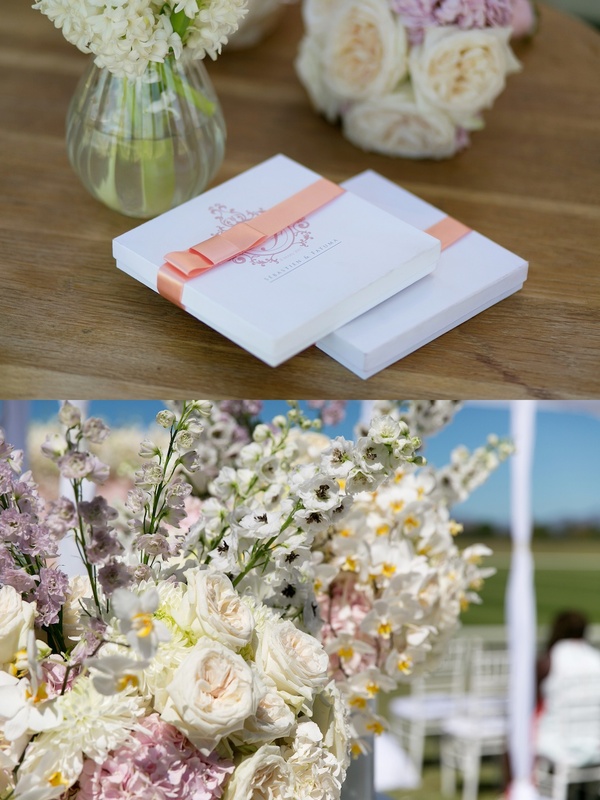 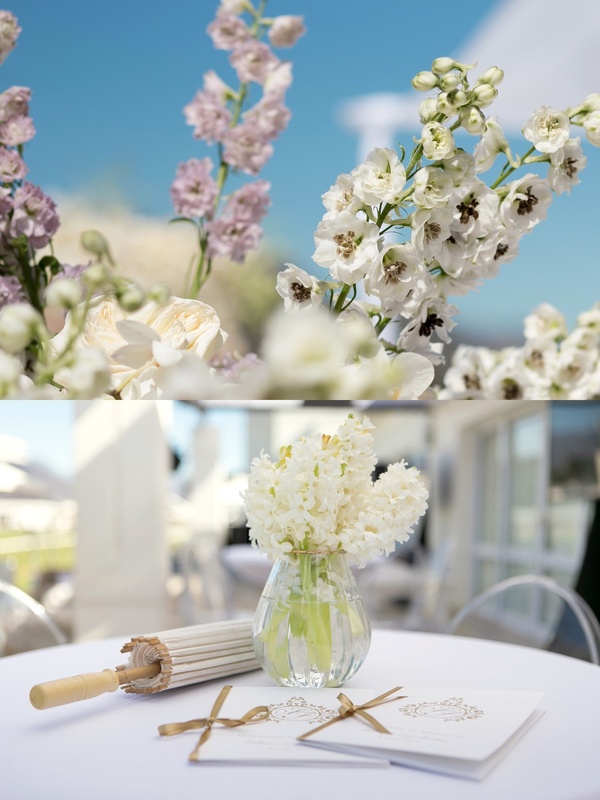 The highlight of this wedding for us was the floral design by Leipzig which perfectly mirrored the landscape outside. 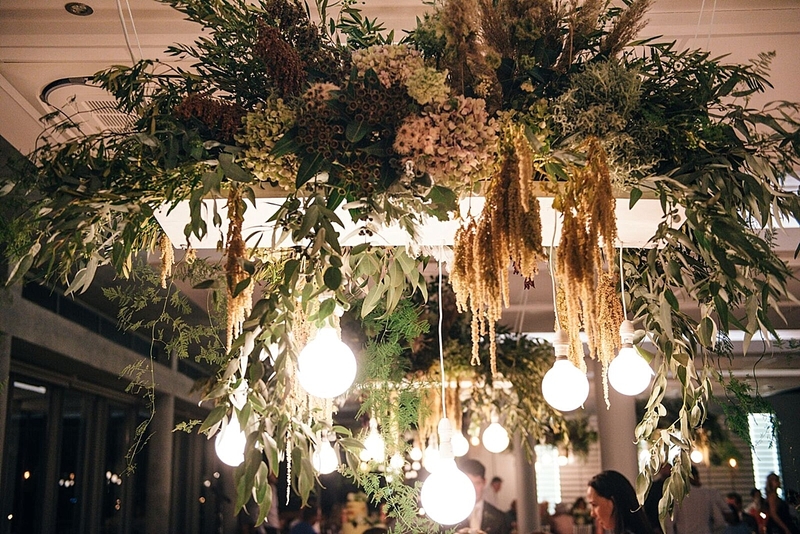 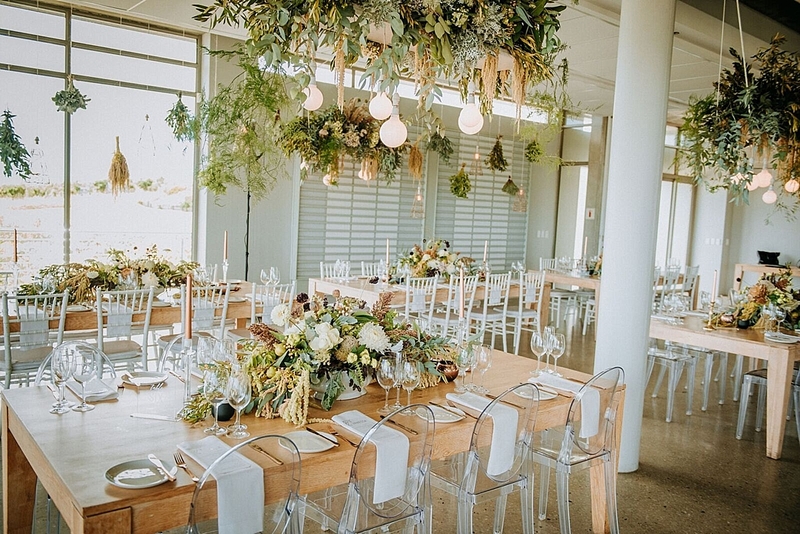 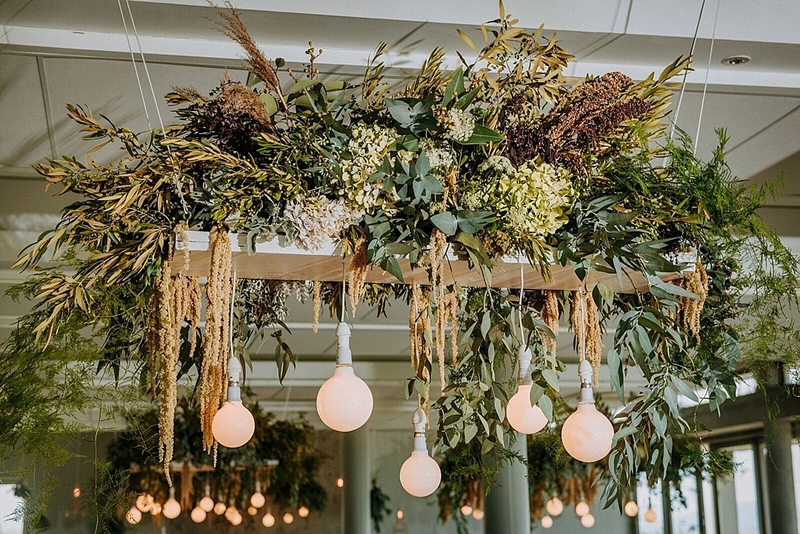 The hanging “gardens” above each table and bunches of in season plants and flowers enveloped the room in the most exquisite scents and colours! 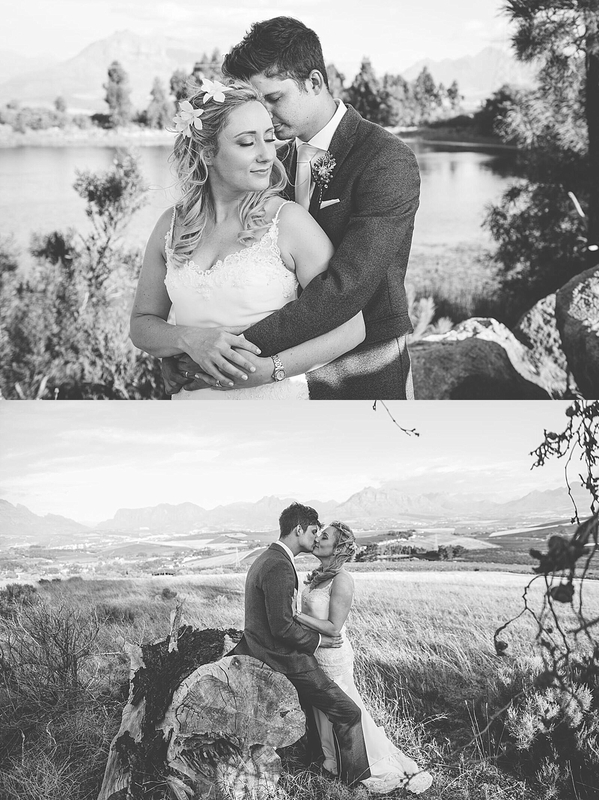 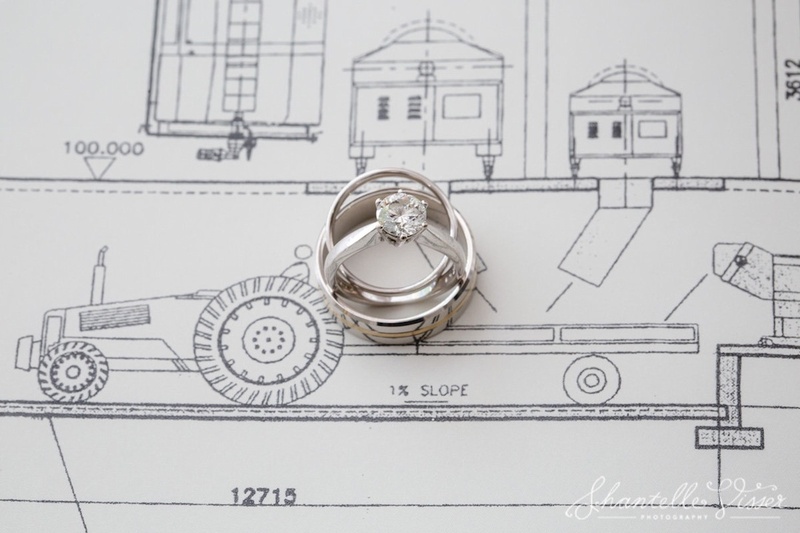 Thank you Kirsti and Justin, for trusting us with planning your wedding. 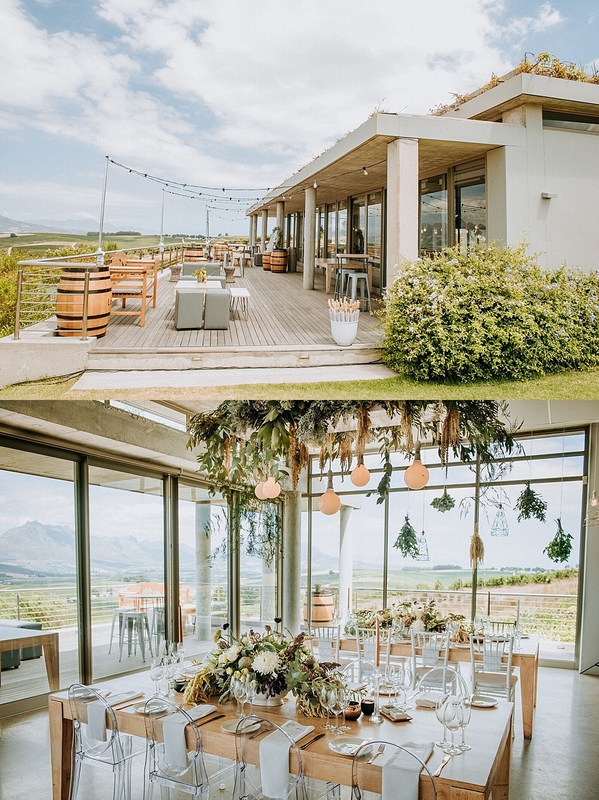 You met us and saw the venue for the first time in the week before the wedding! 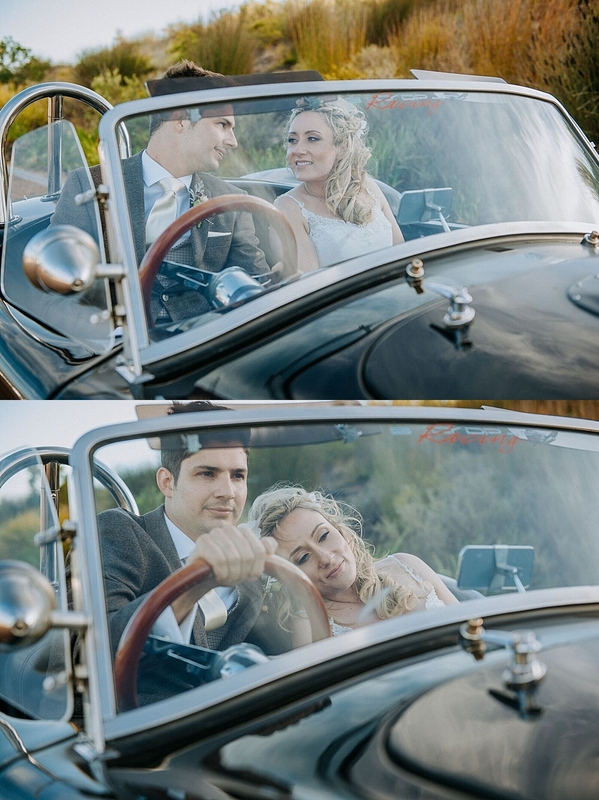 That’s trust! 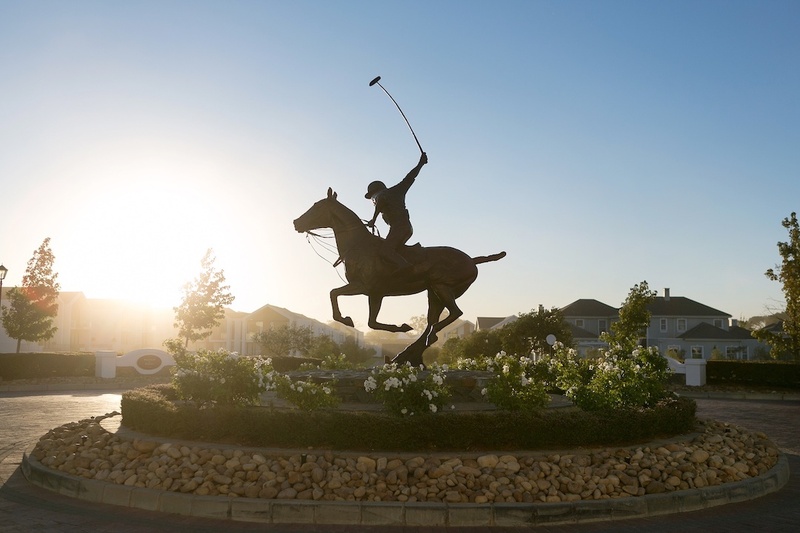 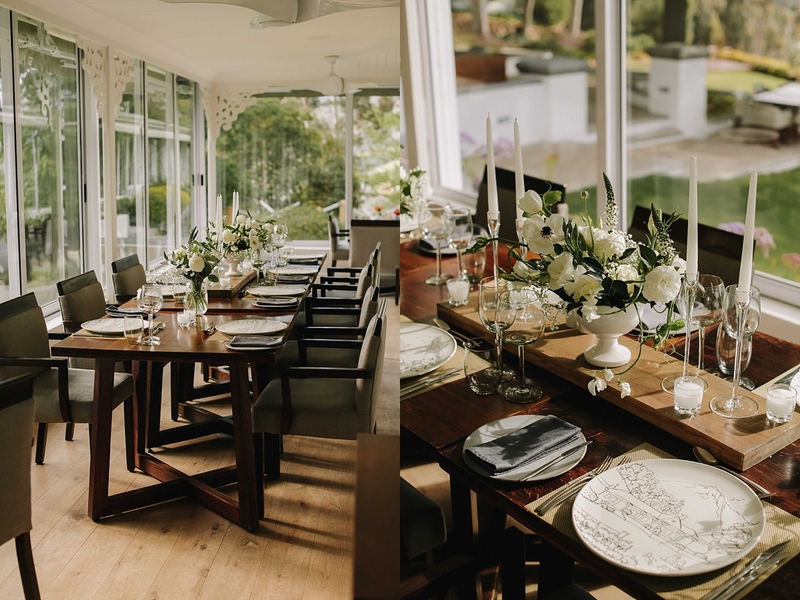 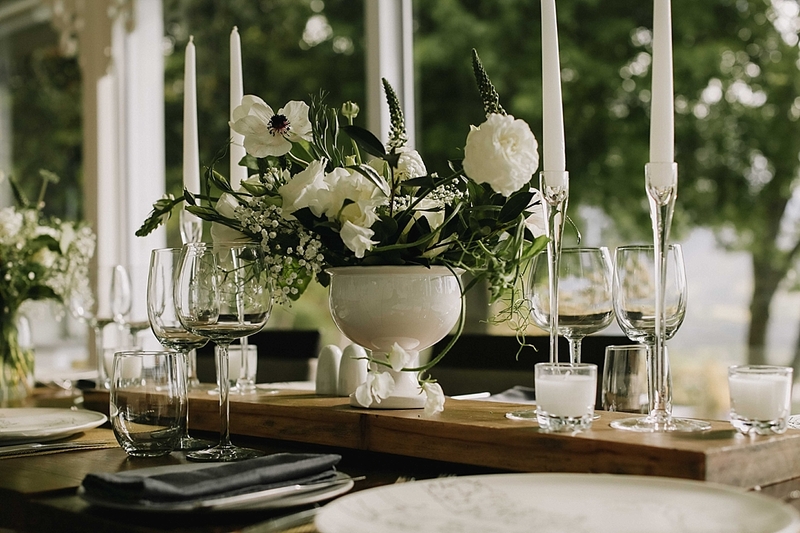 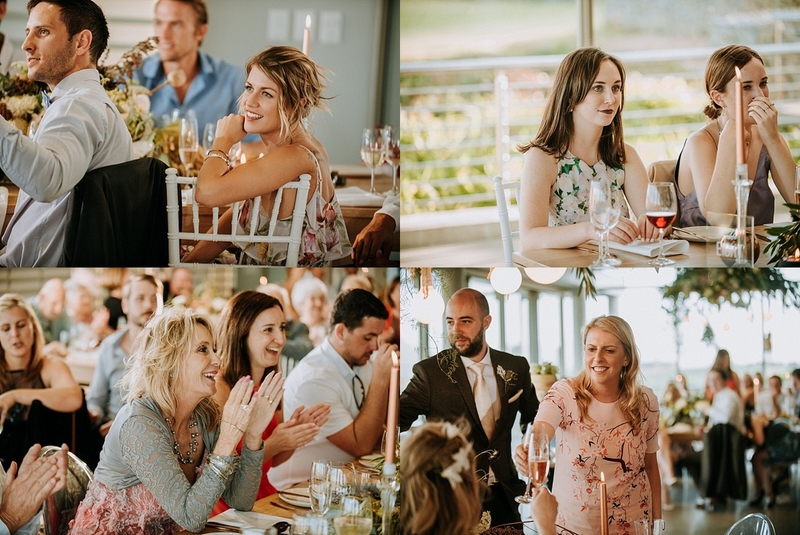 I think we just clicked from the start and understood your vision – an intimate celebration of you love in a beautiful place with a view that sums up the beauty of the Cape. 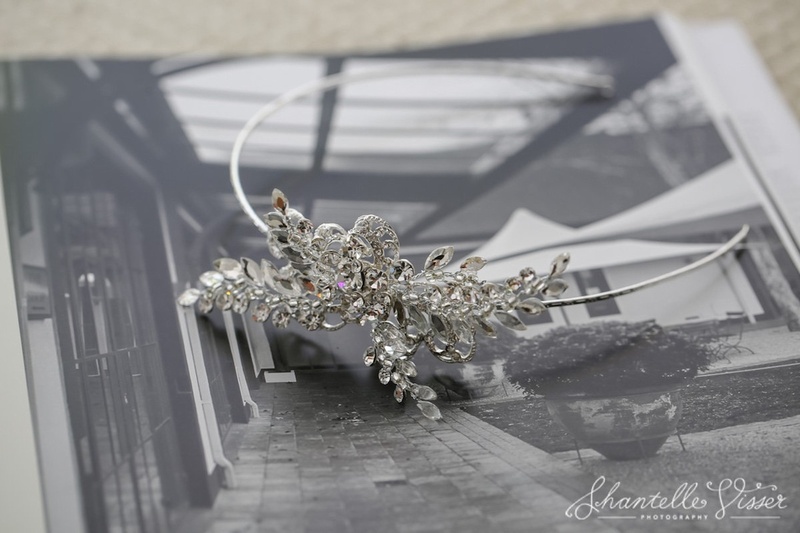 Thank you so much!! 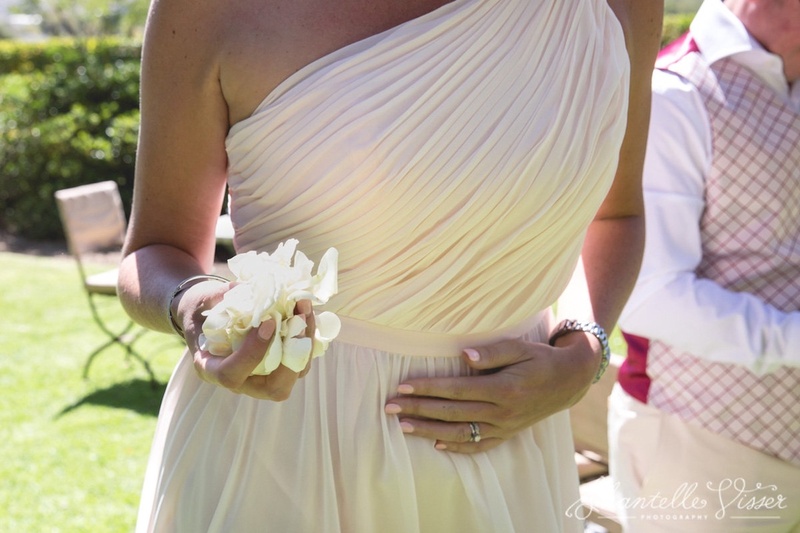 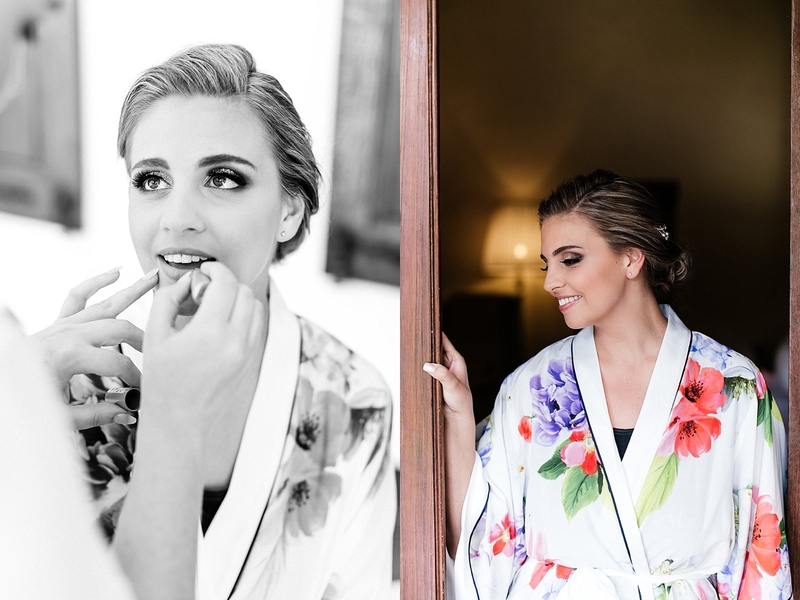 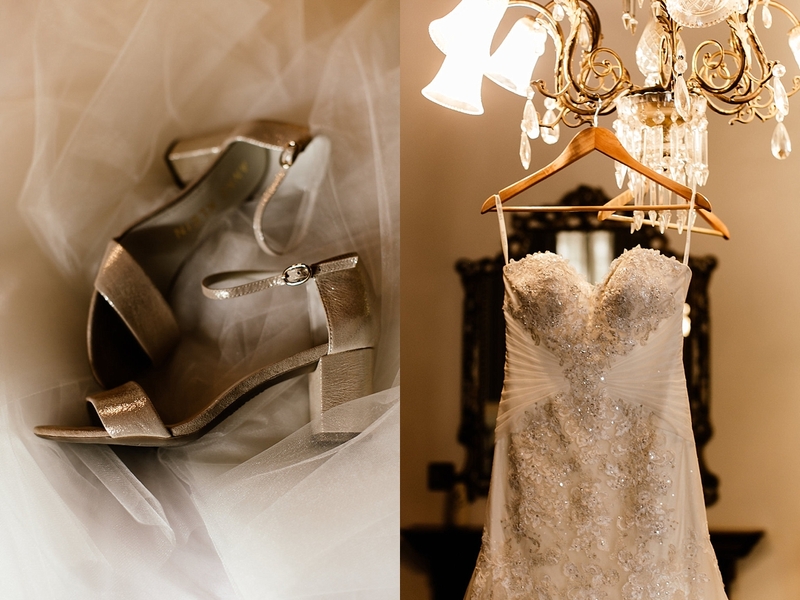 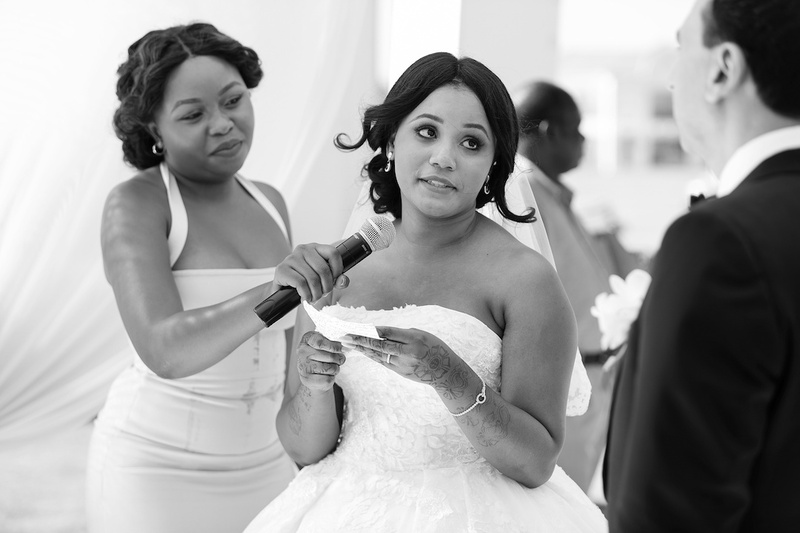 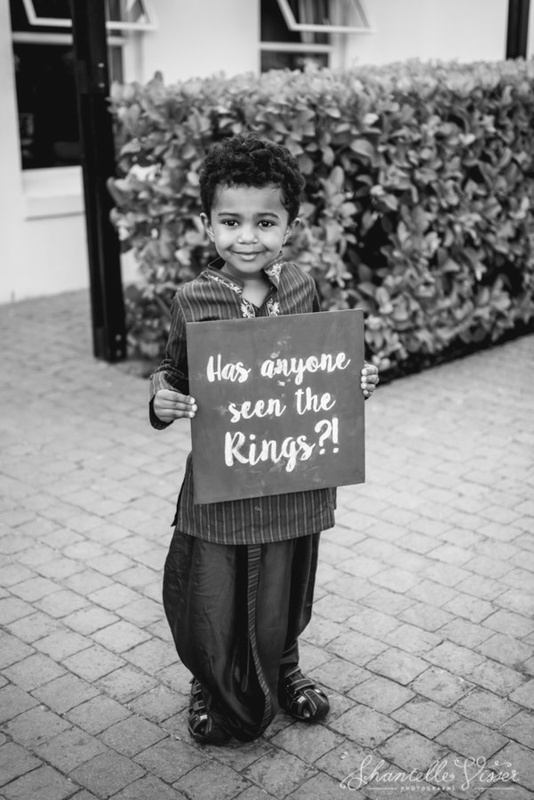 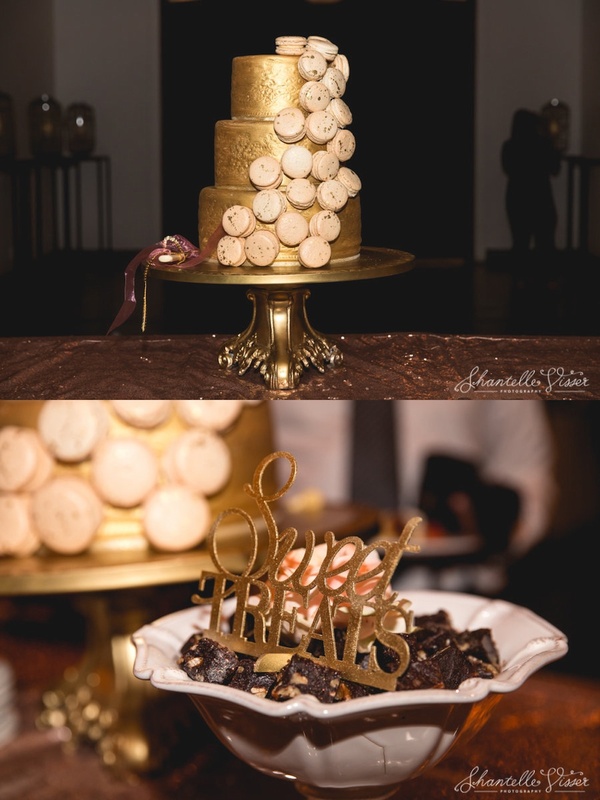 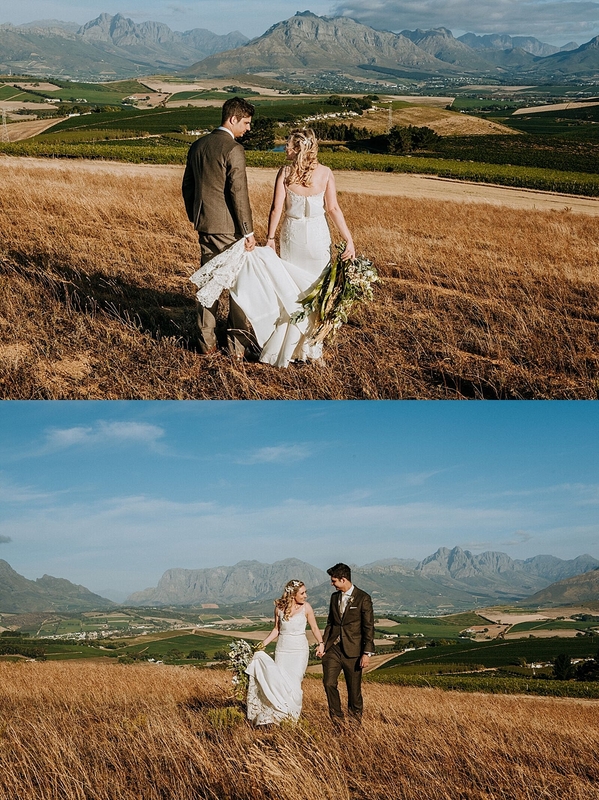 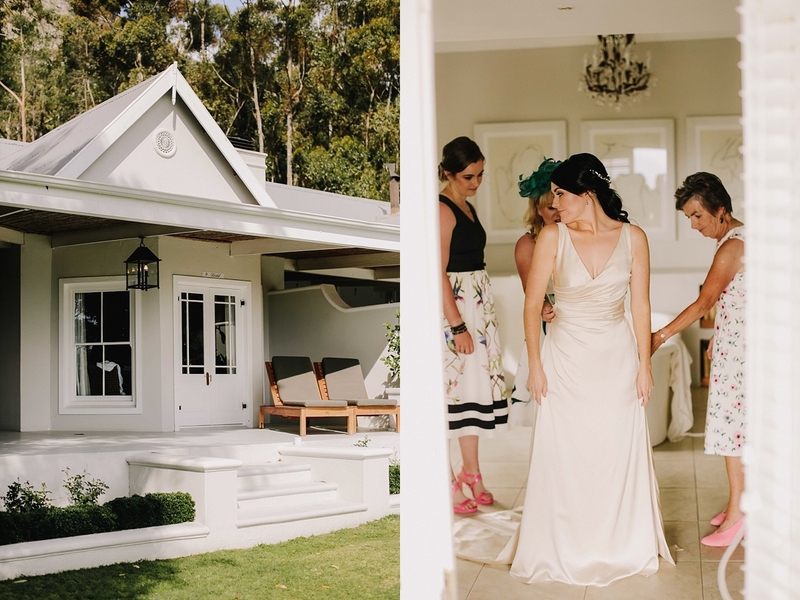 I must admit it was a huge decision to have our big day in The Cape knowing that we were handing over the control… but oh WOW! 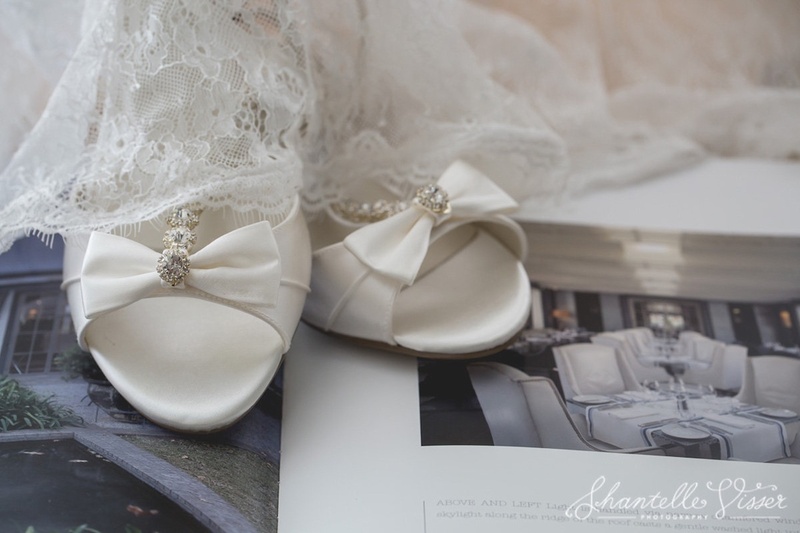 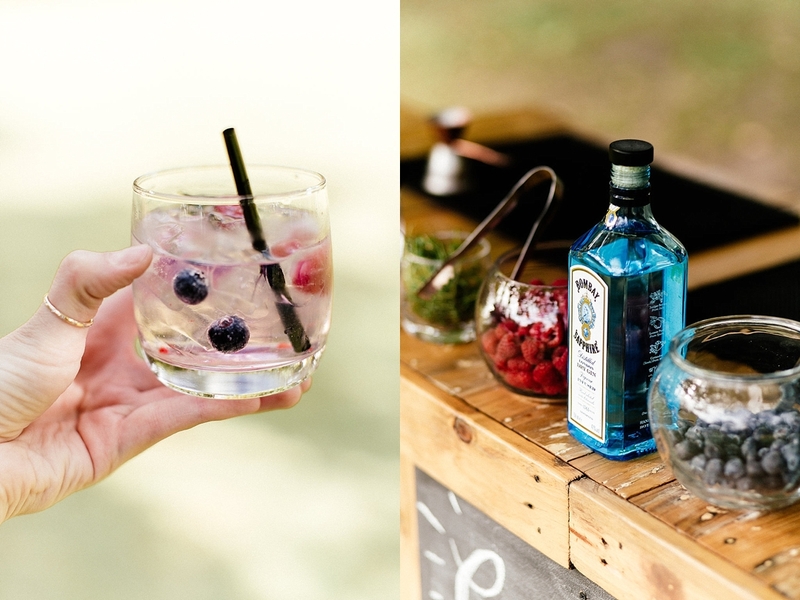 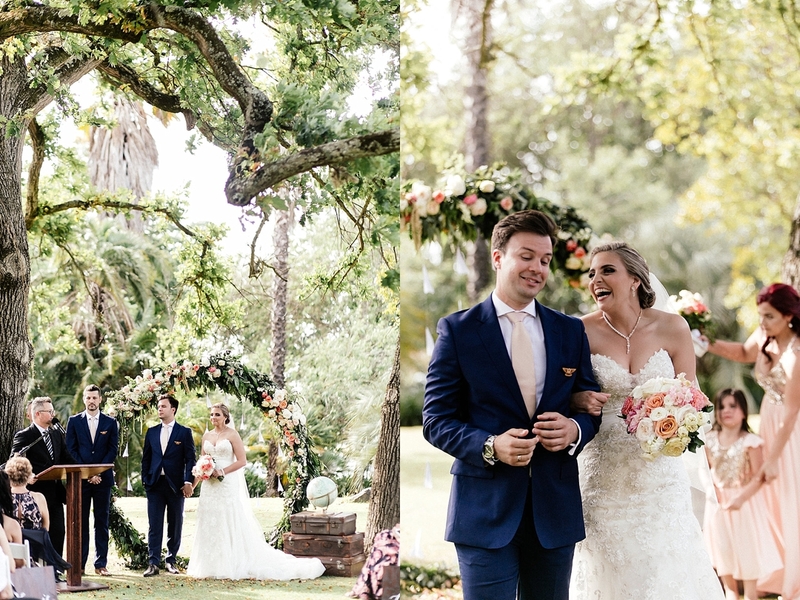 We couldn’t have asked for anything more… it was the most stress free wedding ever… everything went so so smoothly and we just had the most beautiful day, it really was just perfect! 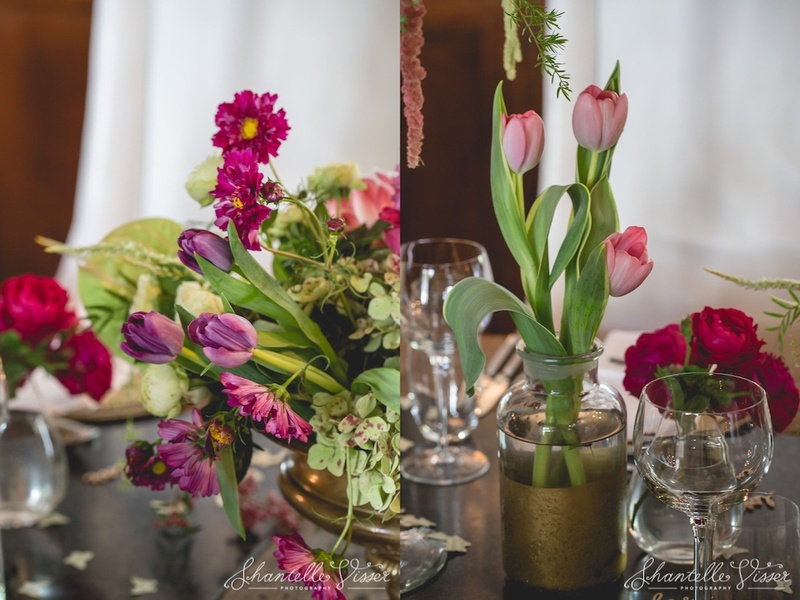 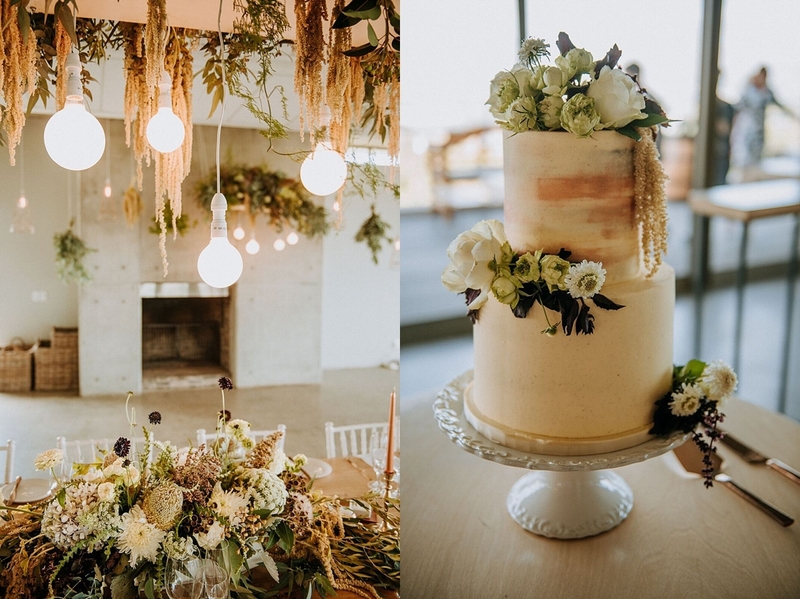 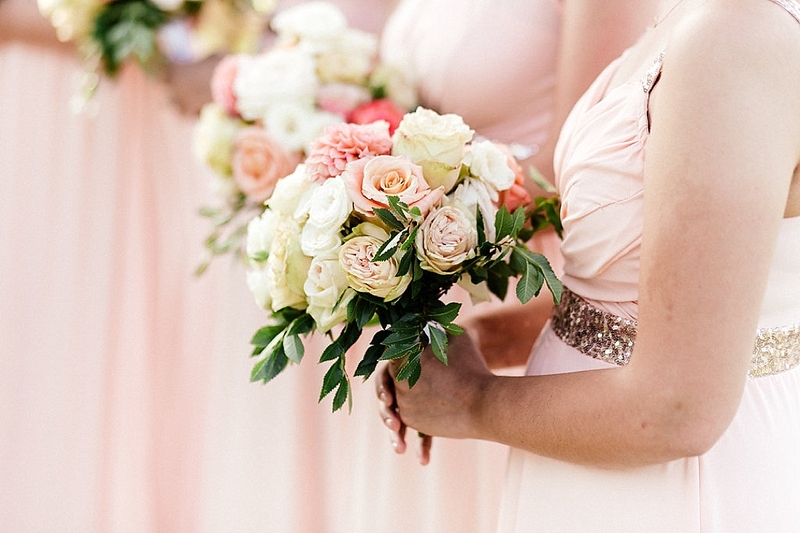 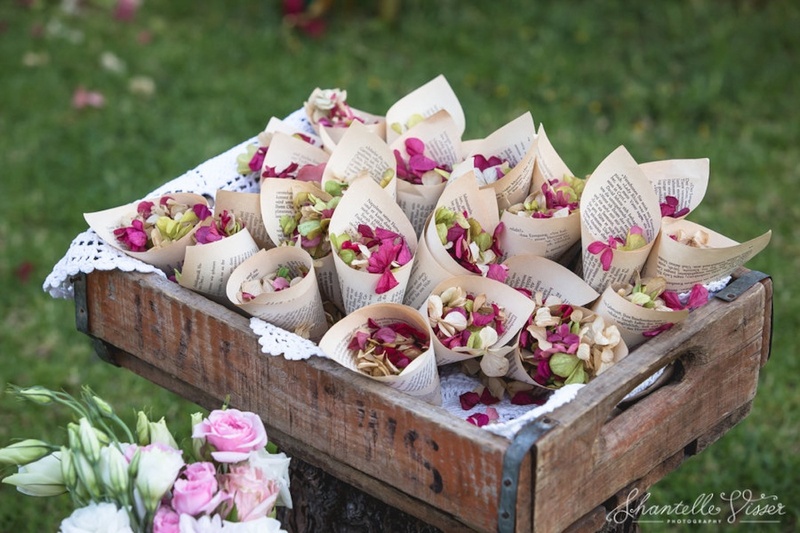 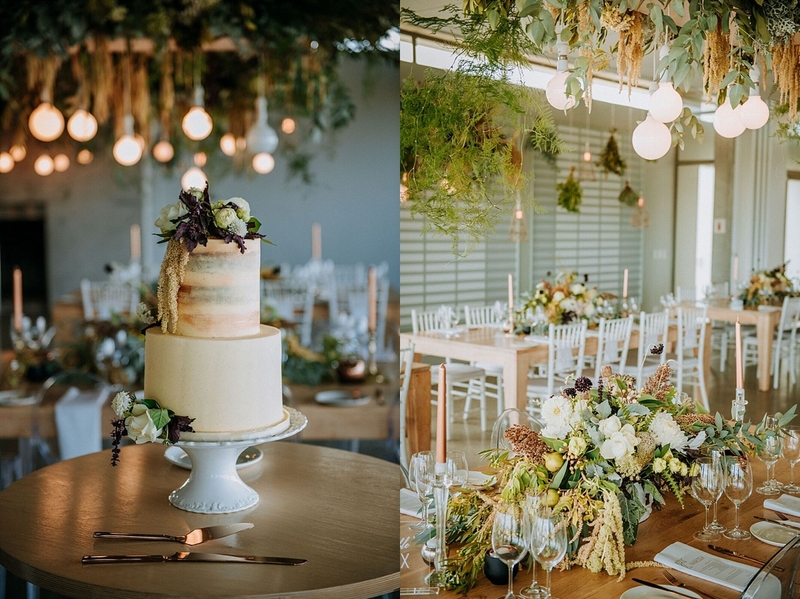 The setting, the venue, the food, the flowers, the decor, the make up and photos are stunning! 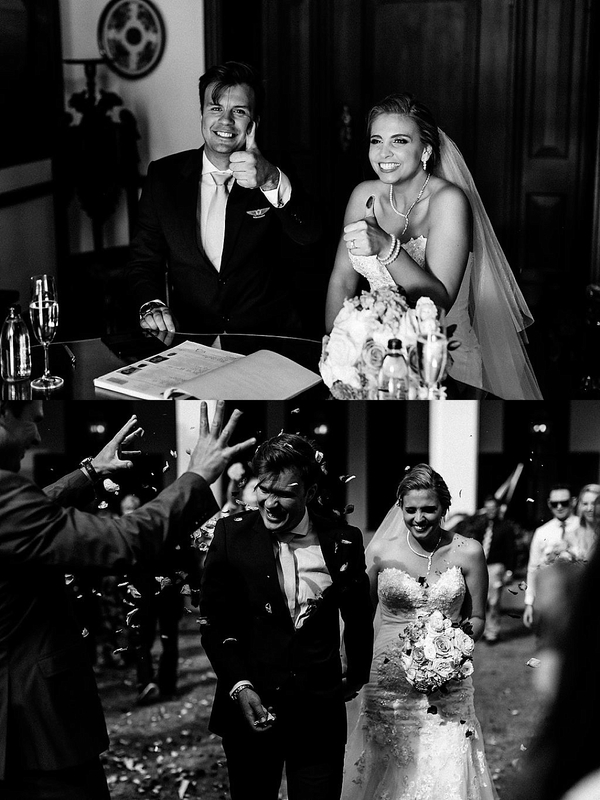 Thank you so much to everyone who made it so special for us. 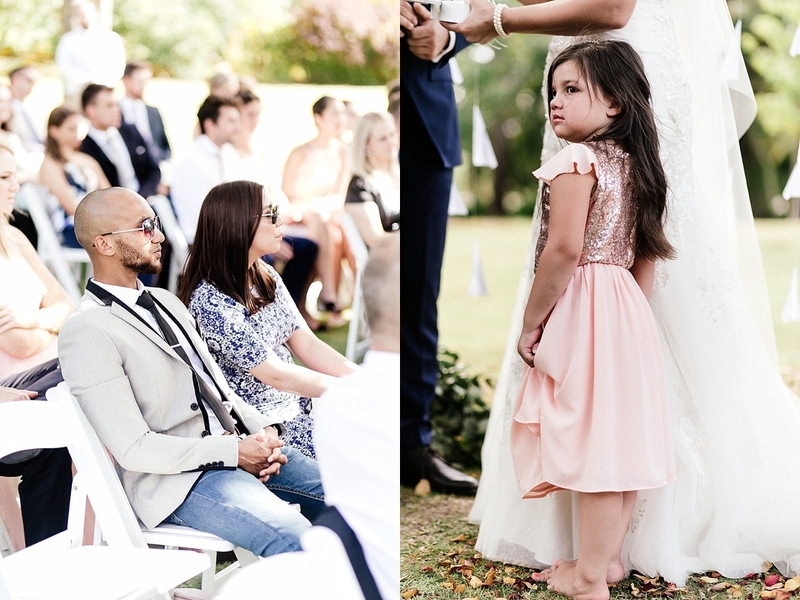 Madri, you are a superstar. 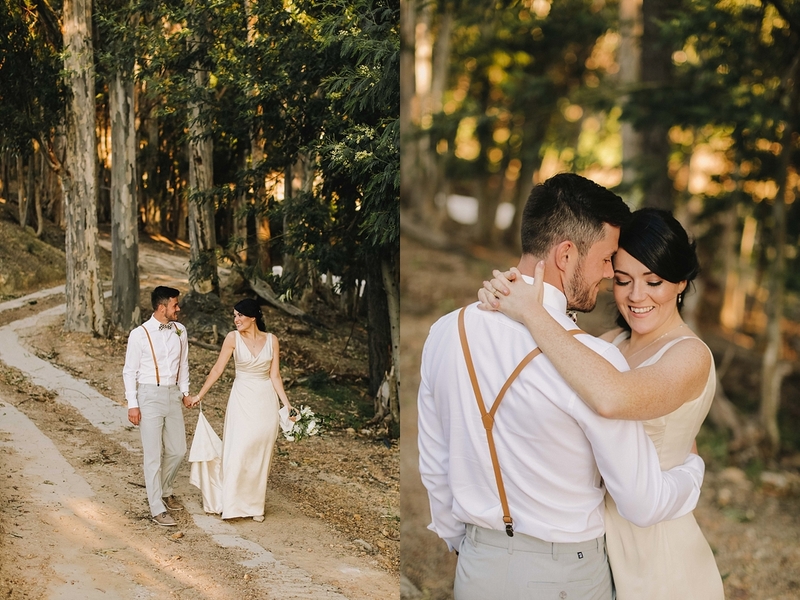 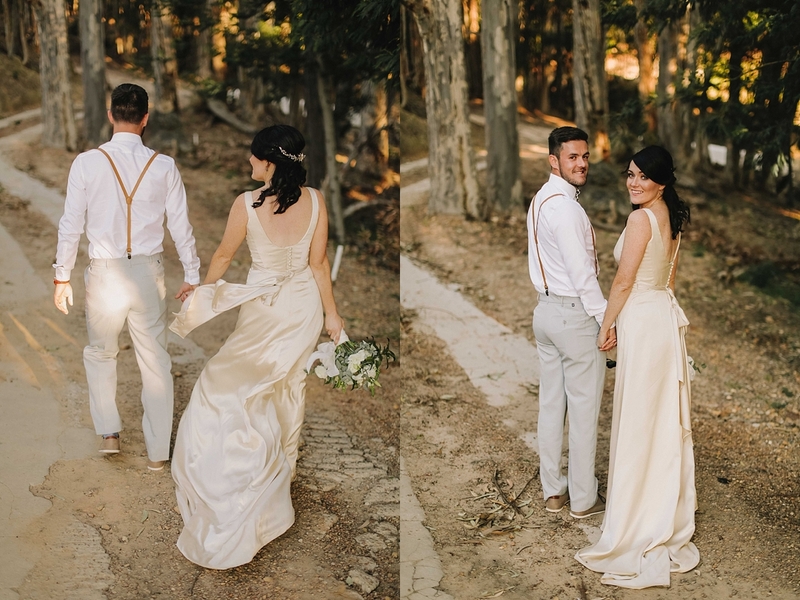 When an adventurous South African girl and a Serbian guy decide to get married (and you are lucky to get invited! 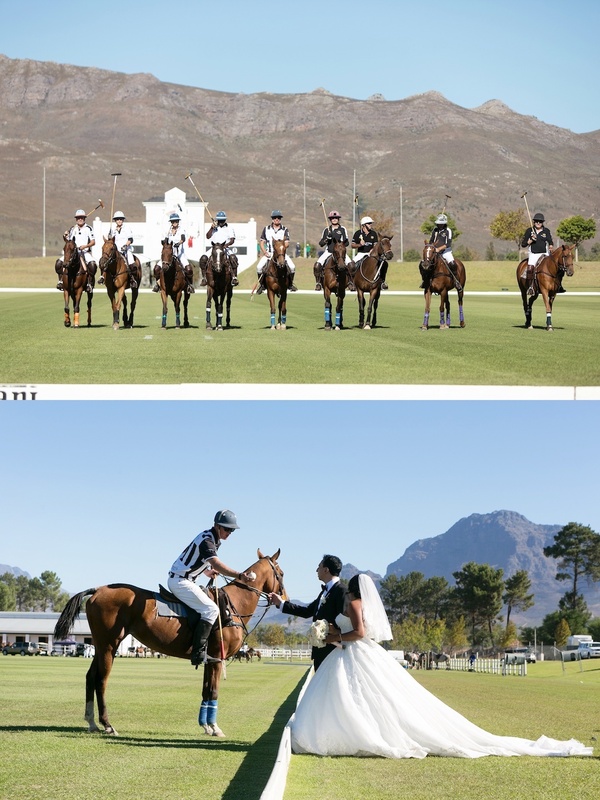 ), be assured it will be one of the most incredible celebrations you will experience. 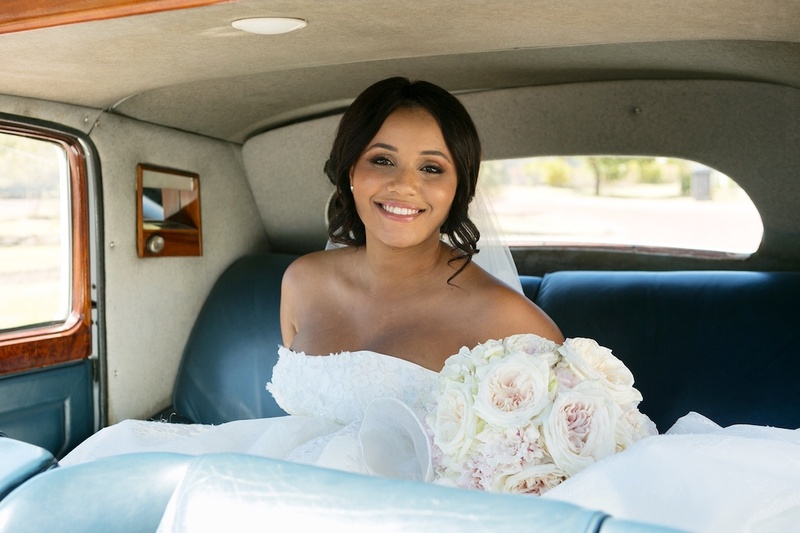 Anicia and Nikola both work as cabin crew for Emirates and met on a flight to Cape Town in 2015. 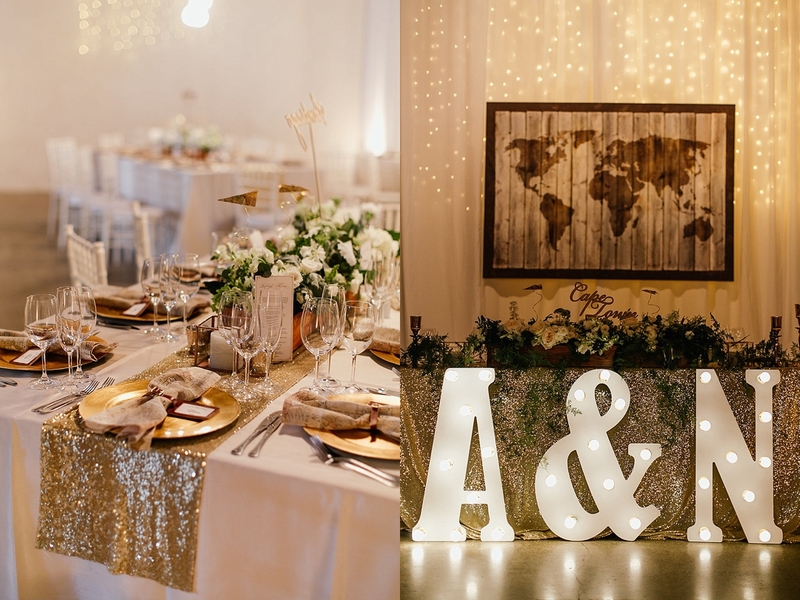 It was not long before Nikola proposed in the Maldives on Anicia’s birthday in the most romantic way (a private candle lit dinner followed by a treasure hunt on the beach…). 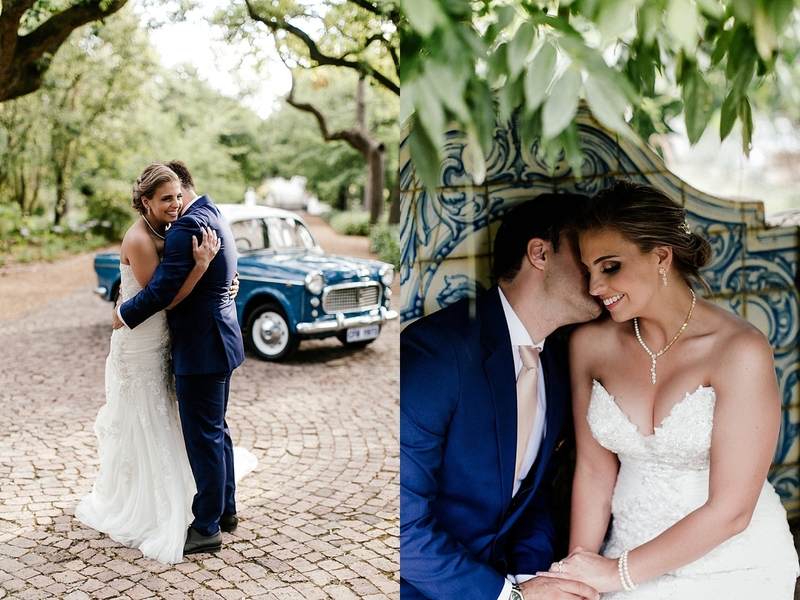 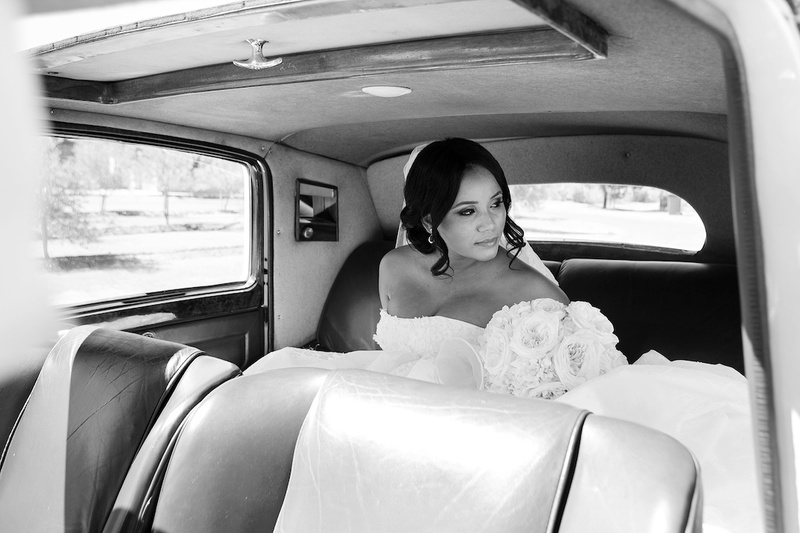 We are privileged to plan weddings for the best people and seeing how much love and pure happiness there are between couples such as Anicia and Nikola makes us smile for days. 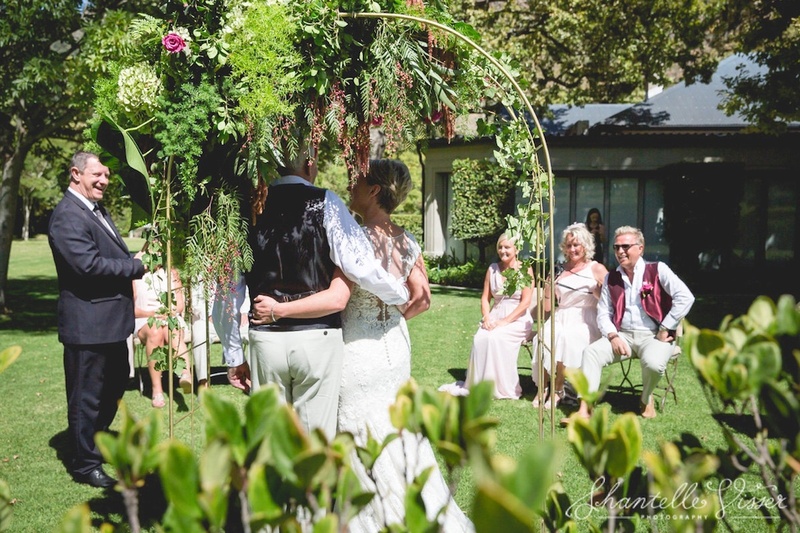 We hope you continue your journey and stay in love just the way you are! 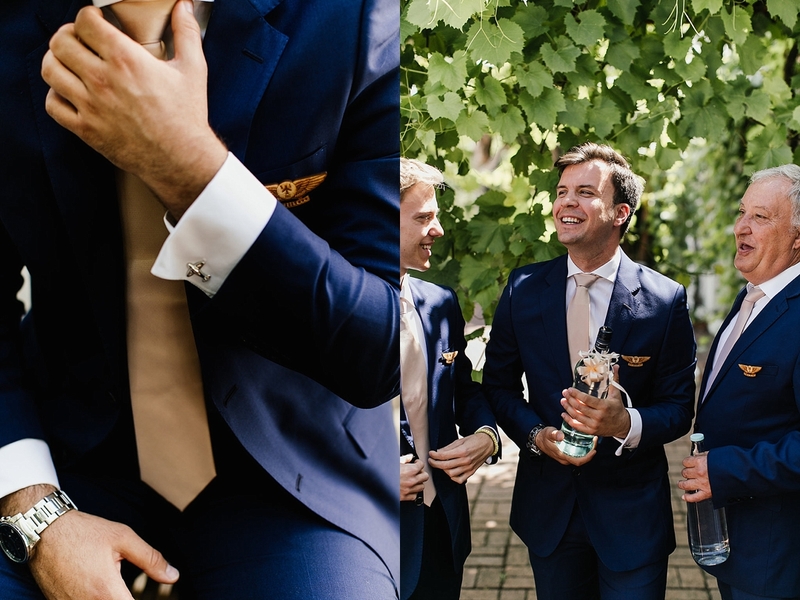 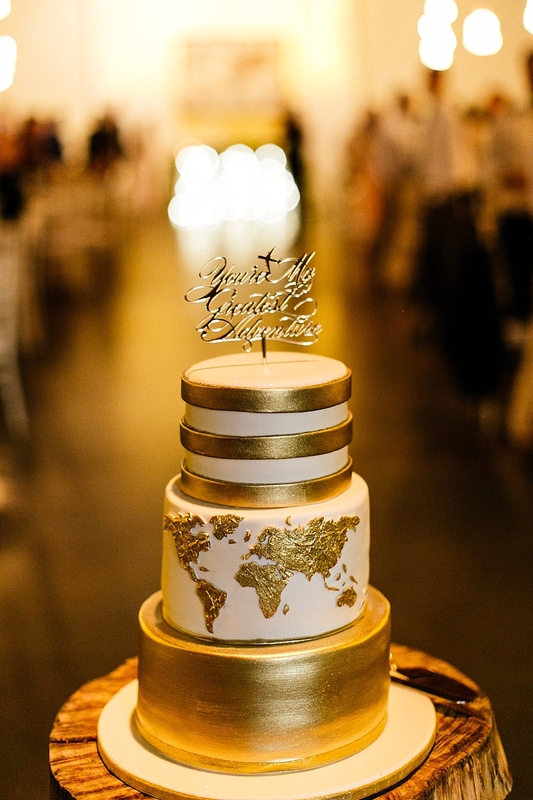 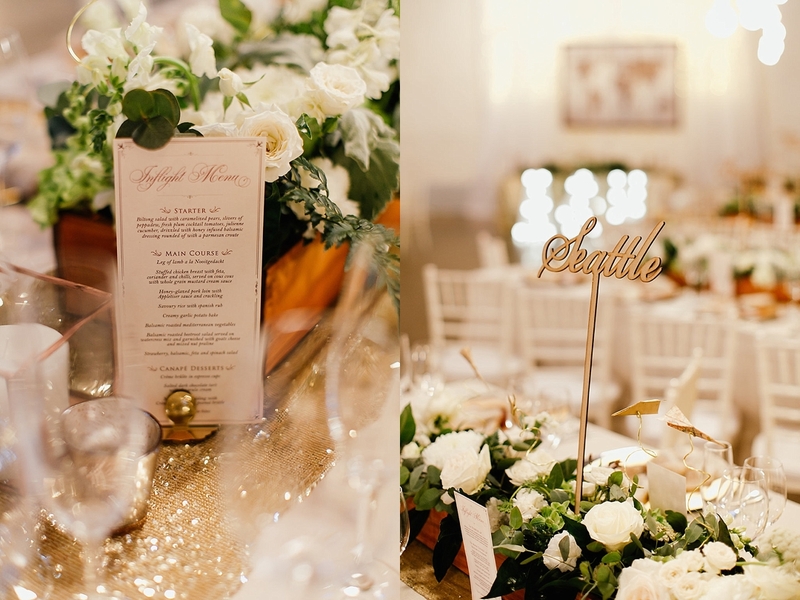 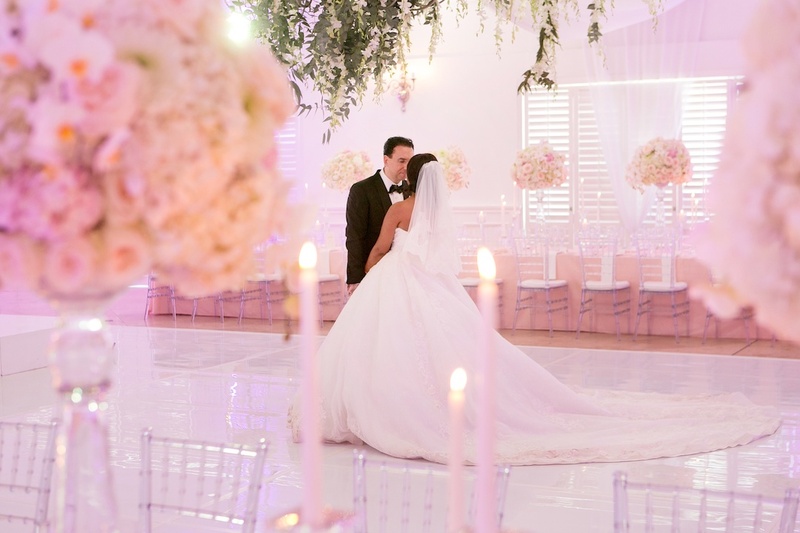 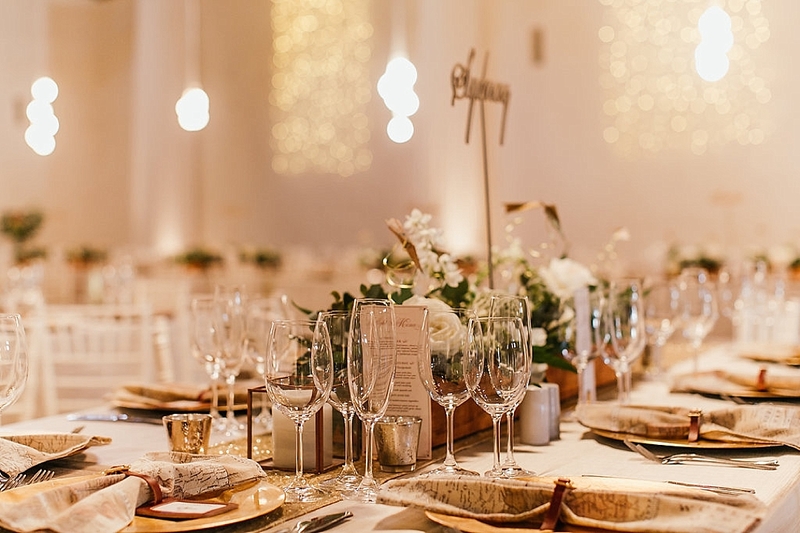 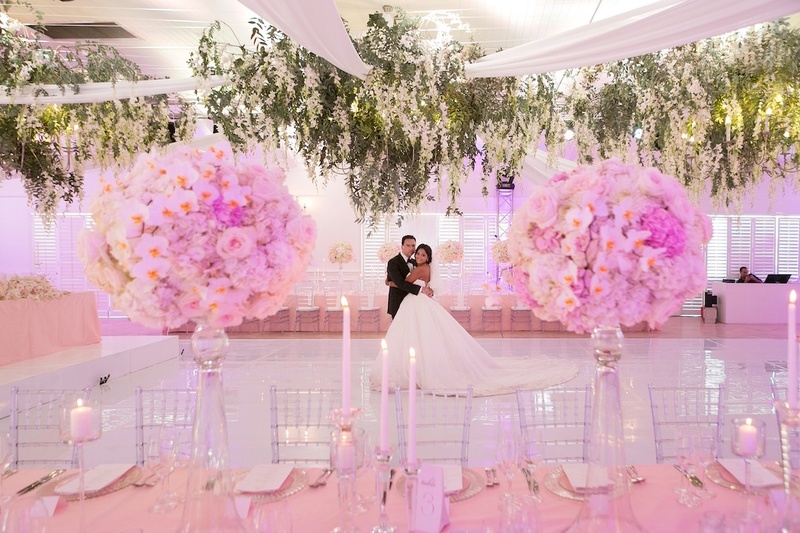 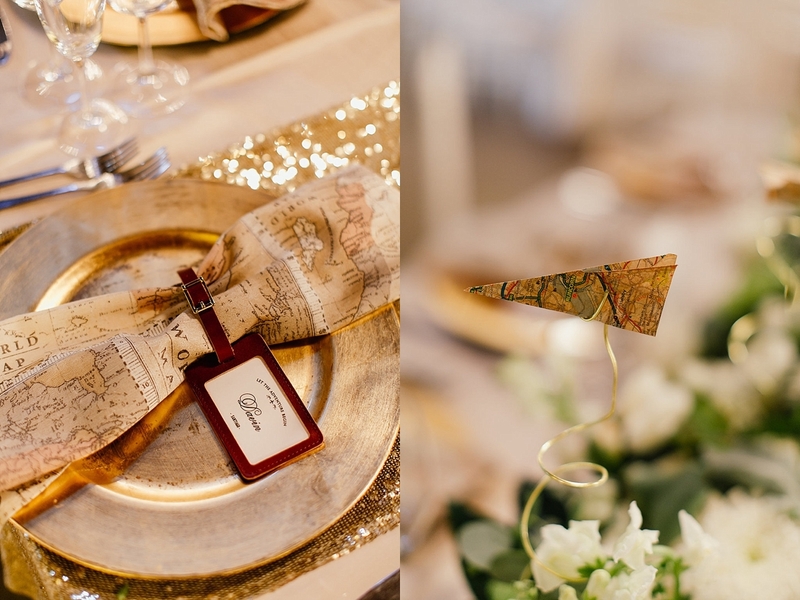 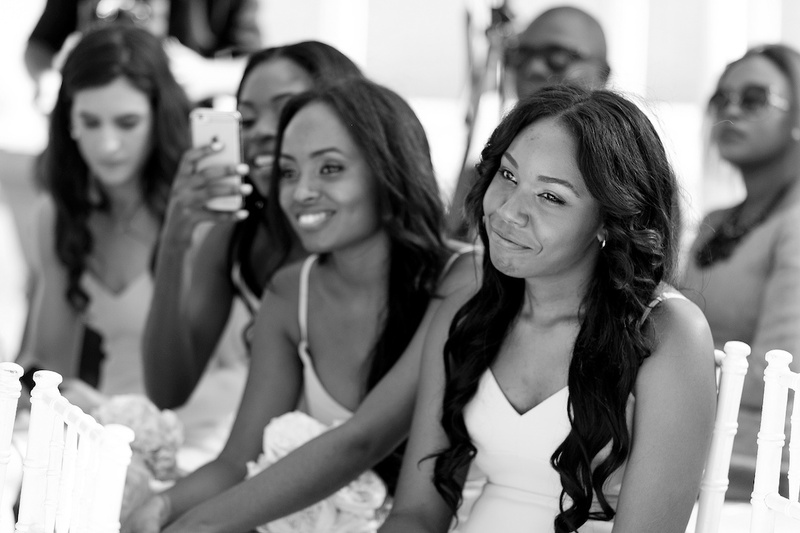 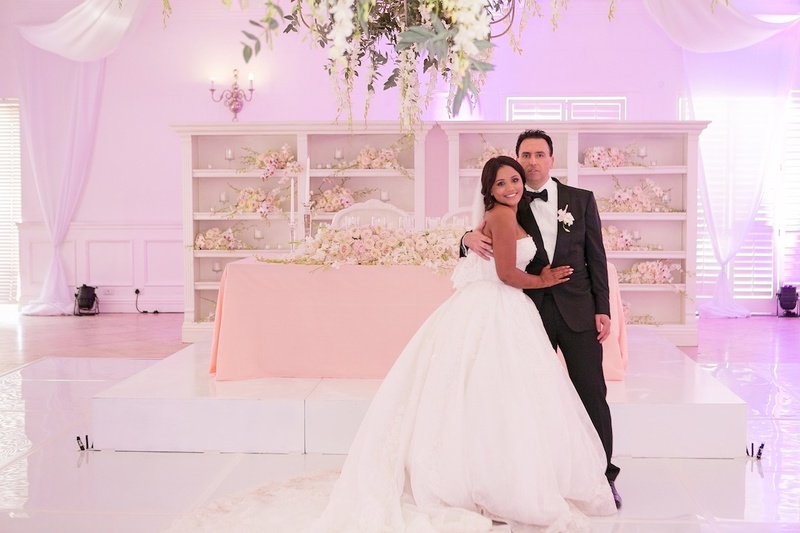 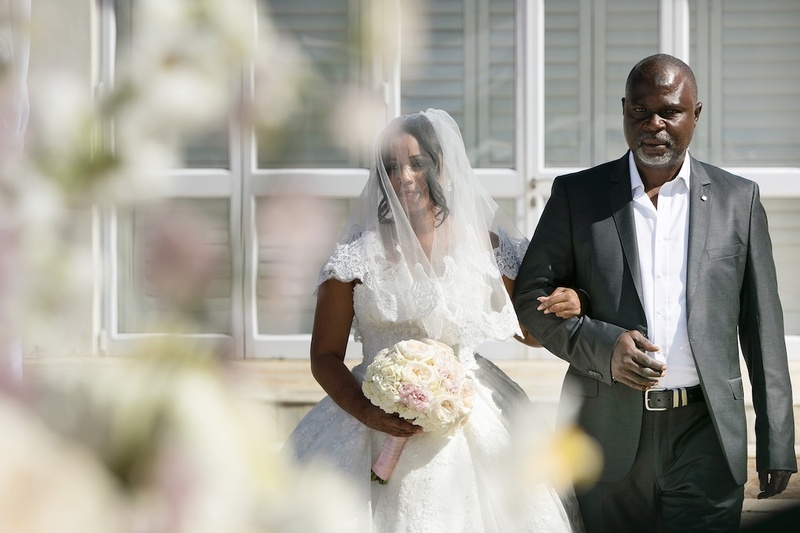 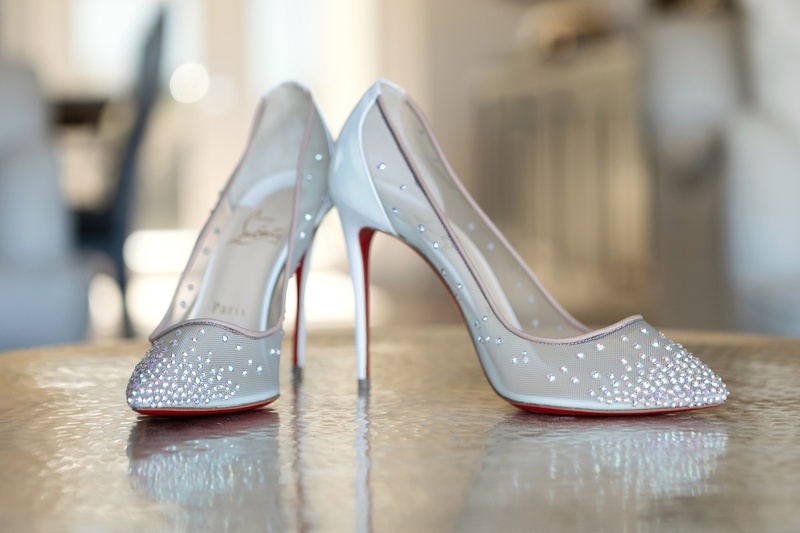 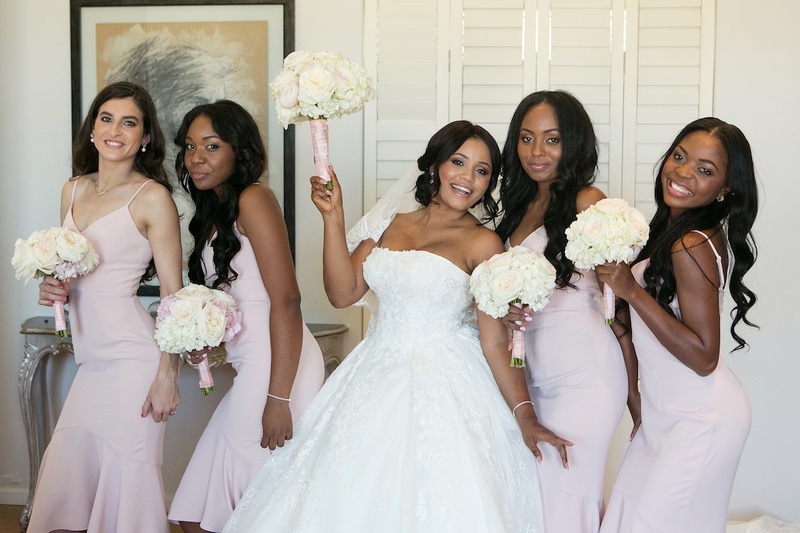 Christiana and Sébastien knew exactly what they wanted for their big day: a spectacular celebration without limits with their friends and family from all over the world. 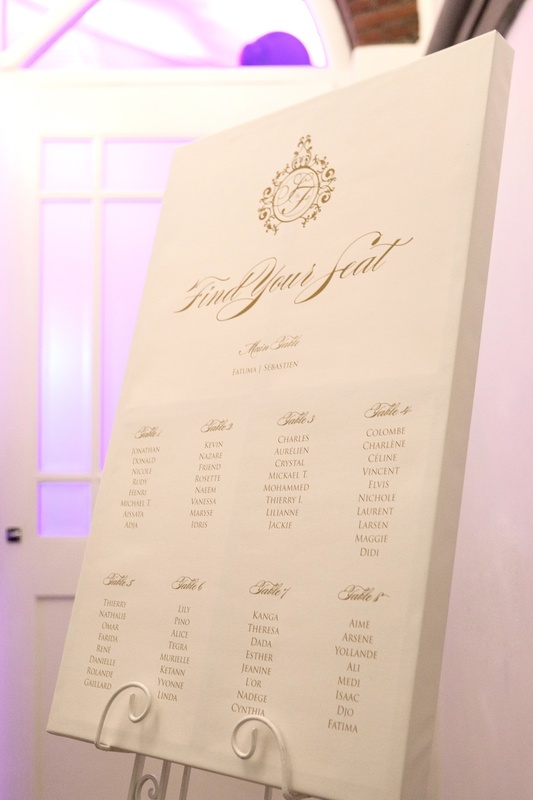 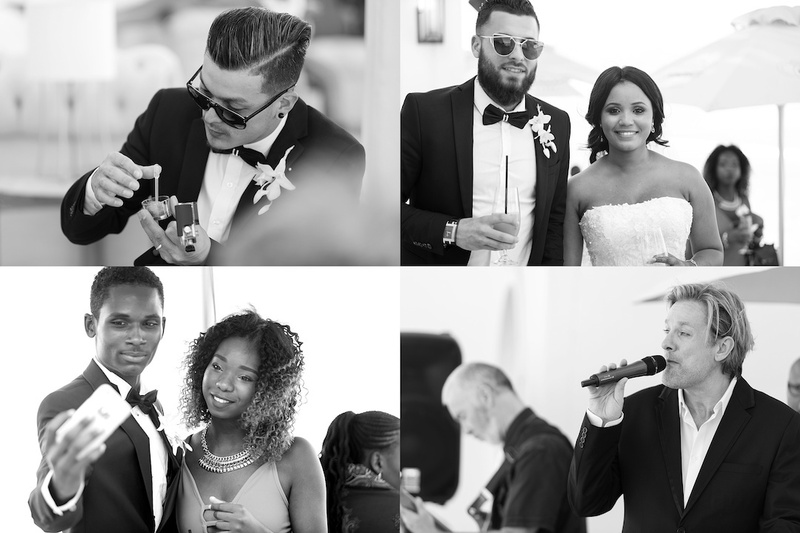 All guests flew in from abroad and everyone on the guest list were French-speaking (including the bride and groom!). 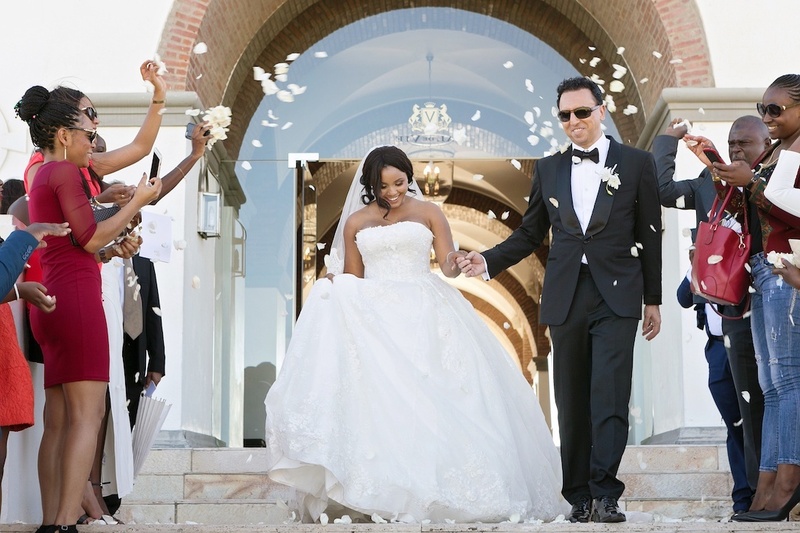 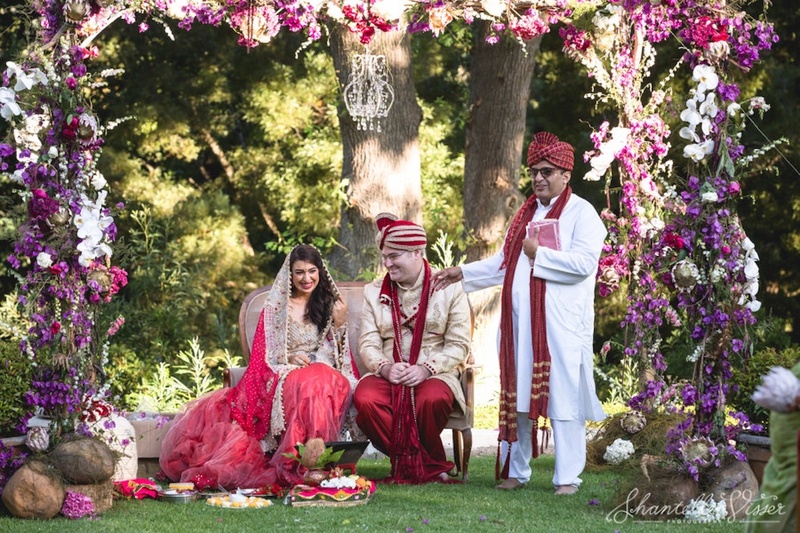 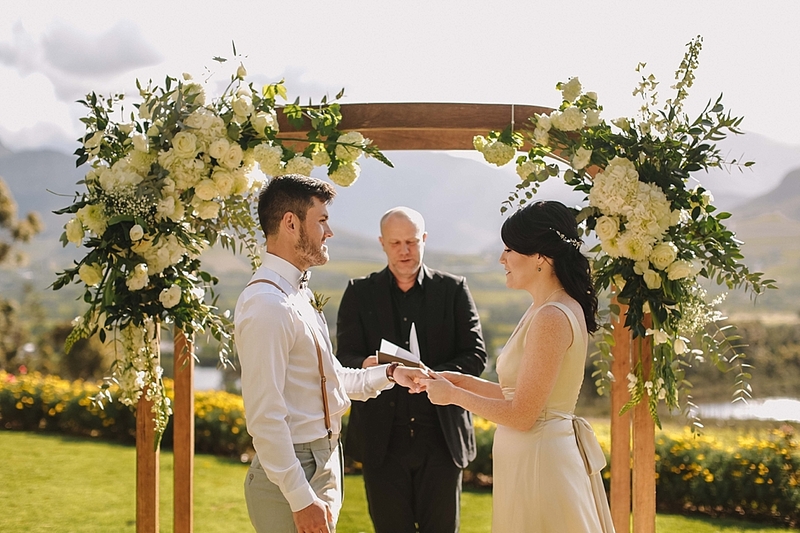 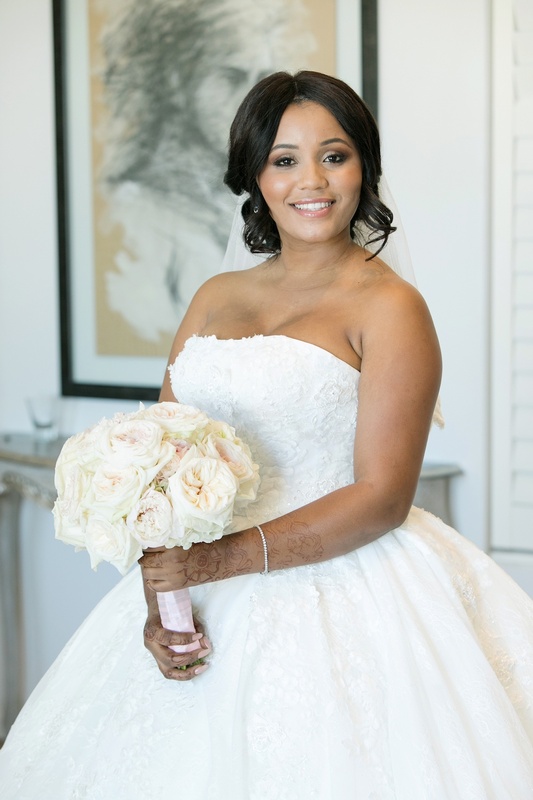 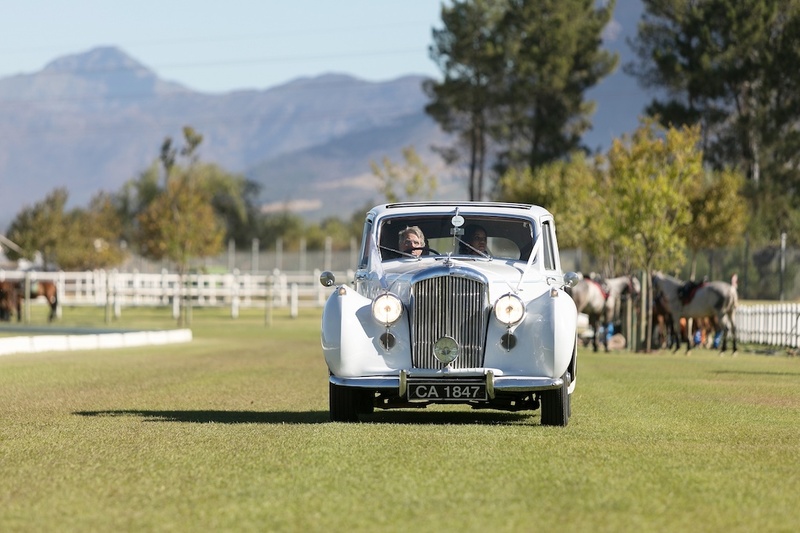 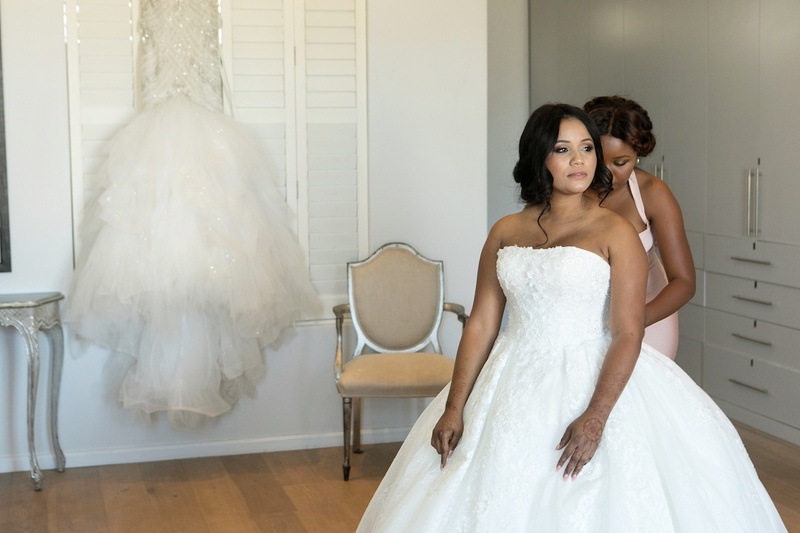 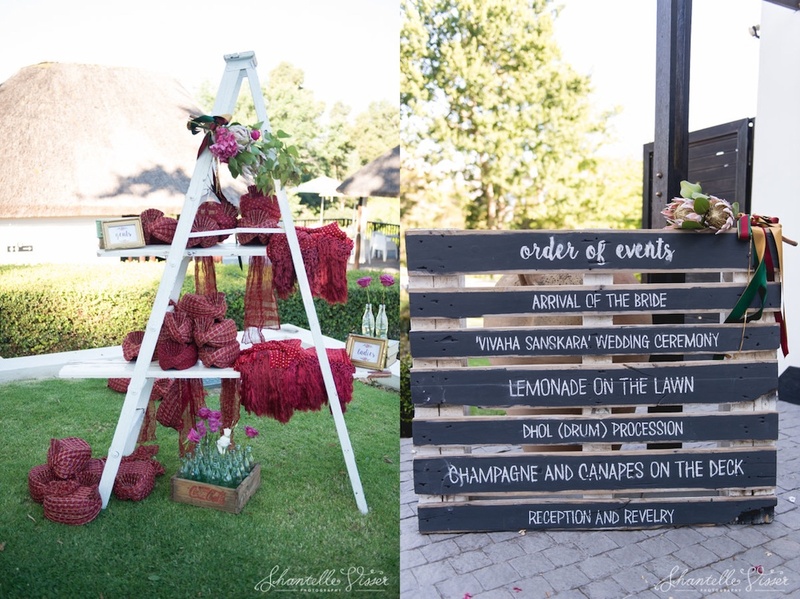 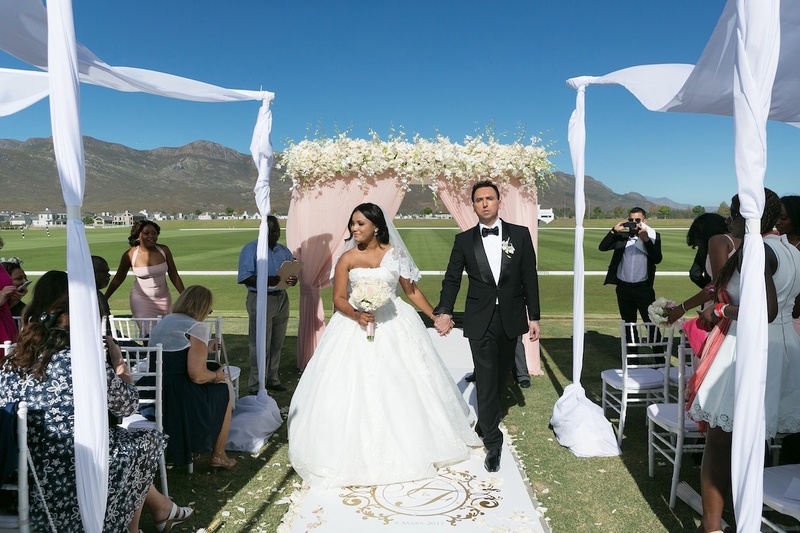 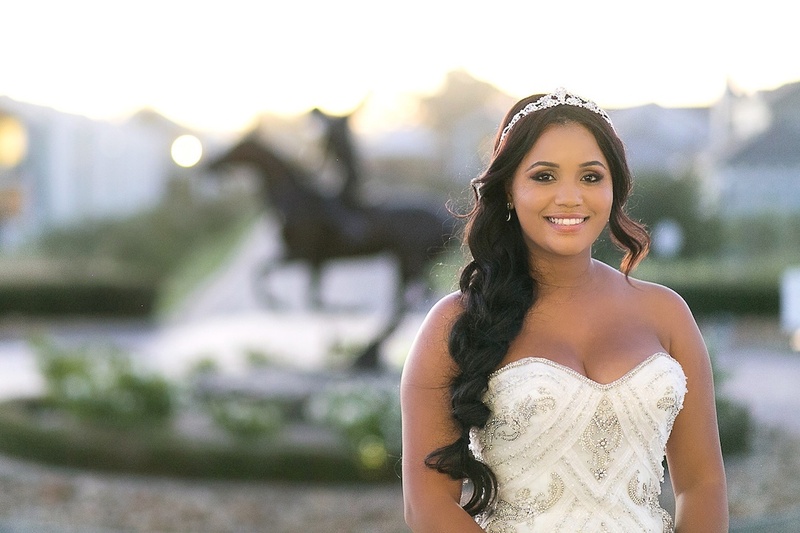 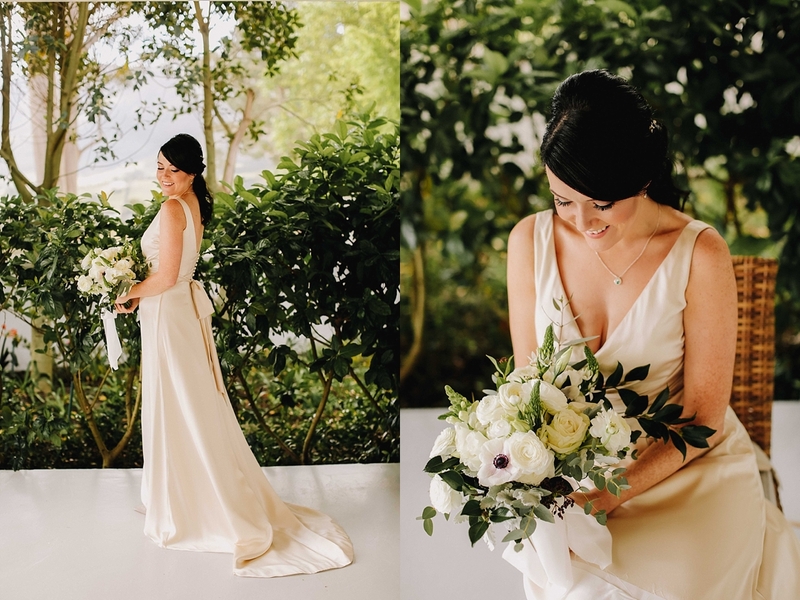 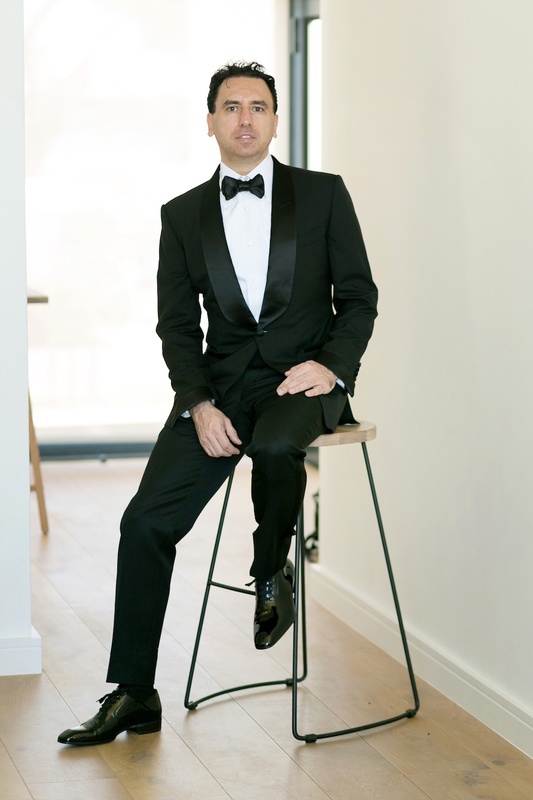 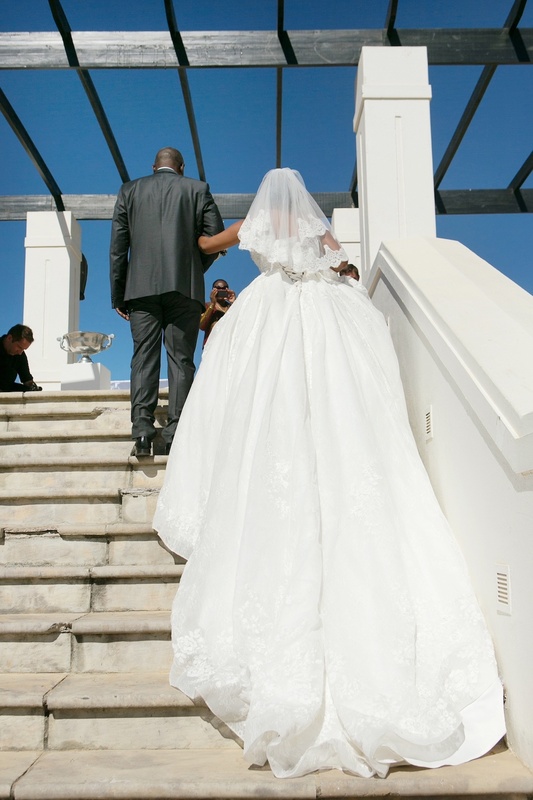 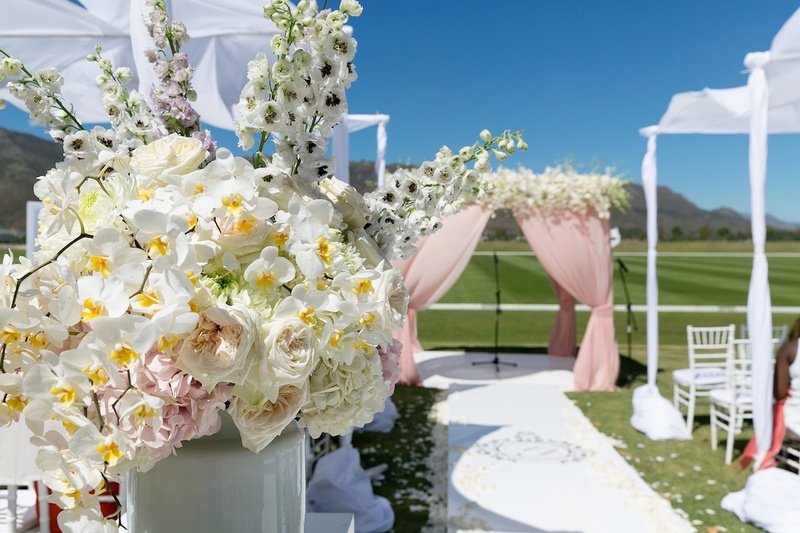 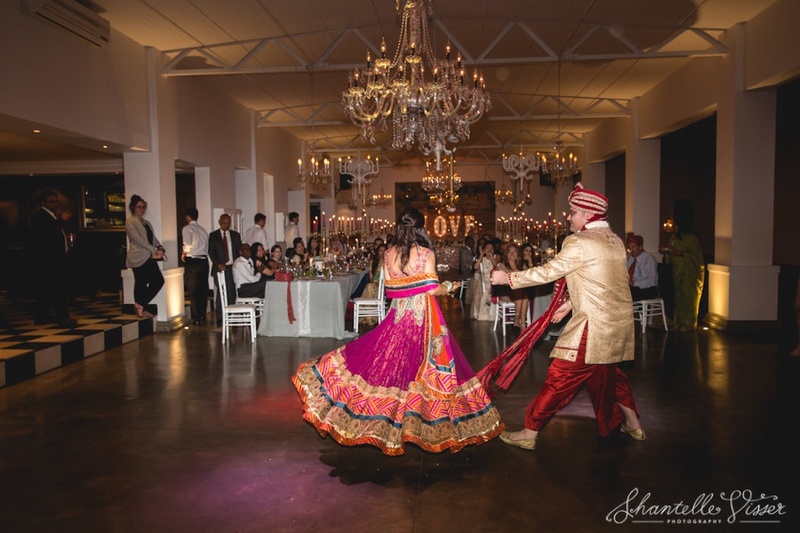 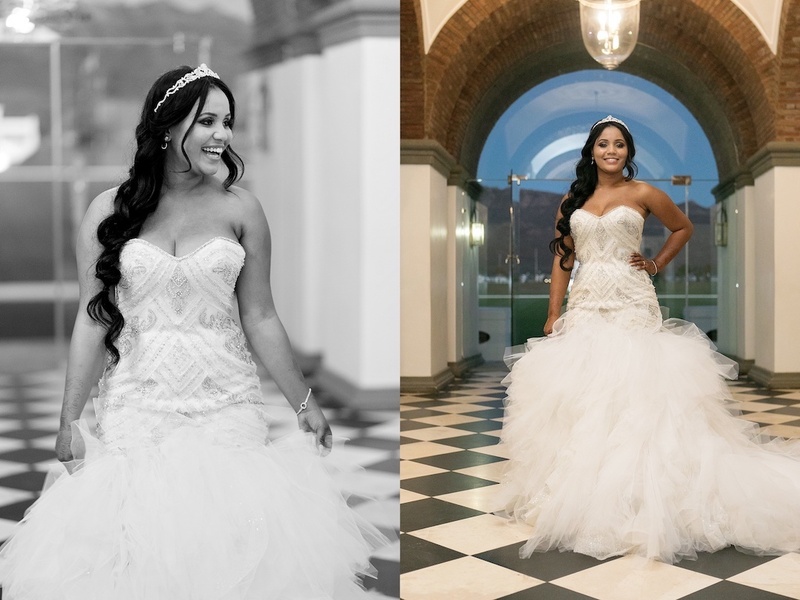 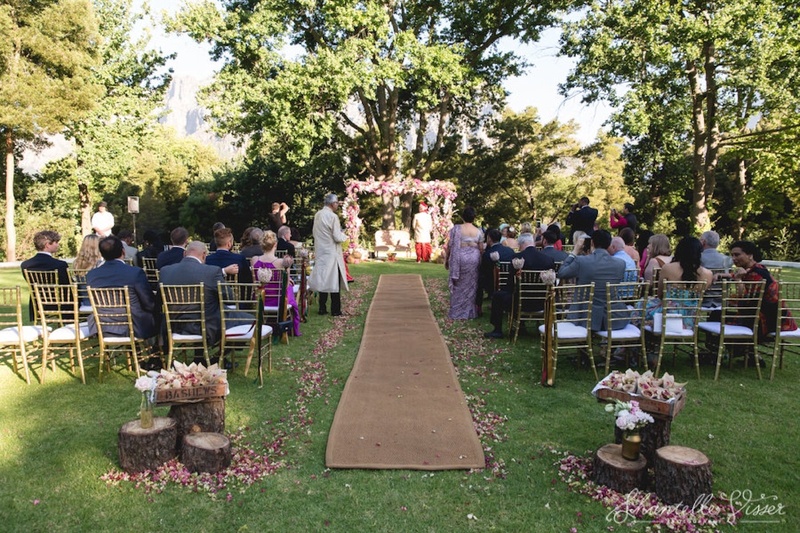 Hundreds of emails, Skype-calls and Whatsapp chats over the course of two months culminated in a dreamy fairy tale wedding on 8th March 2017 at Val de Vie. 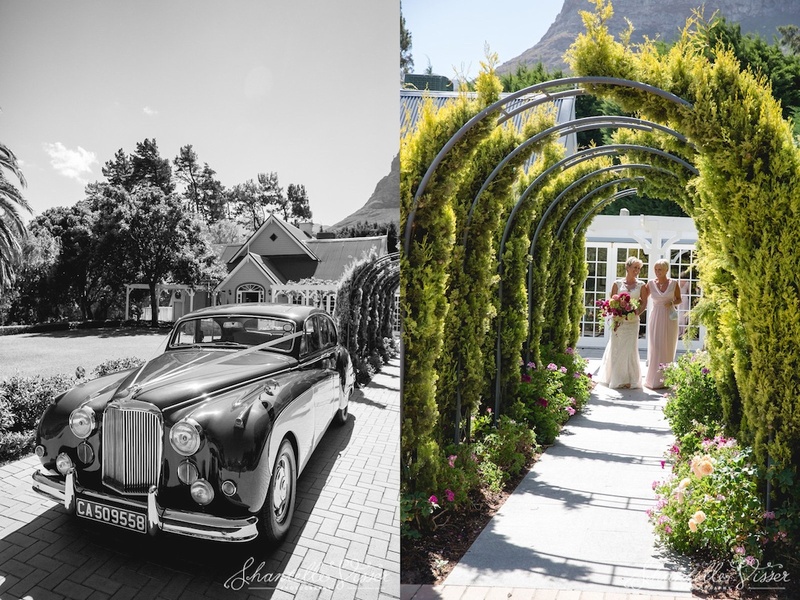 THANK YOU to the fantastic service providers who understood our vision of the couple’s dream and helped to create an unforgettable day! 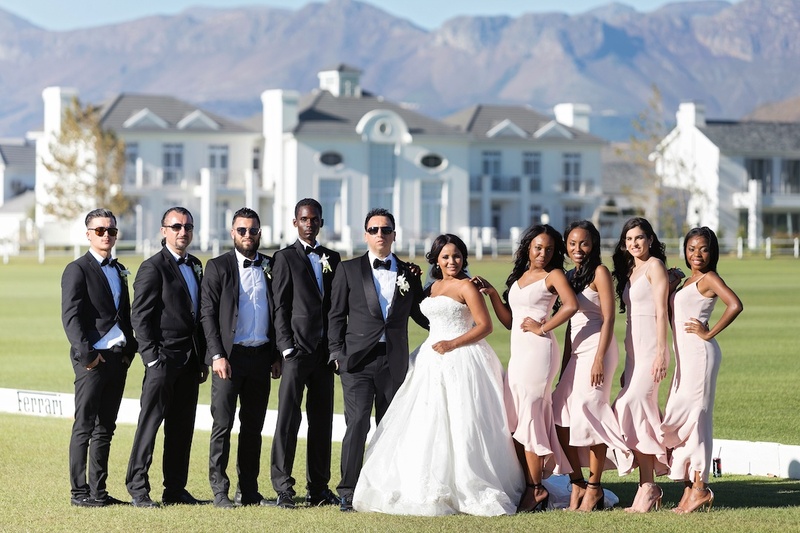 Scroll down to see who made up this dream team. 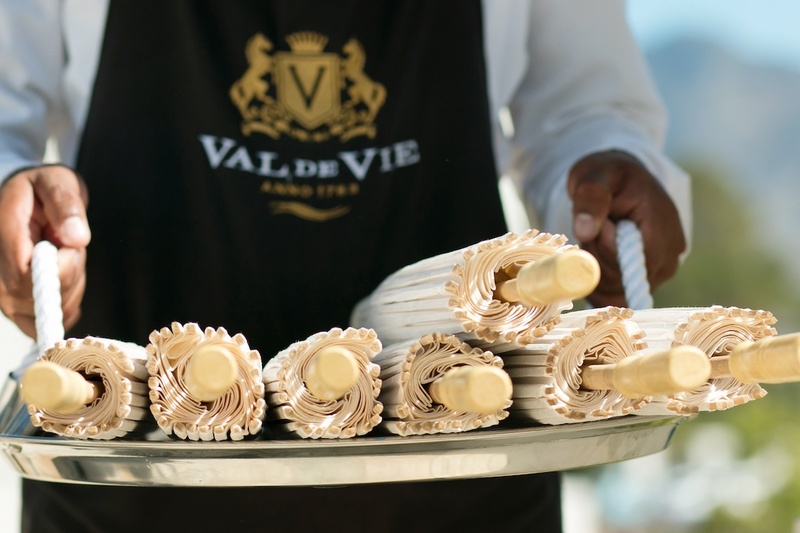 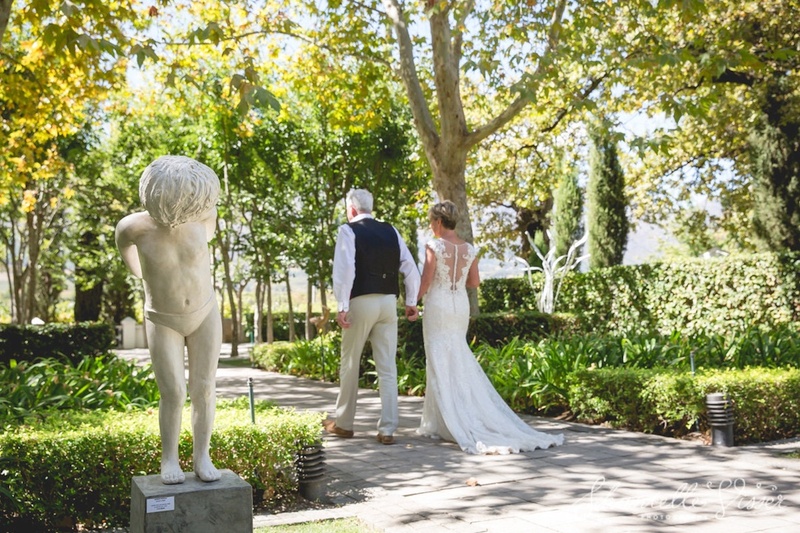 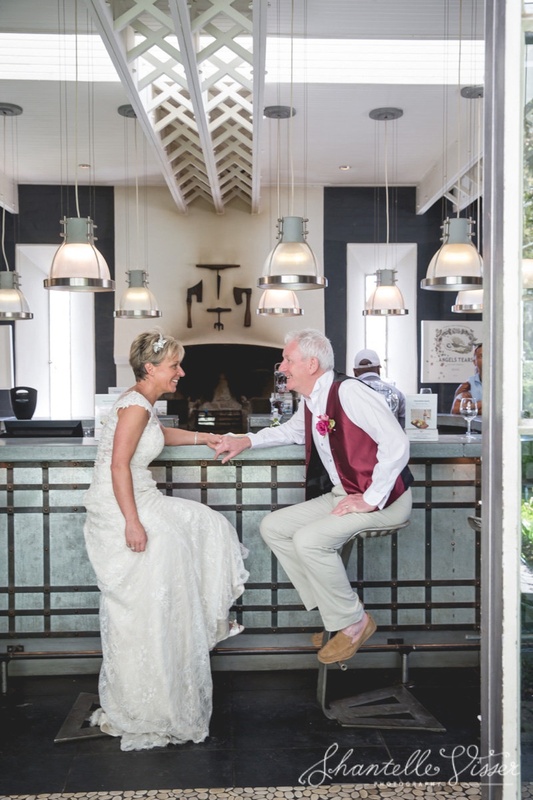 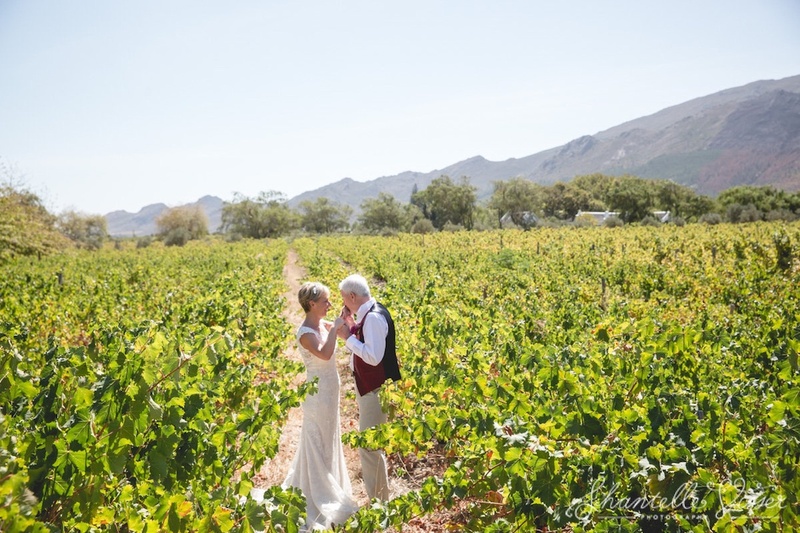 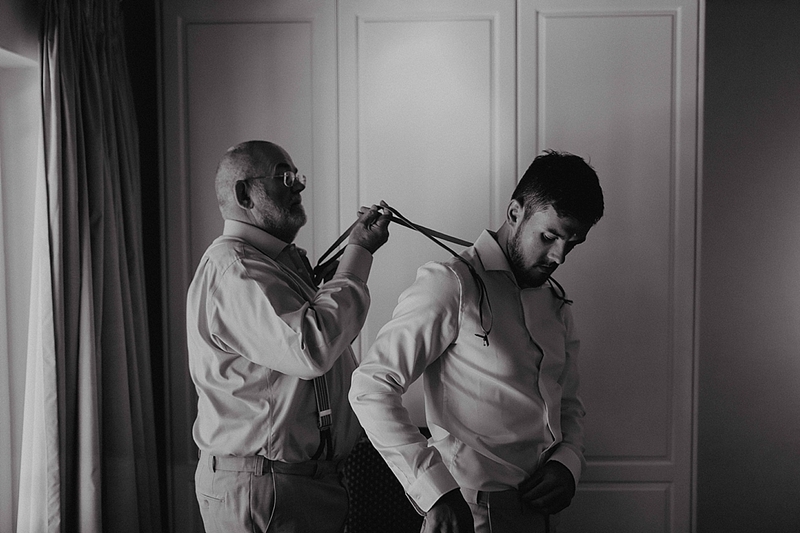 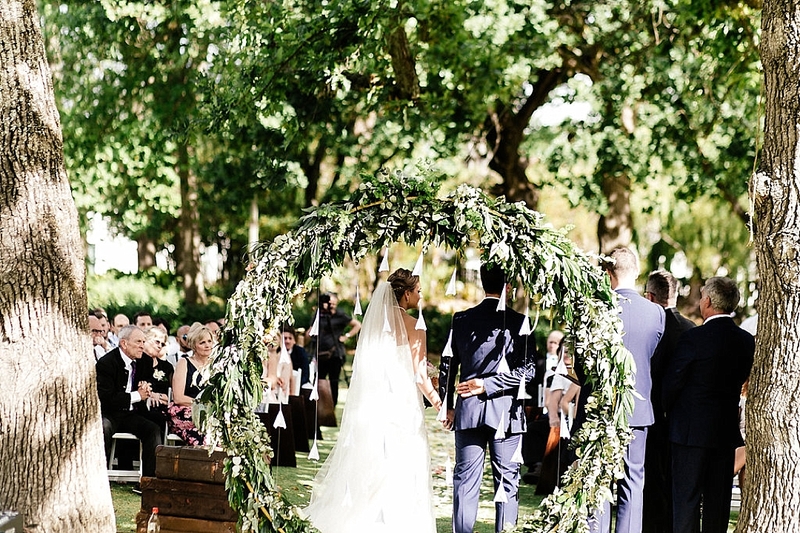 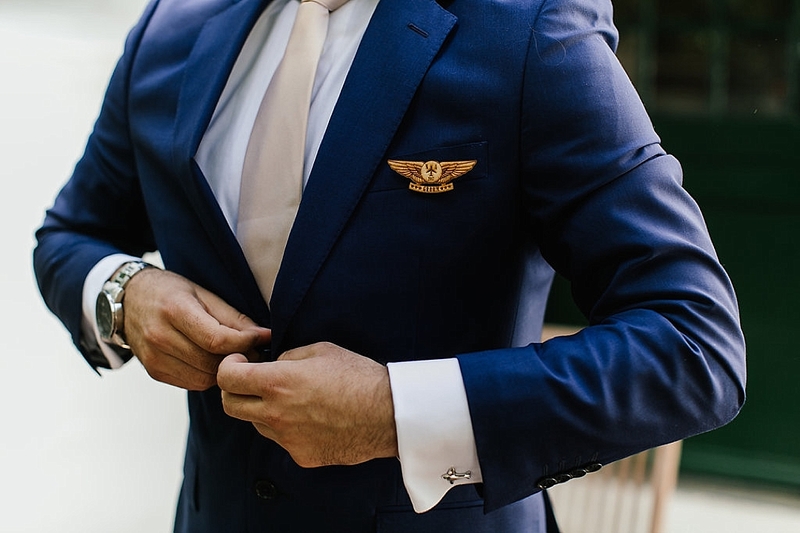 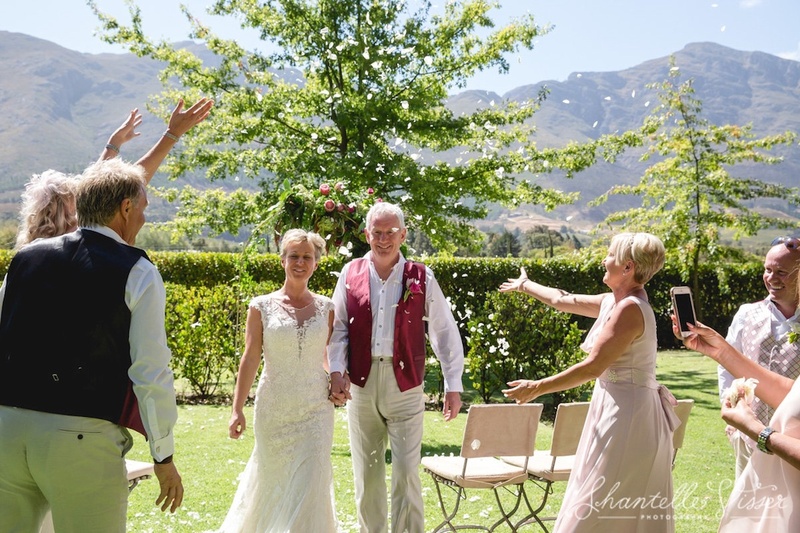 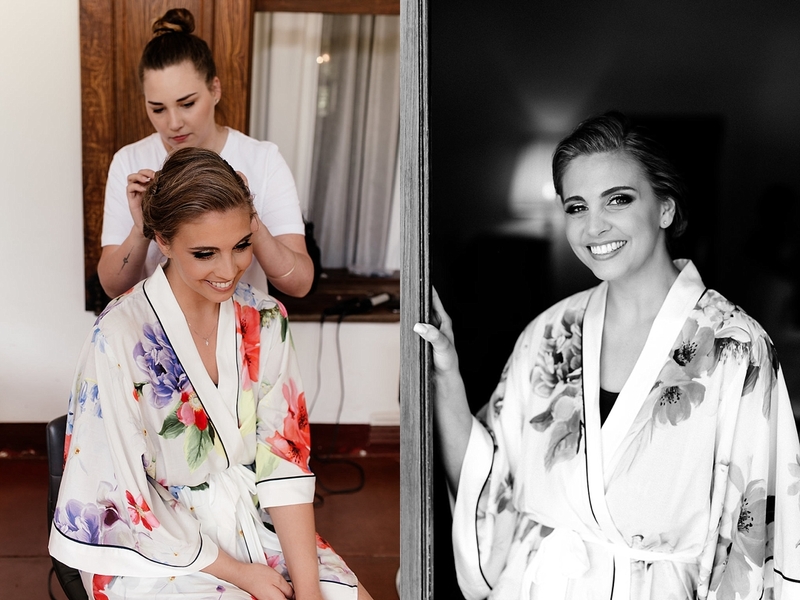 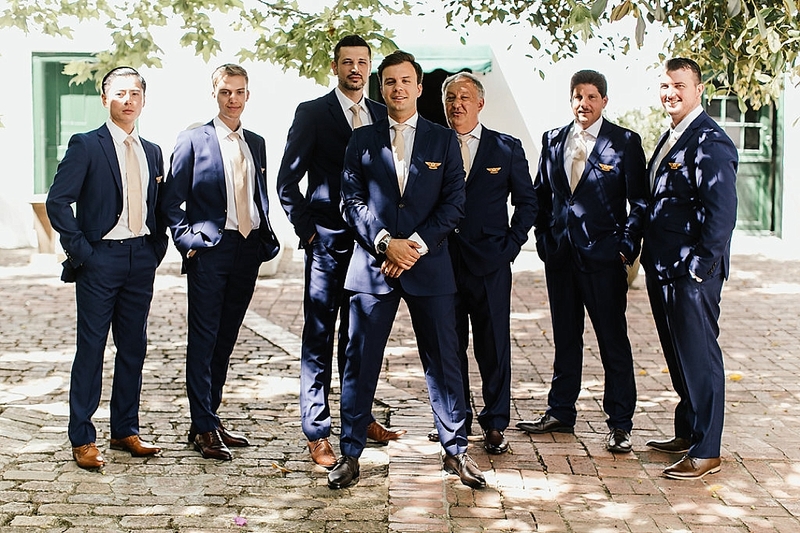 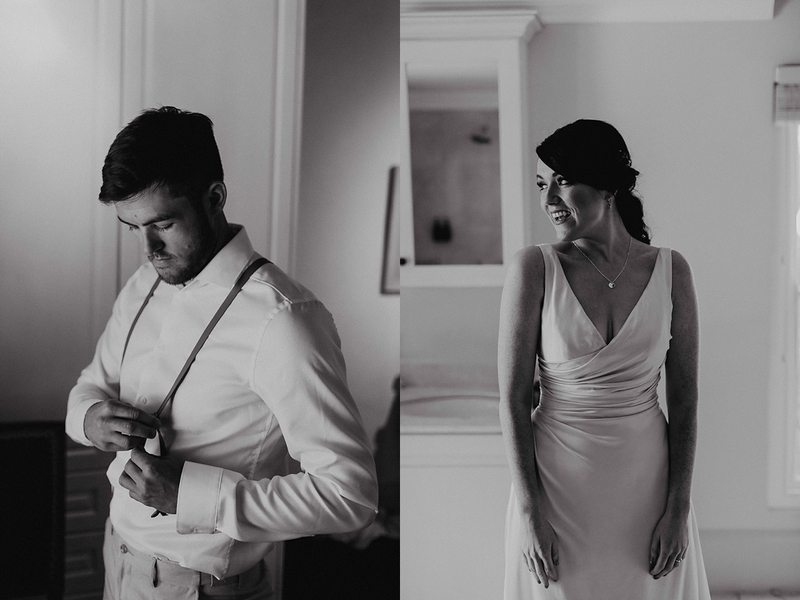 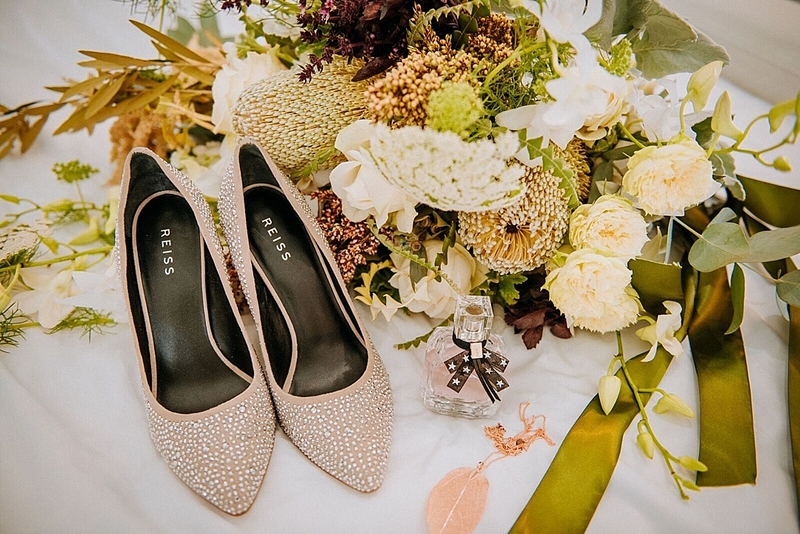 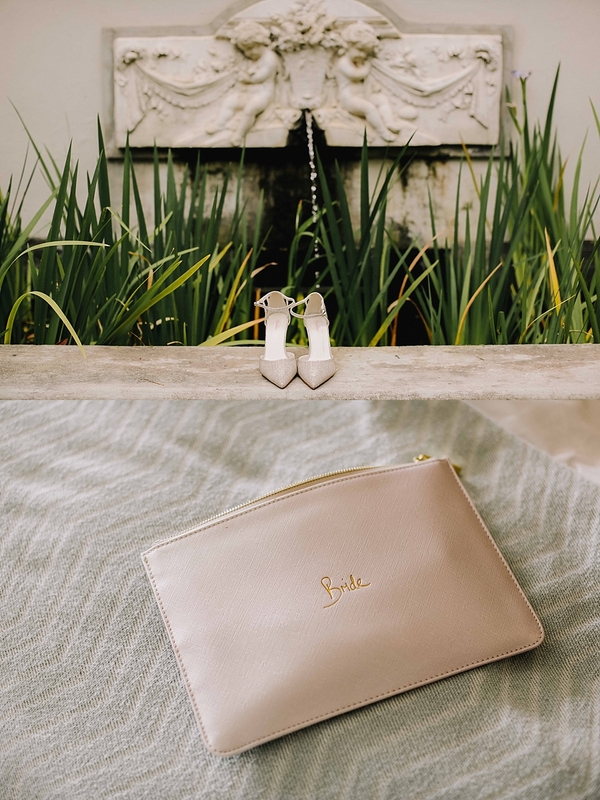 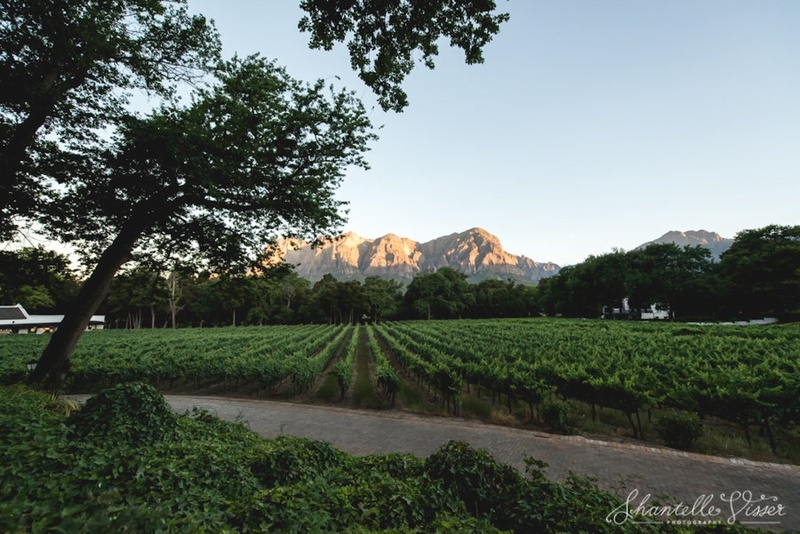 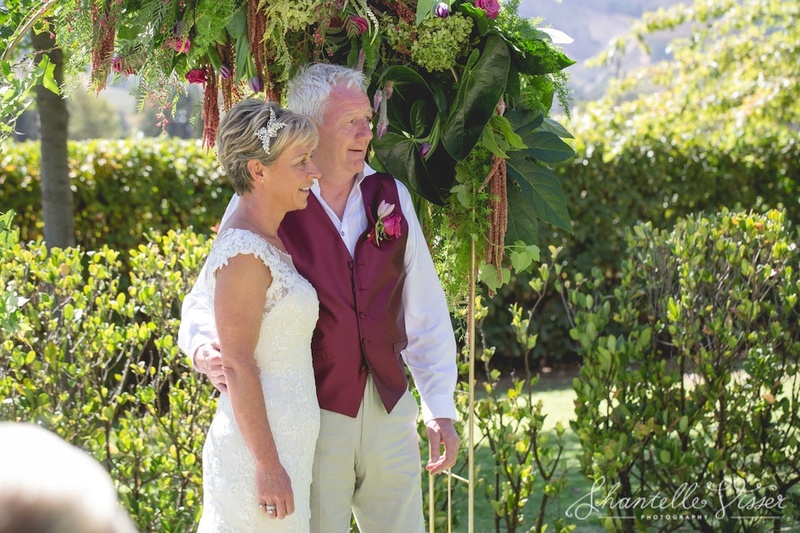 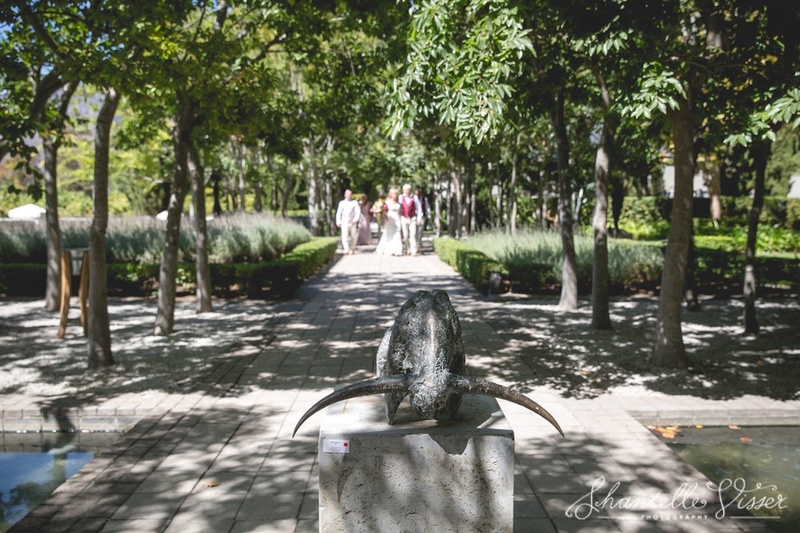 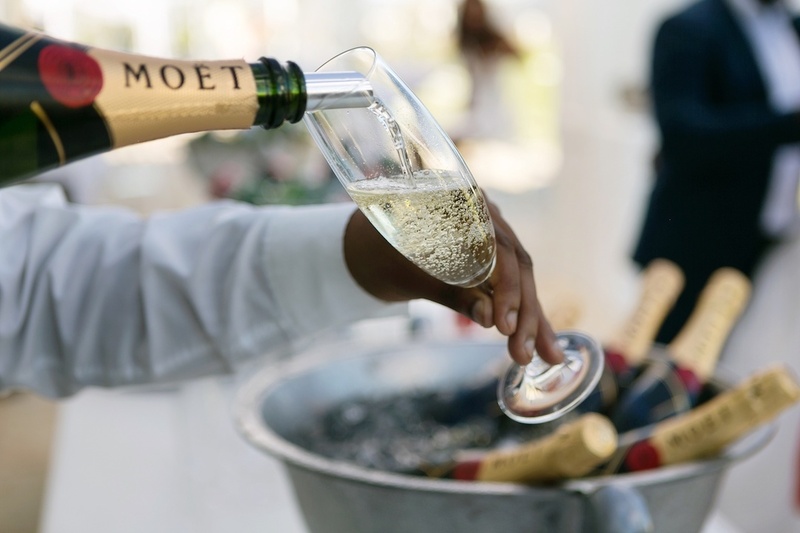 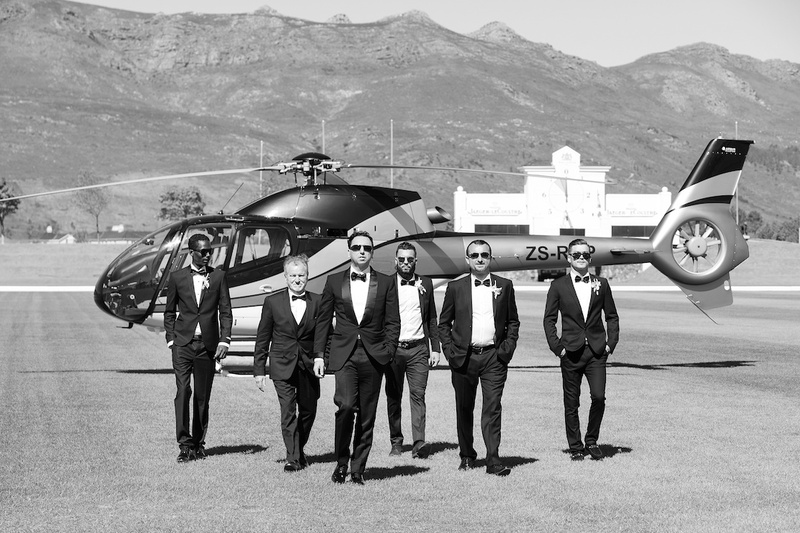 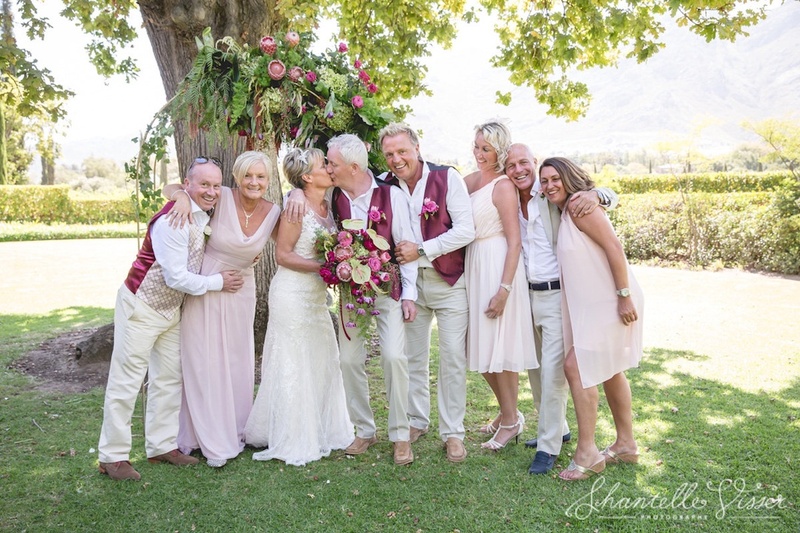 Sam and Colin travelled from the UK to celebrate their wedding with their closest friends at the internationally renowned Grande Provence Wine Estate in Franschhoek. 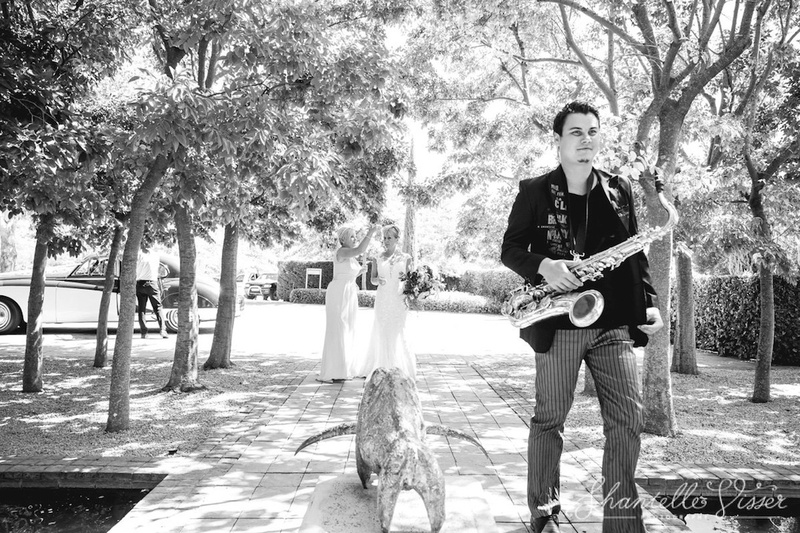 Sam arrived in a classic 1957 Jaguar and was led down the aisle to ‘She‘ by Elvis Costello, played by Werner Denner on saxophone. 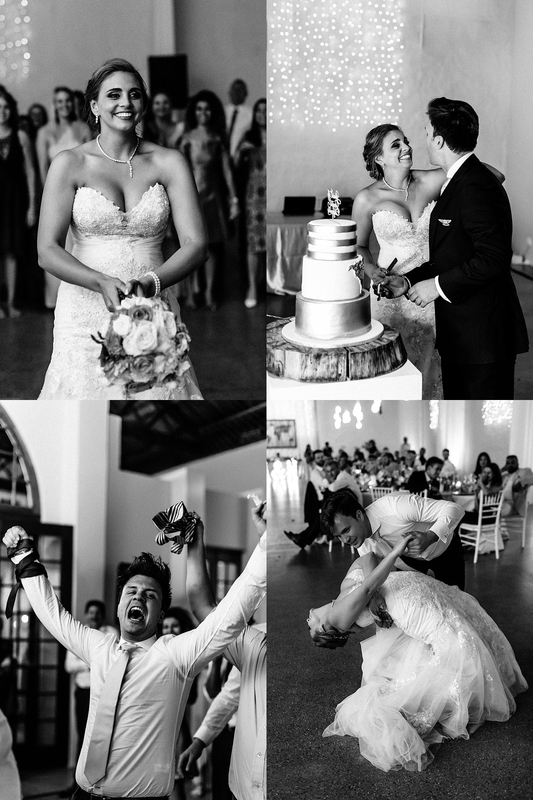 It was just picture perfect. 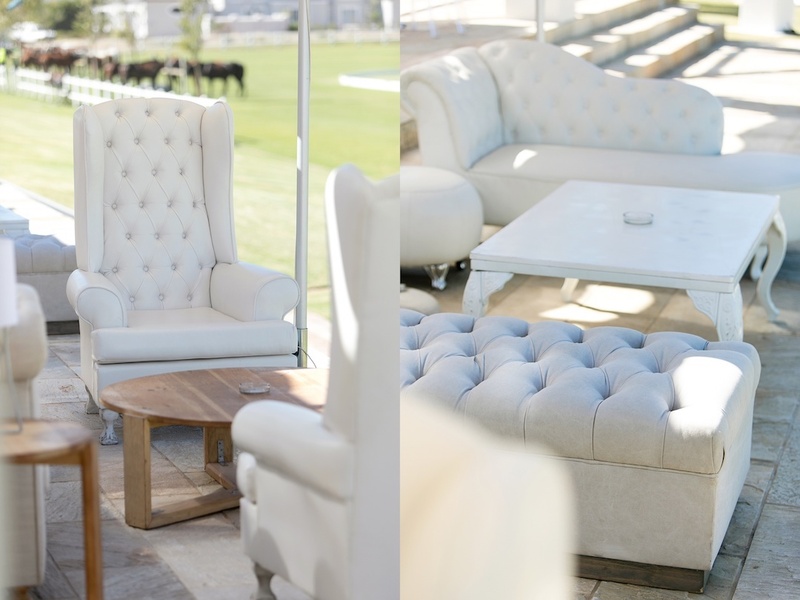 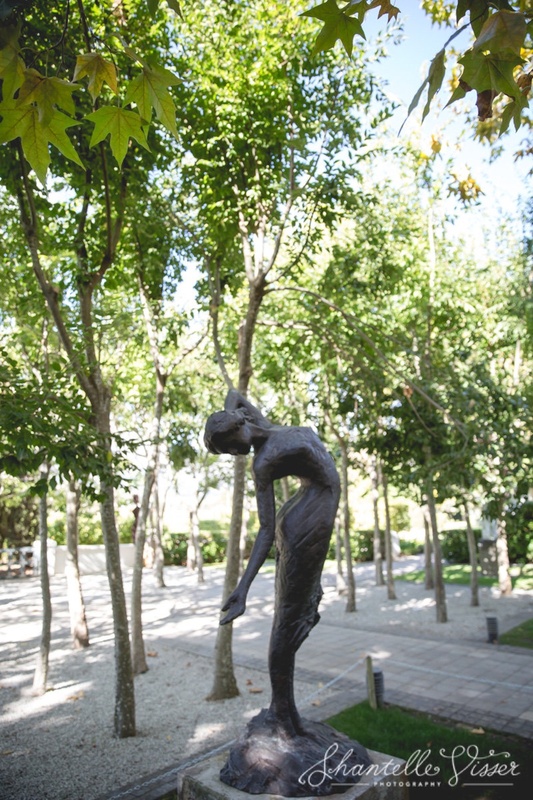 This is a world class venue and the setting for pre-drinks in the Sculpture Garden is something really unique. 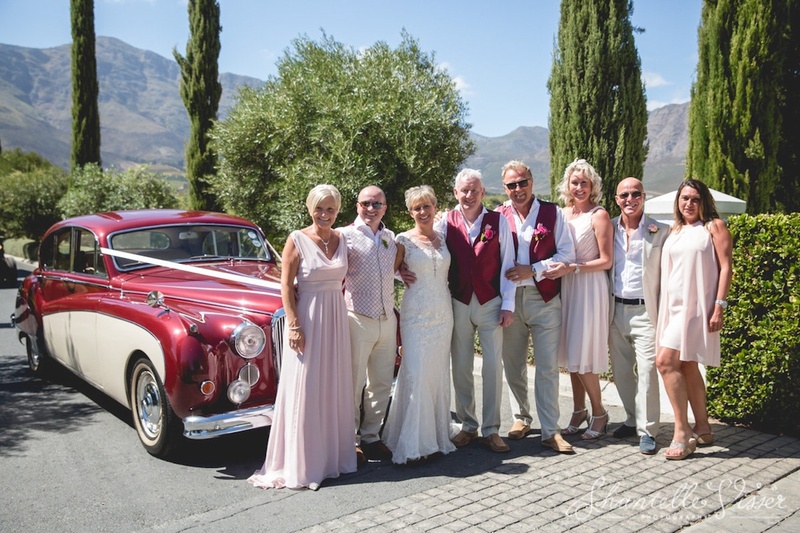 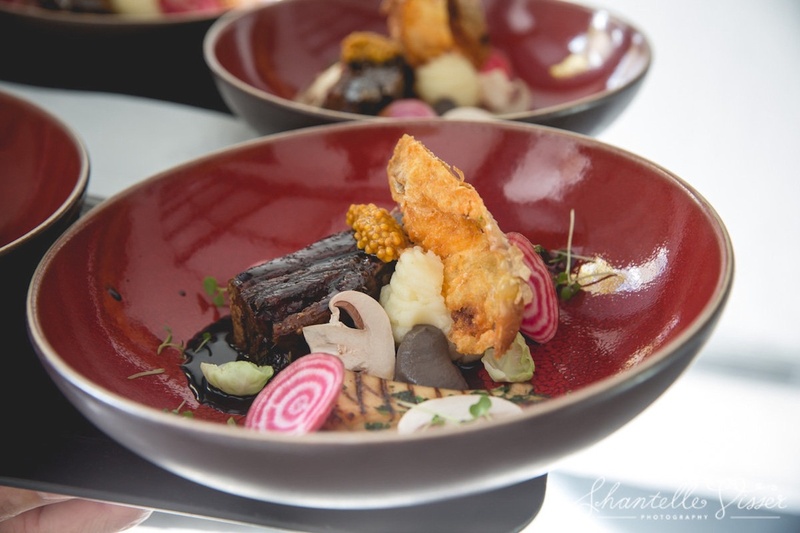 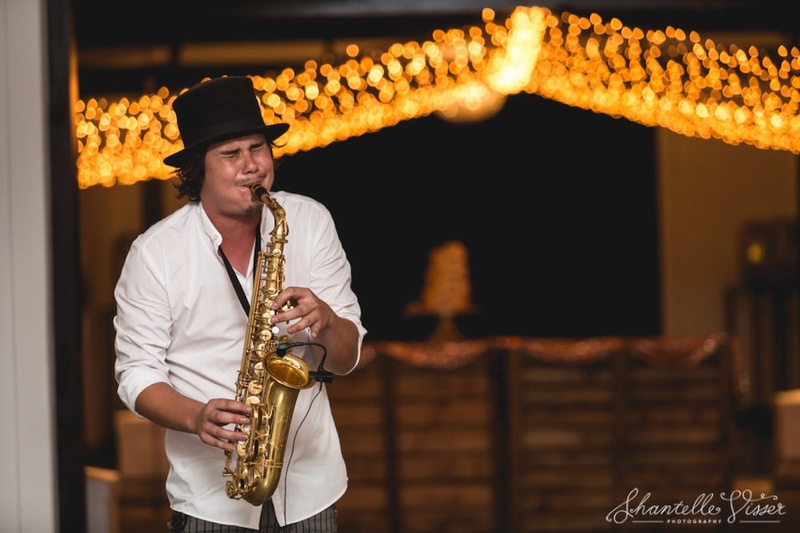 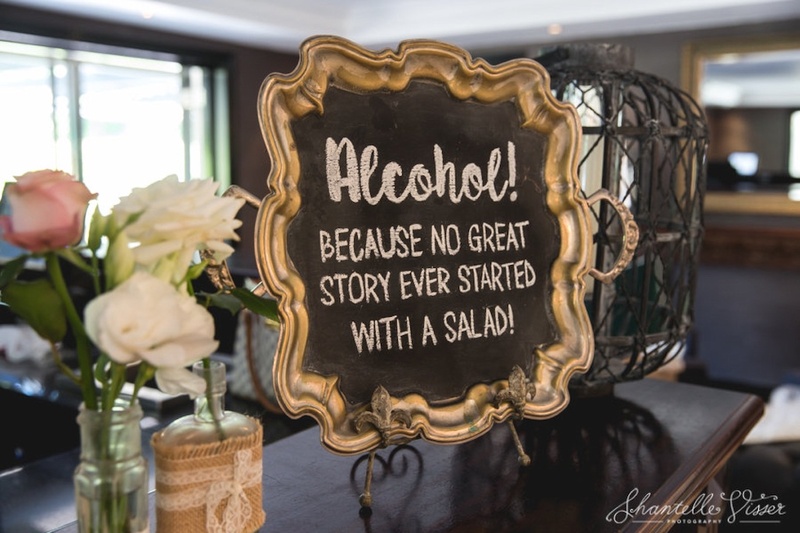 The wedding party enjoyed an exquisite five course lunch in the Jonkershuis with live dinner entertainment to add to the already jovial celebrations. 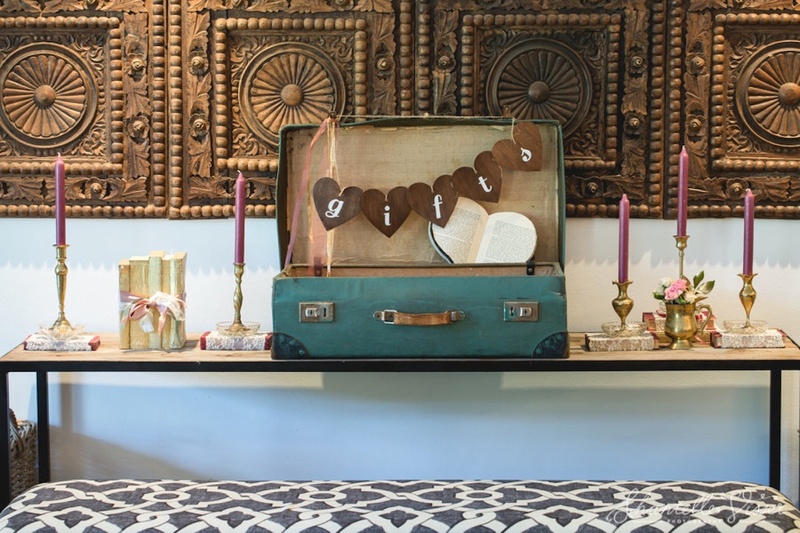 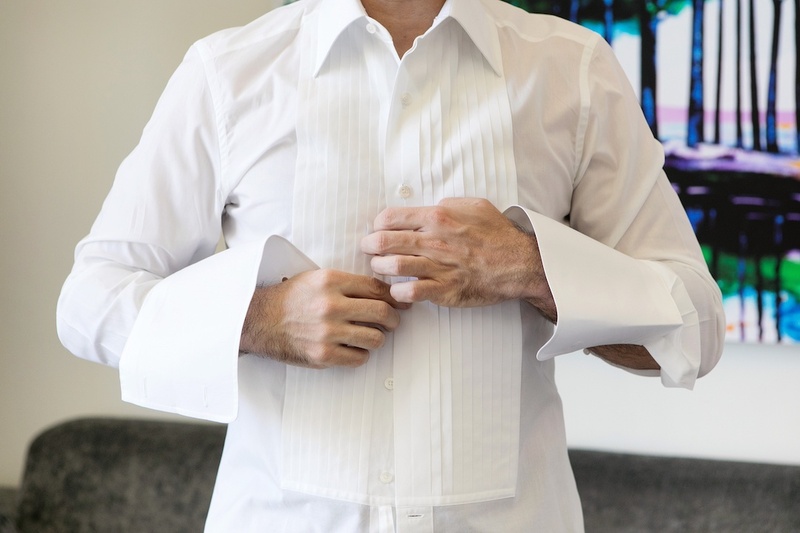 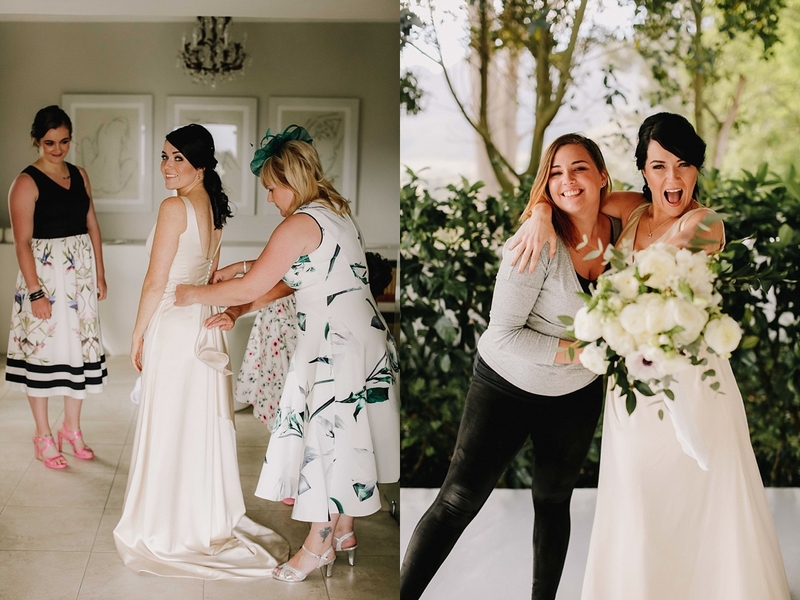 “It’s very exciting but daunting to be organising a wedding, but when it’s abroad it’s out of your hands to a certain extent. 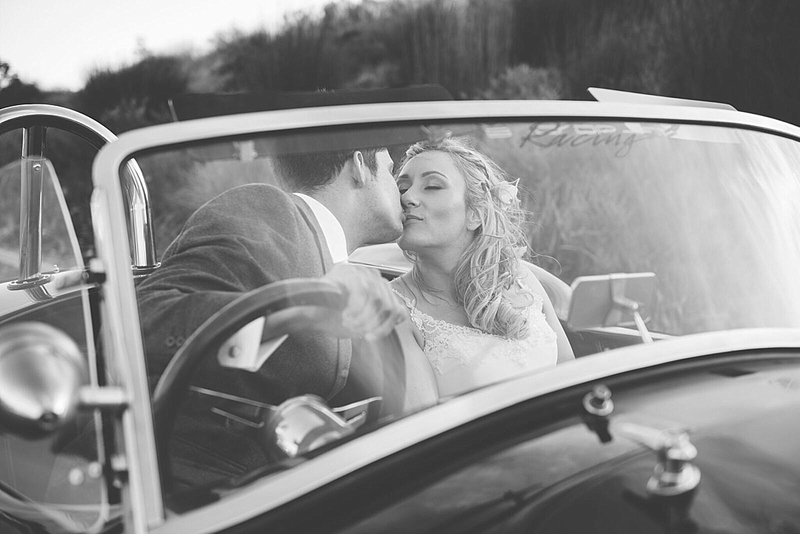 Our main priority was we didn’t want lots of fuss. 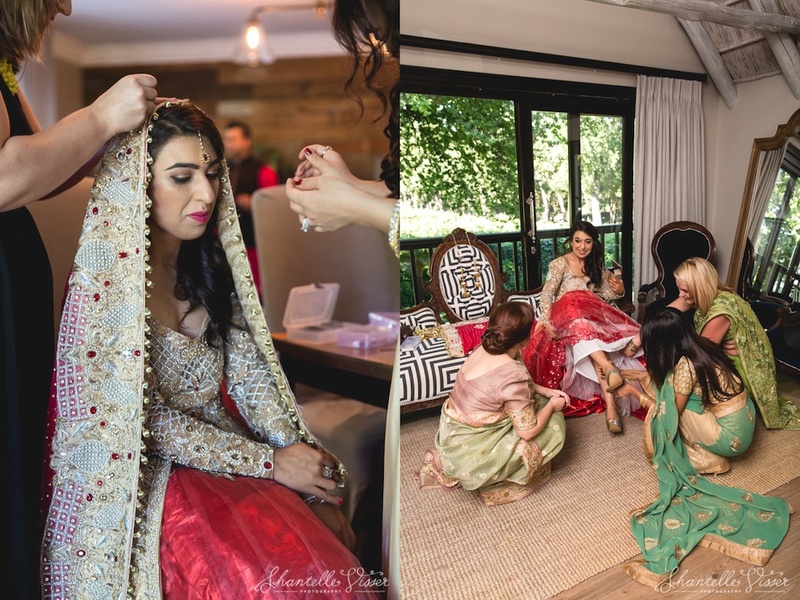 I would just like to thank Niki and Madri for their efforts and organisation prior to and during the wedding. 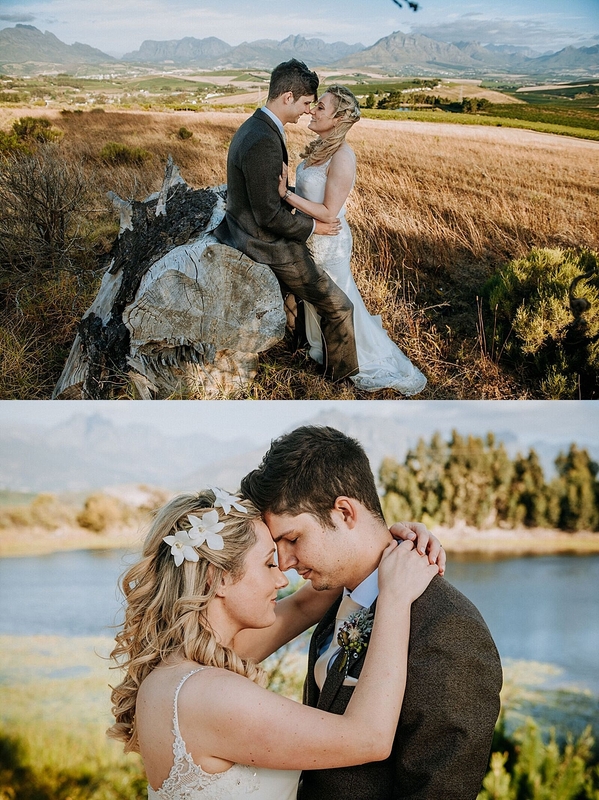 While it was an intimate day, all the elements needed to be in place and I can honestly say that you both ensured that it was perfect in every way. 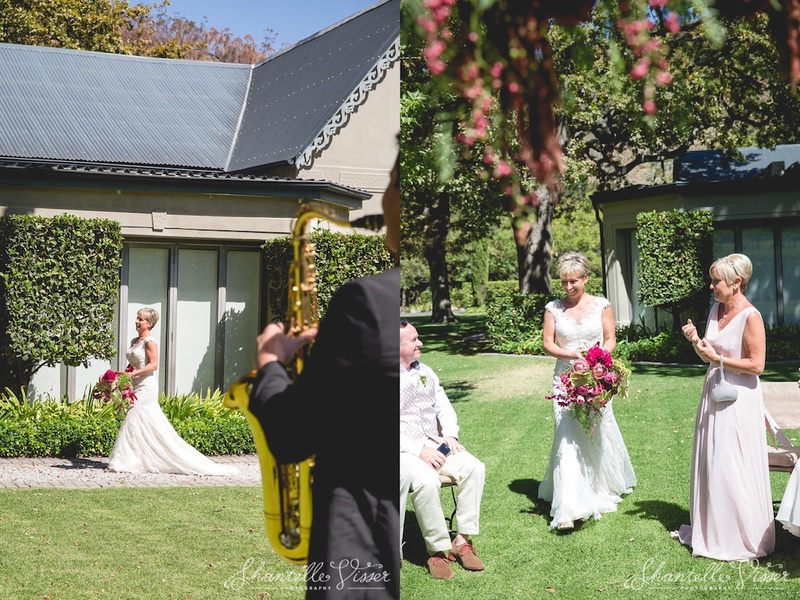 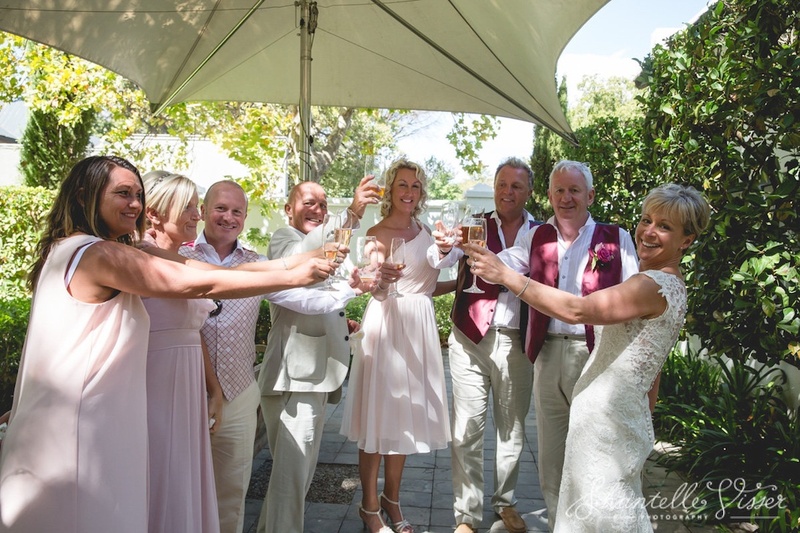 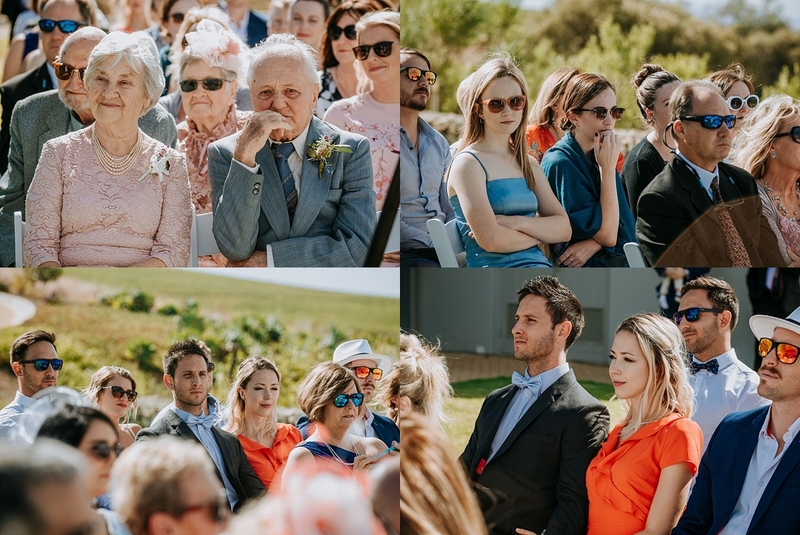 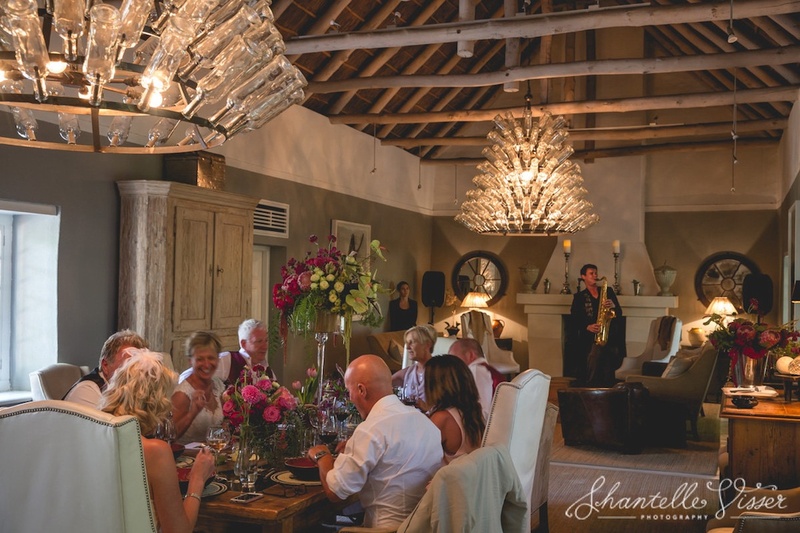 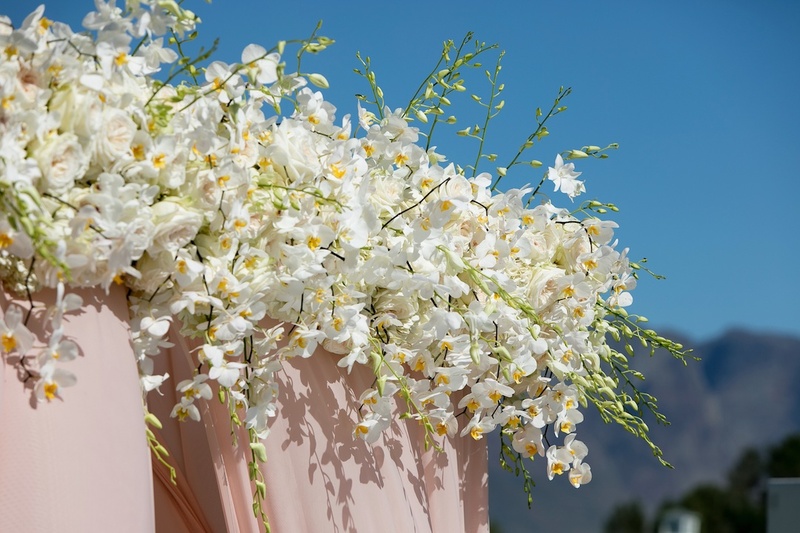 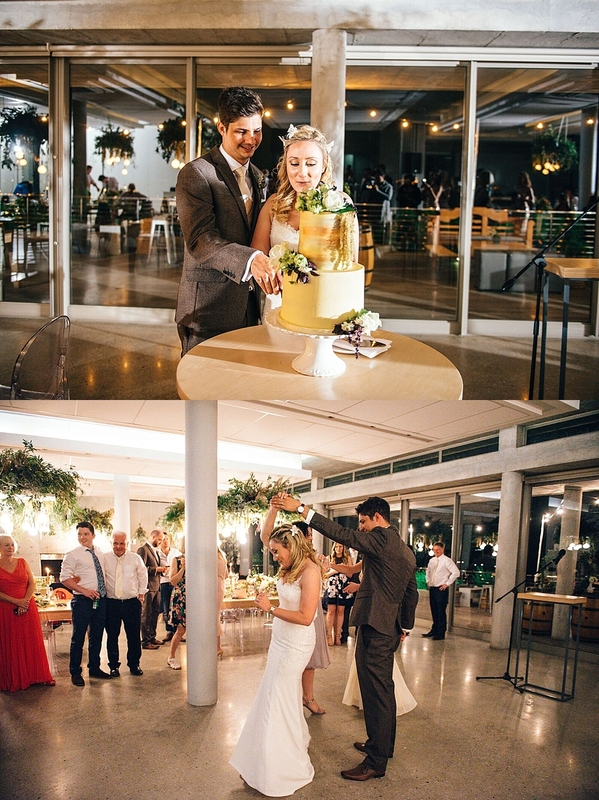 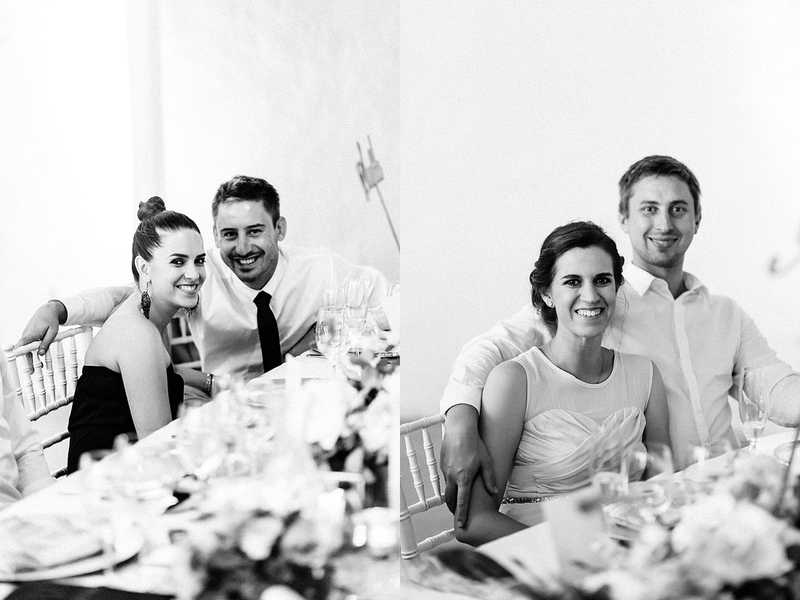 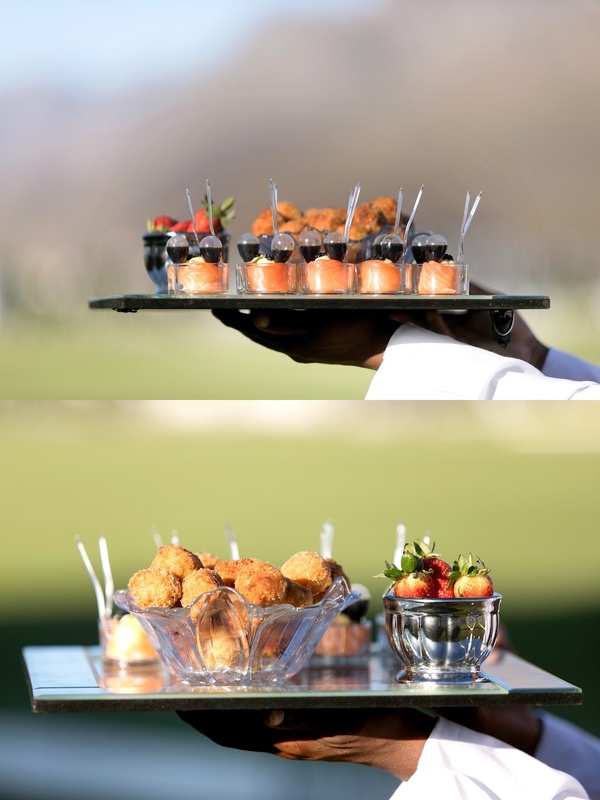 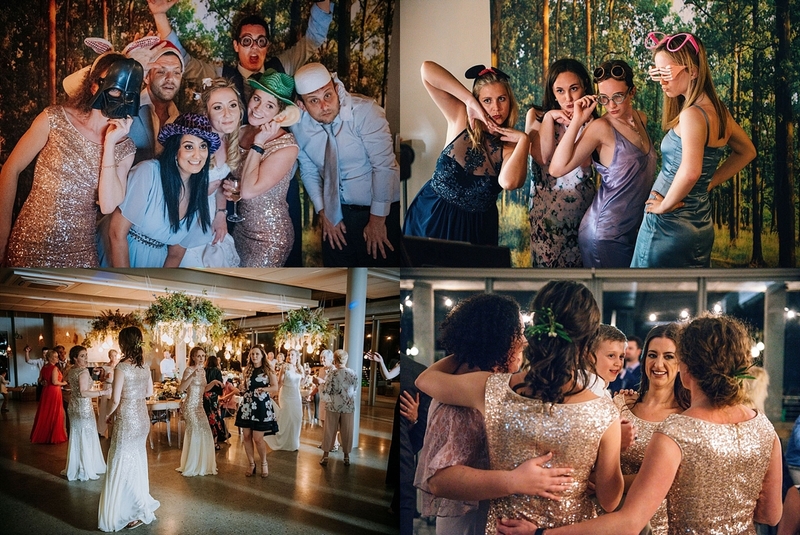 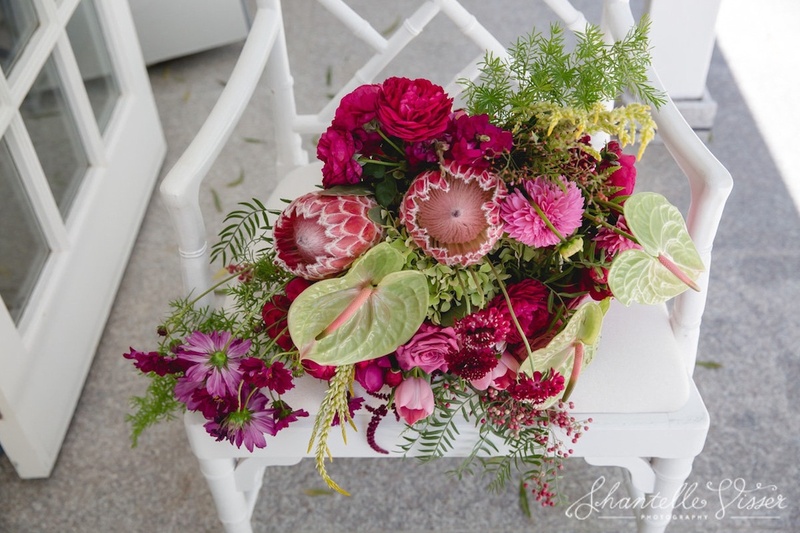 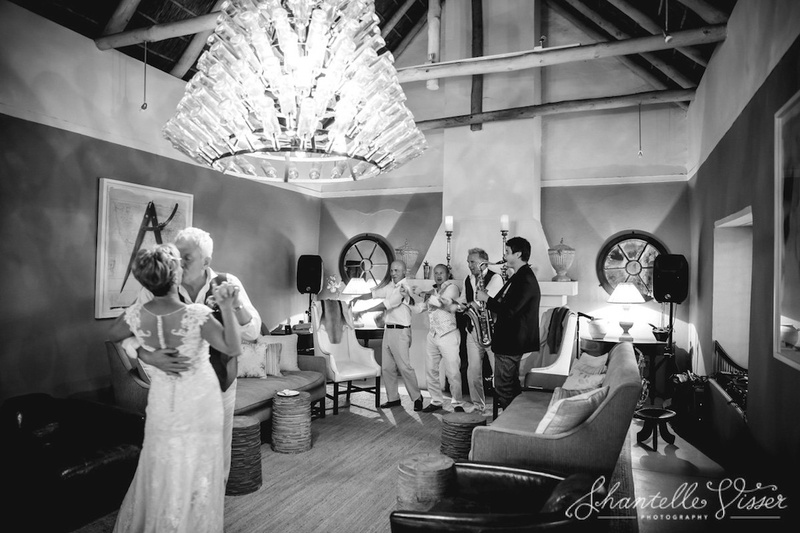 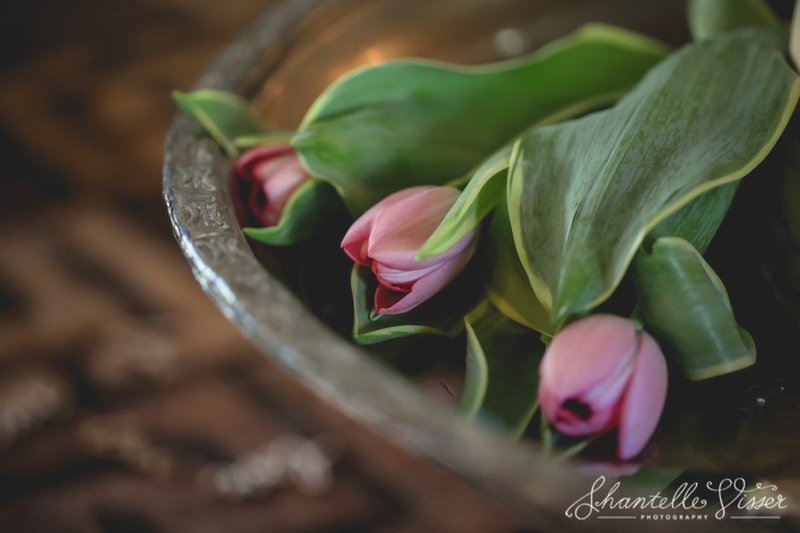 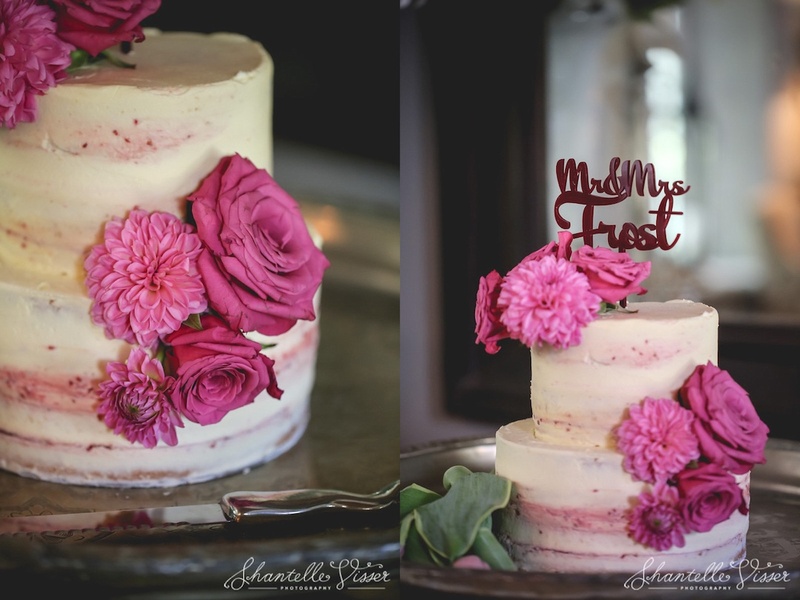 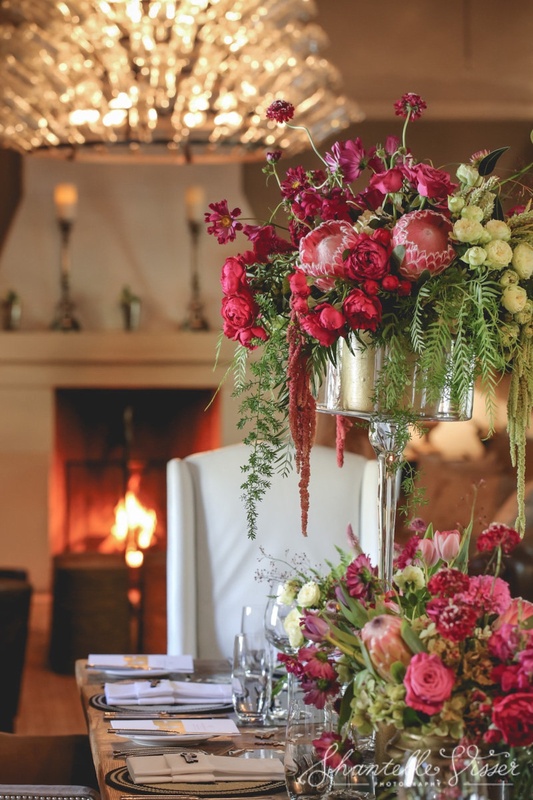 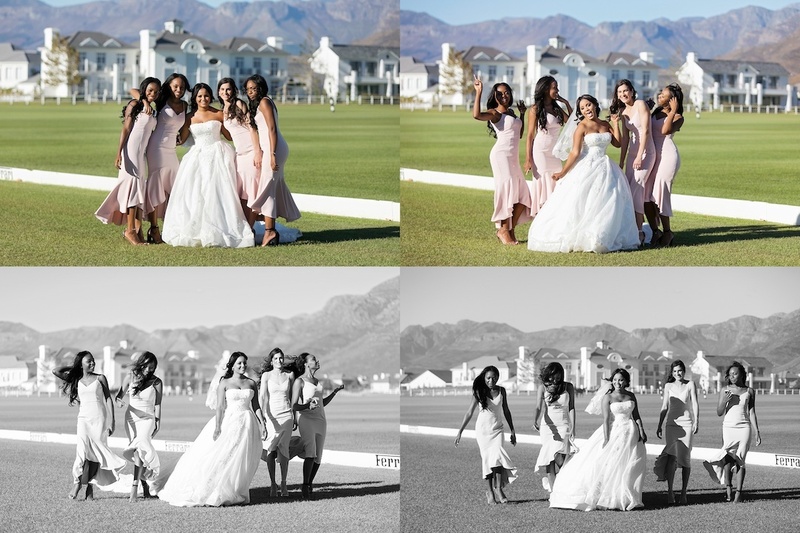 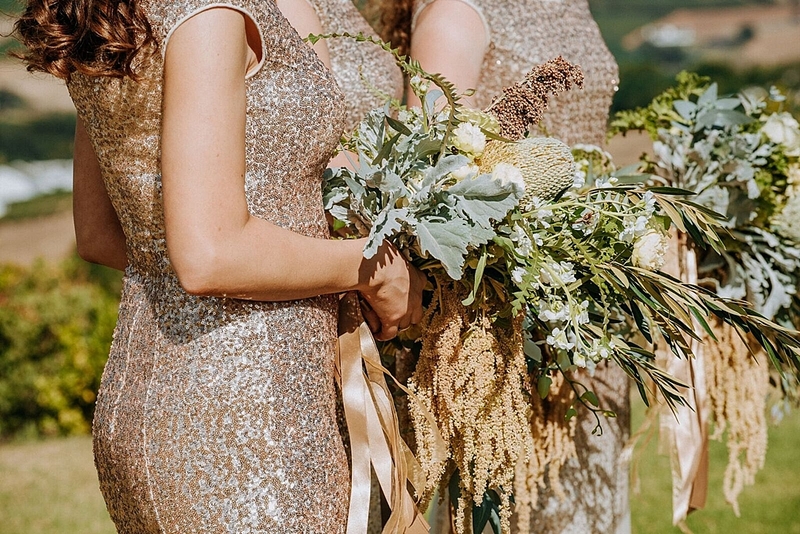 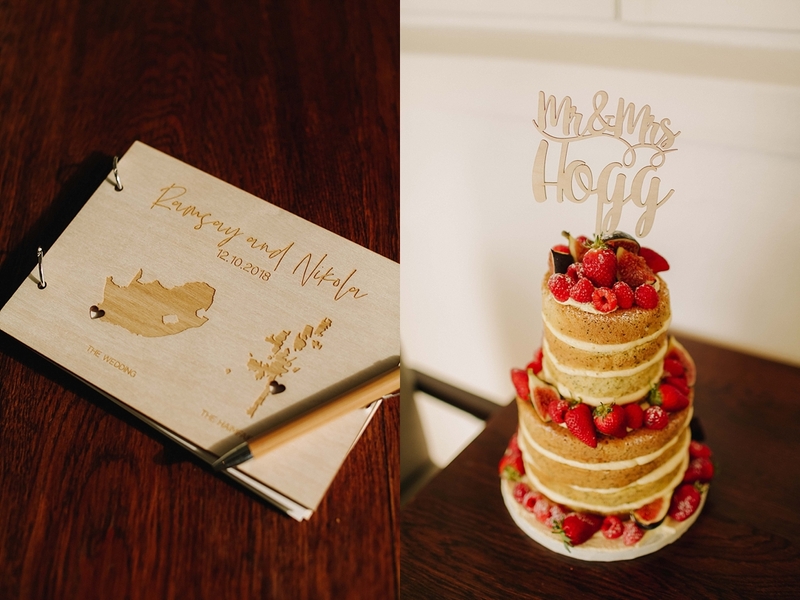 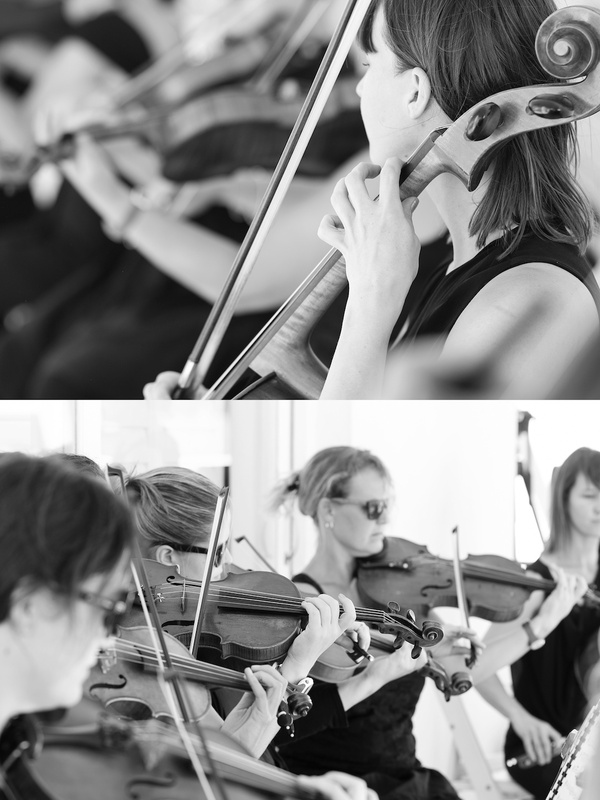 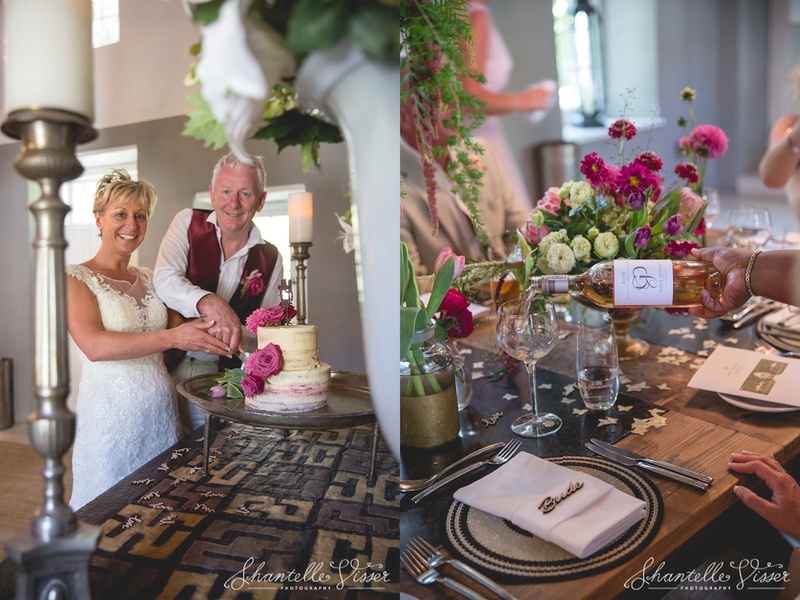 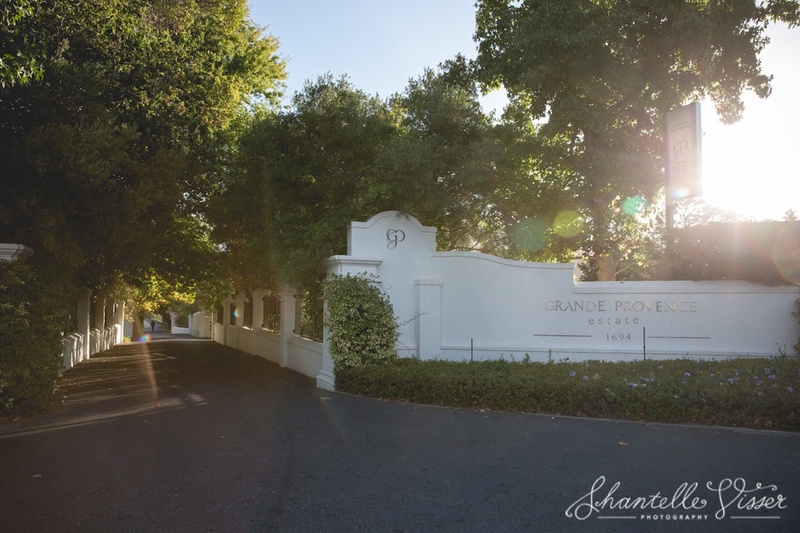 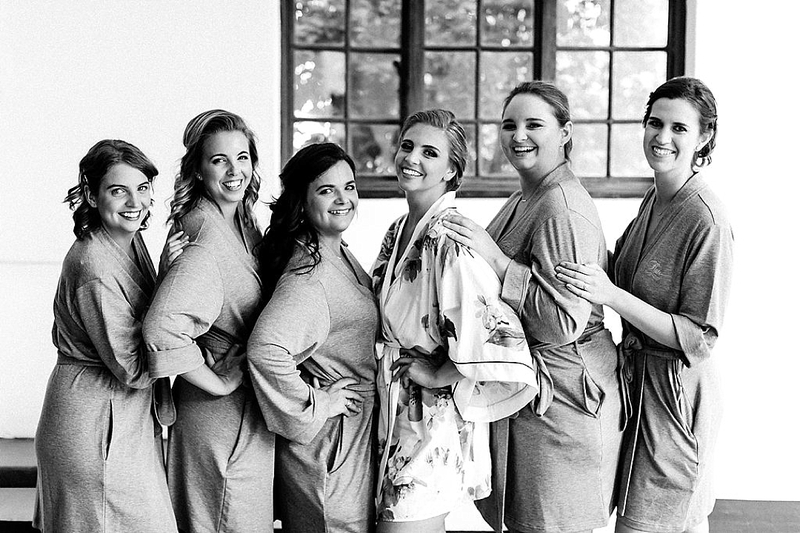 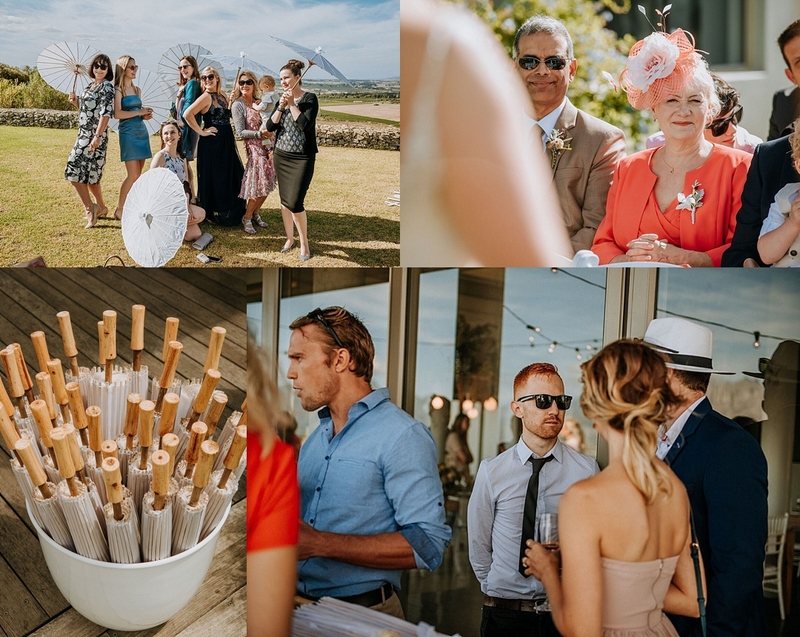 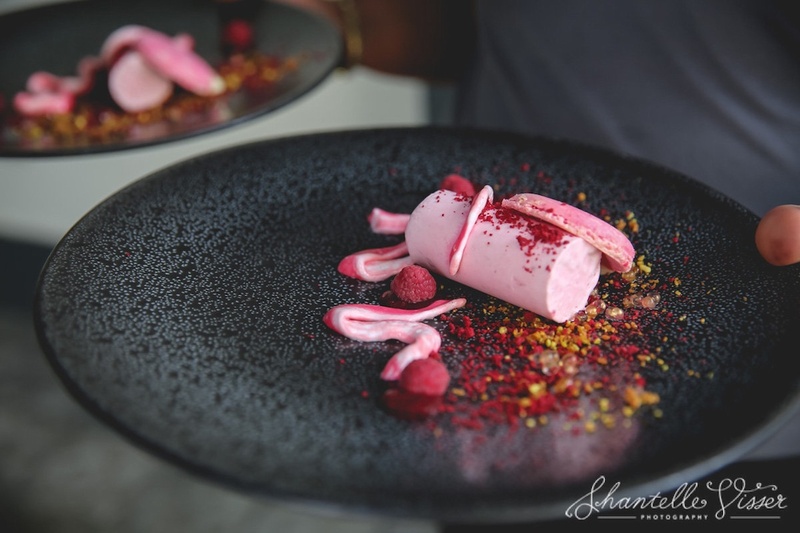 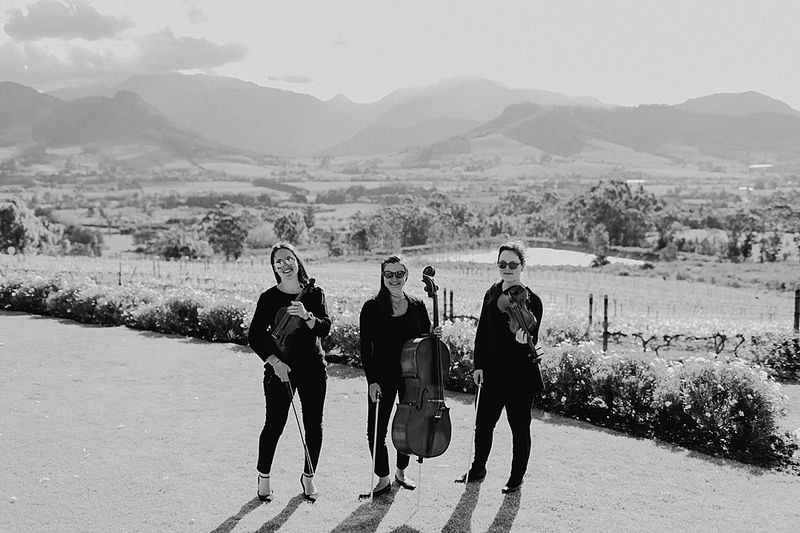 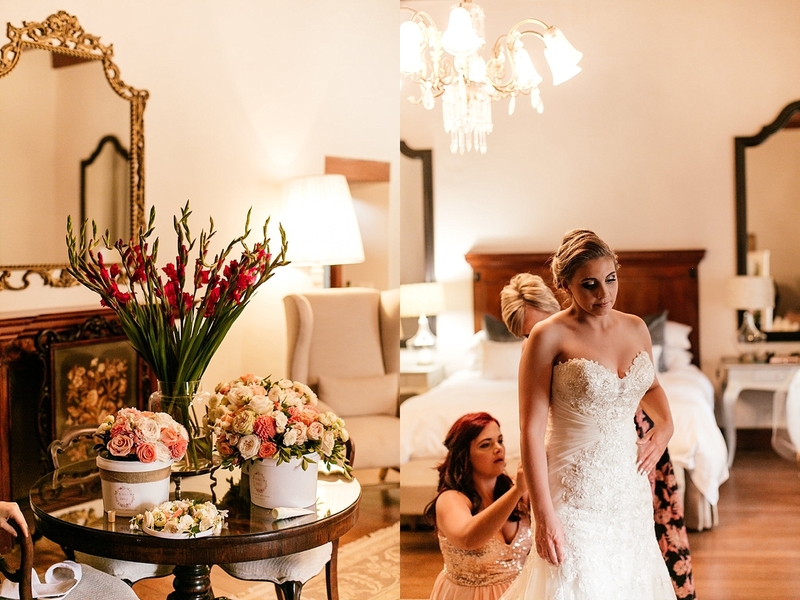 The team that you pulled together for the flowers, photos, ceremony, cake and of course the music complemented the beautiful venue of Grande Provence. 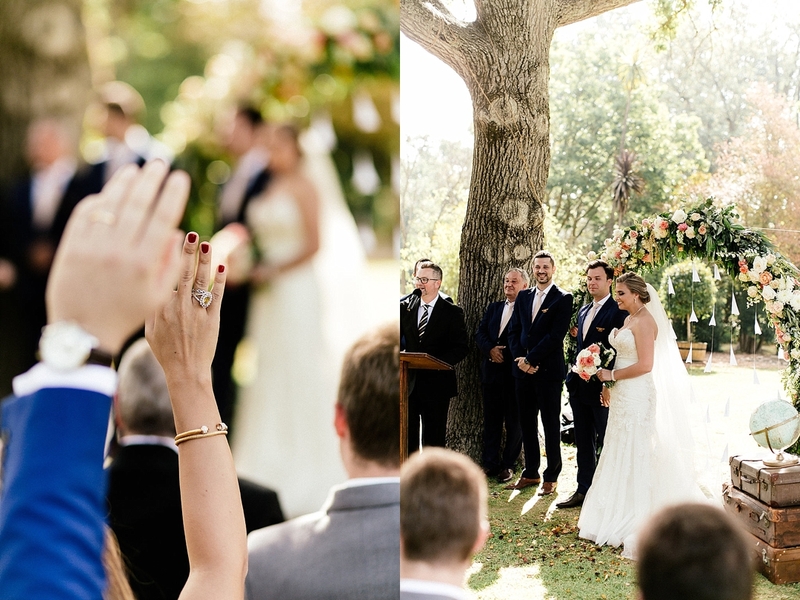 It is certainly a day that will cherish and remember for the rest of our lives… very, very special. 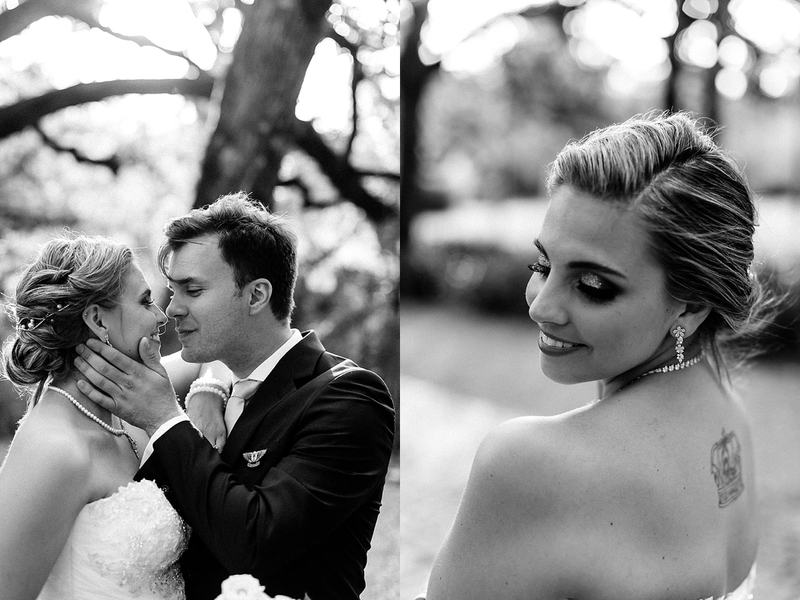 Thank you both once again for helping to make it all seem so effortless. 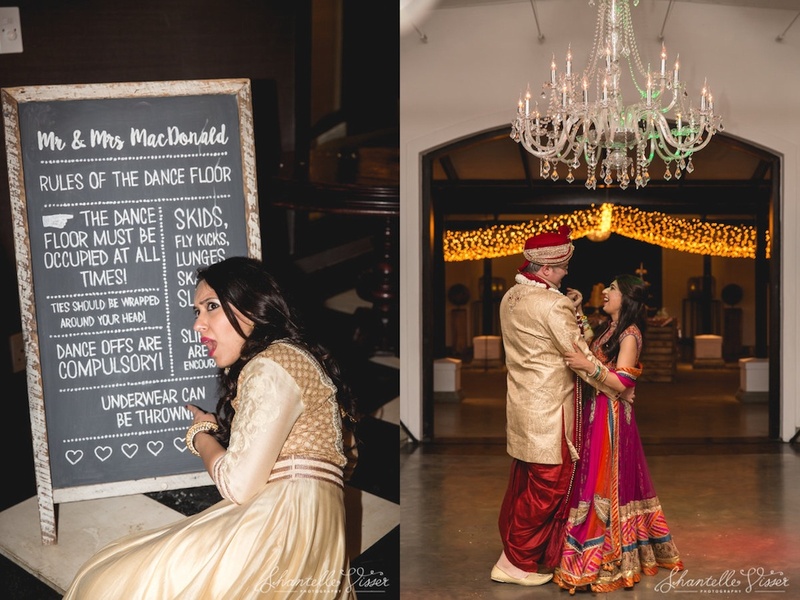 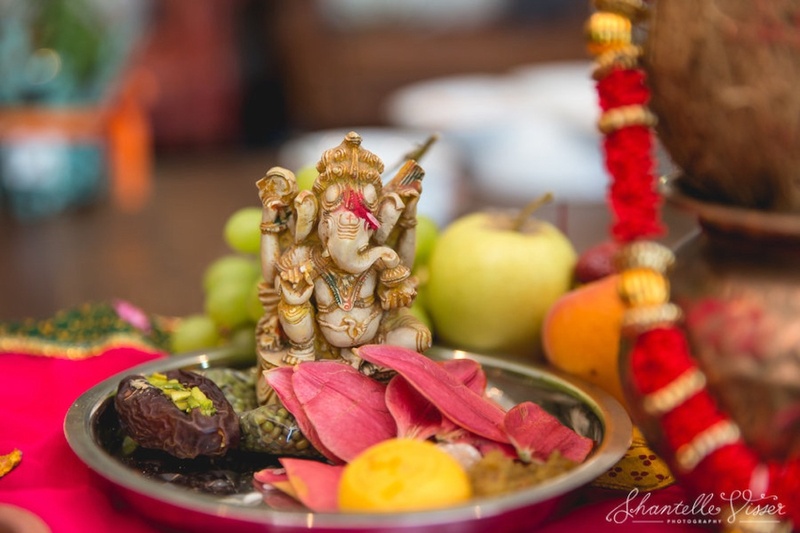 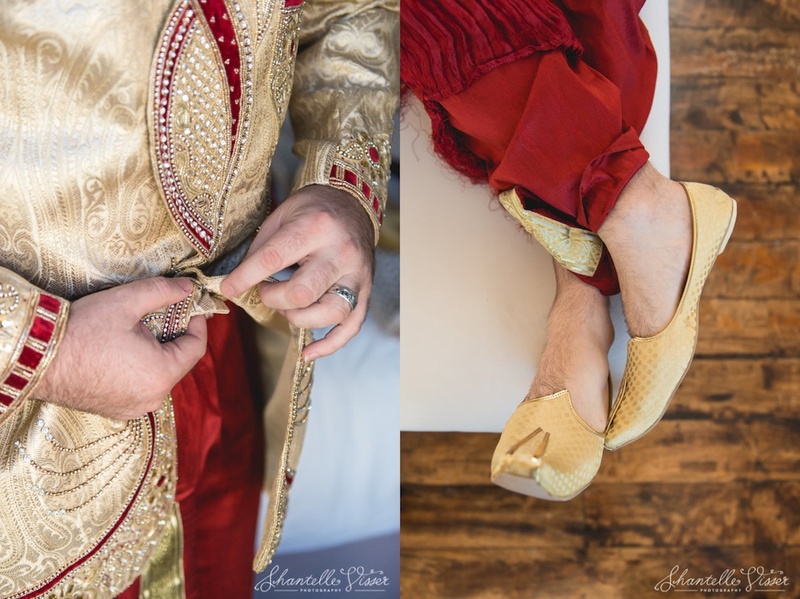 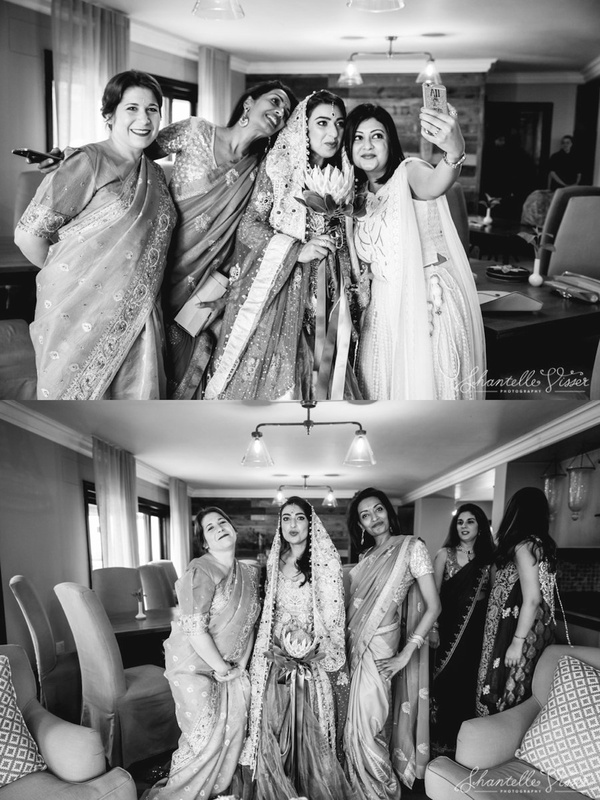 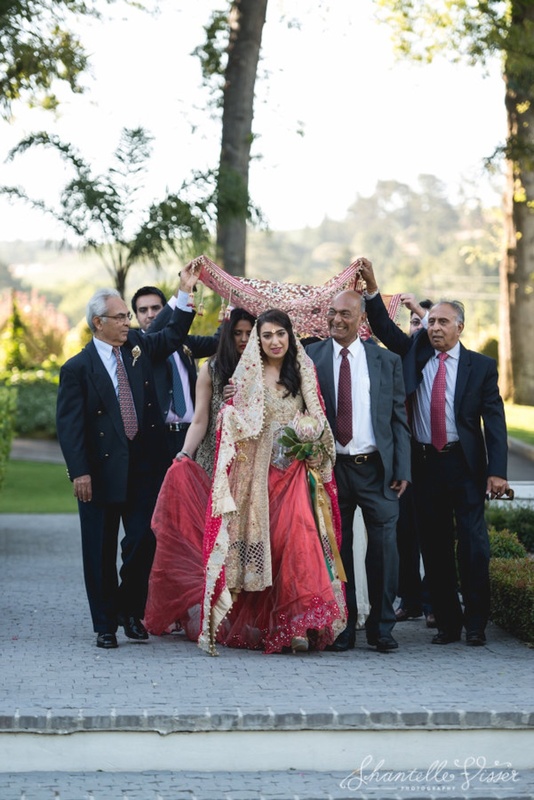 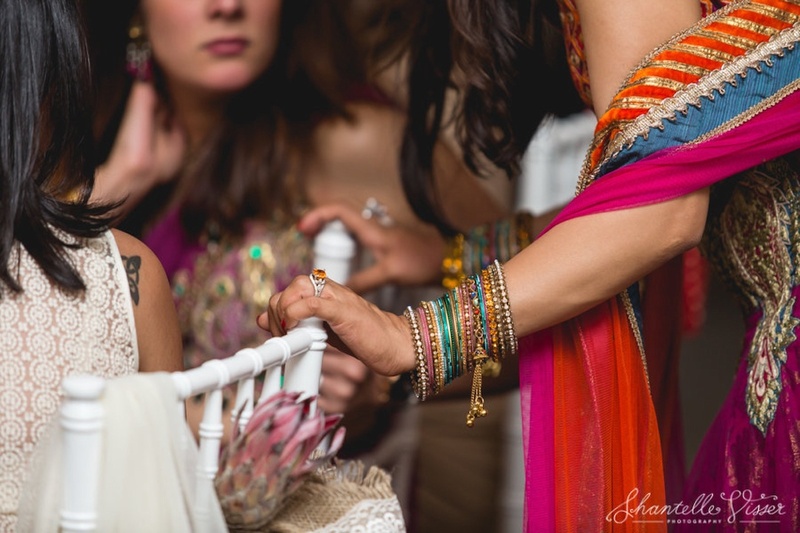 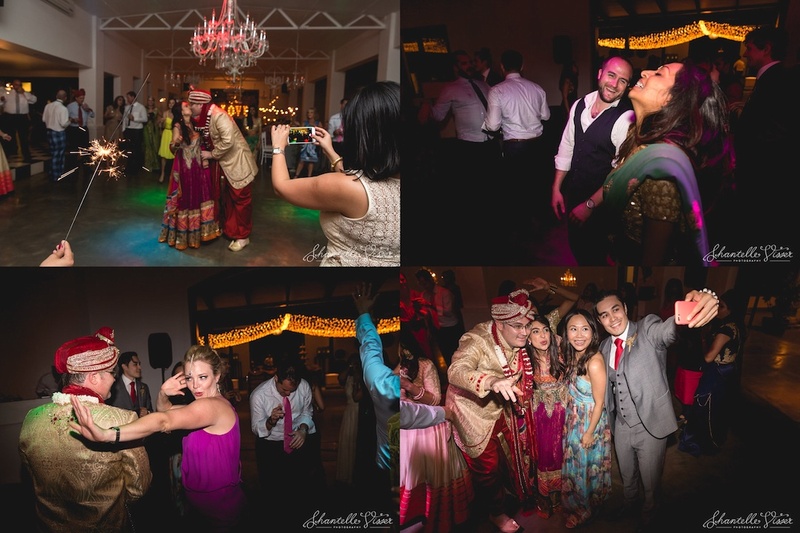 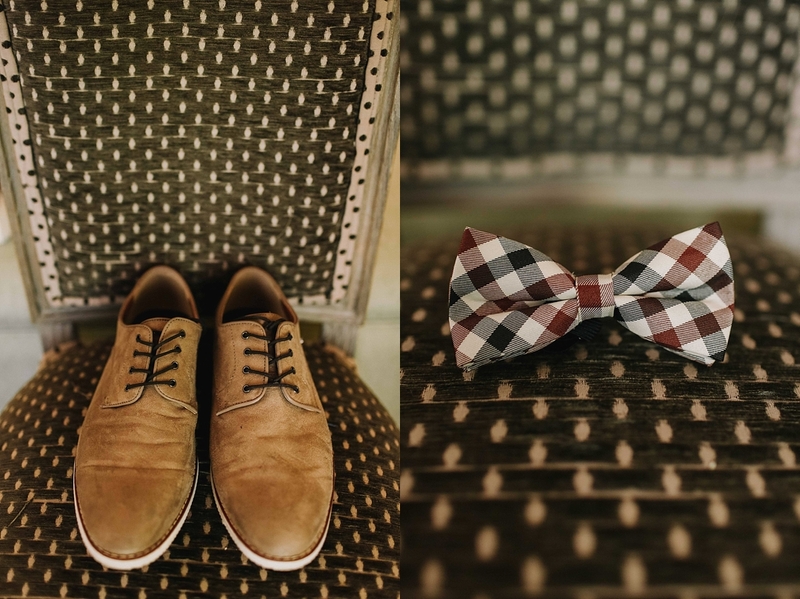 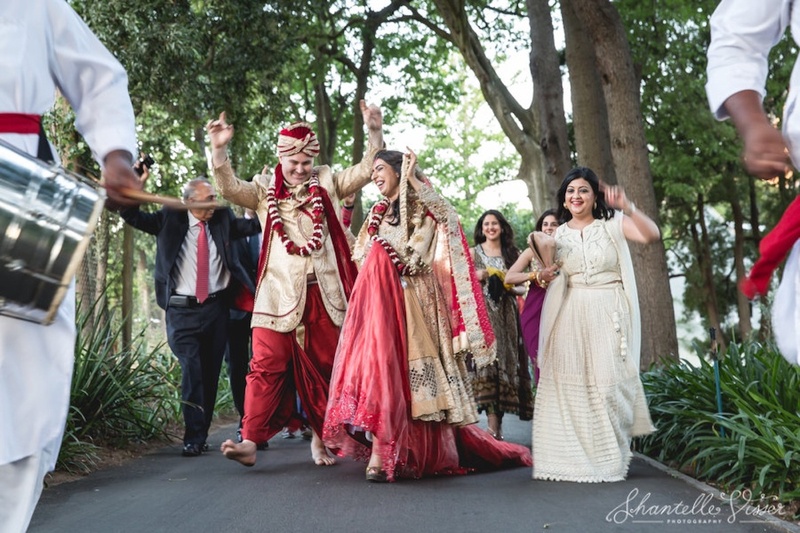 We are very excited to share the images of the vintage Indian Fusion Wedding of Meghna and Andrew. 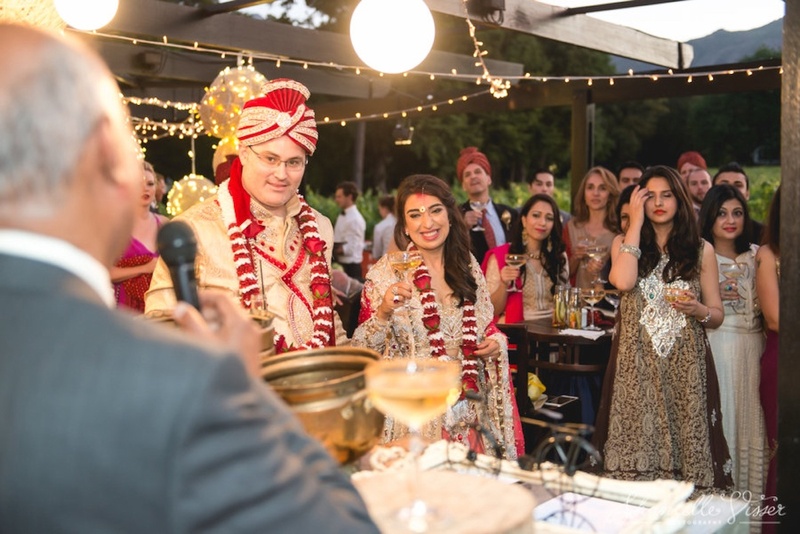 Meghna is known to her friends as a dynamic woman with an eye for detail and Andrew as an English wordsmith with a heart of gold. 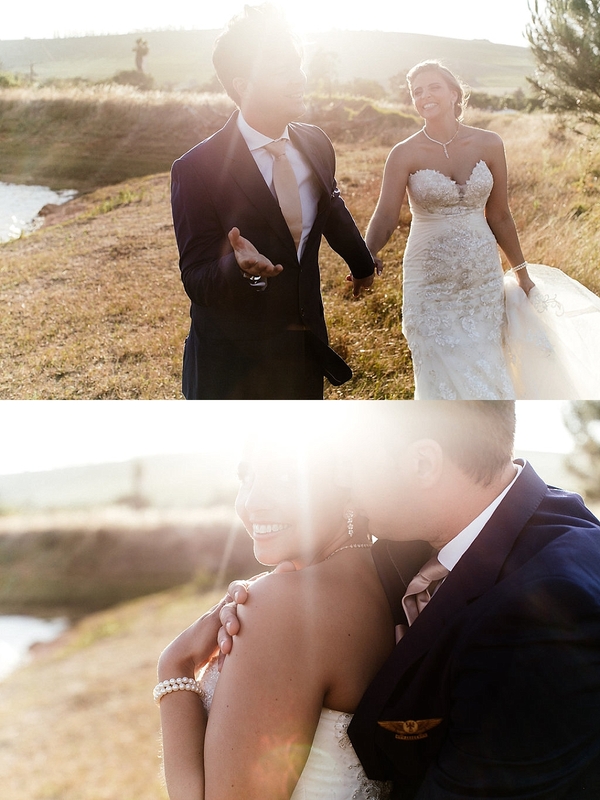 What an amazing couple! 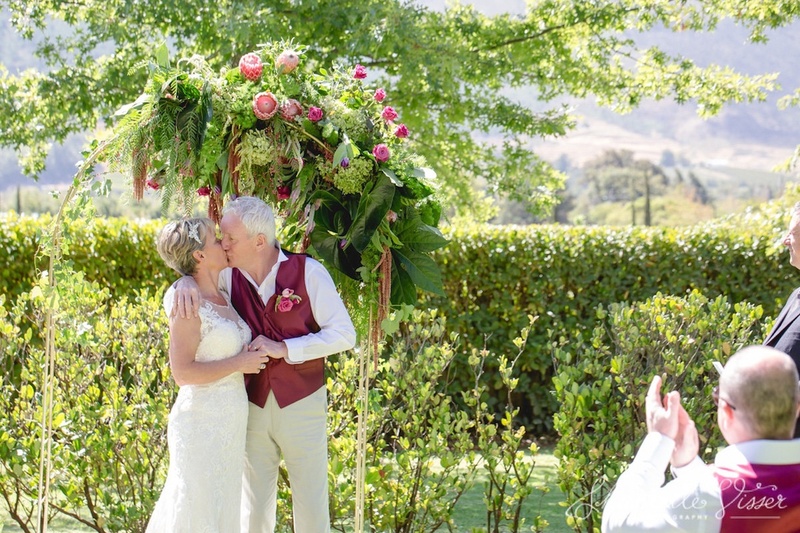 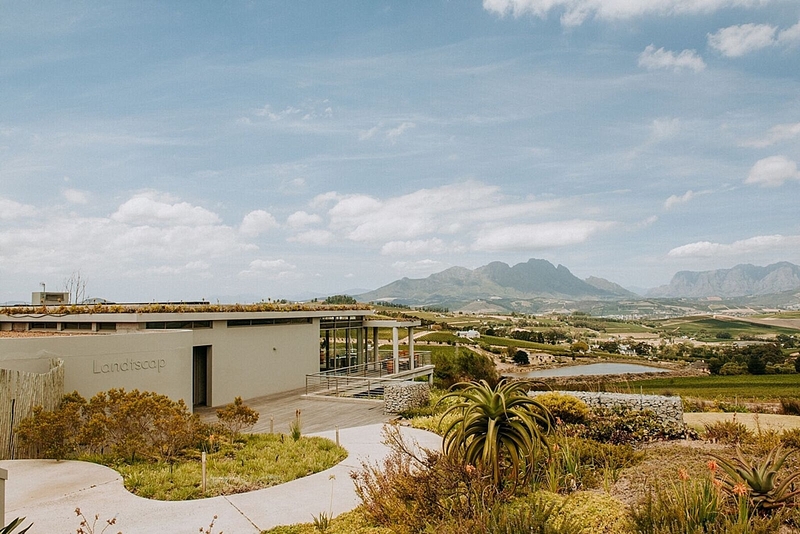 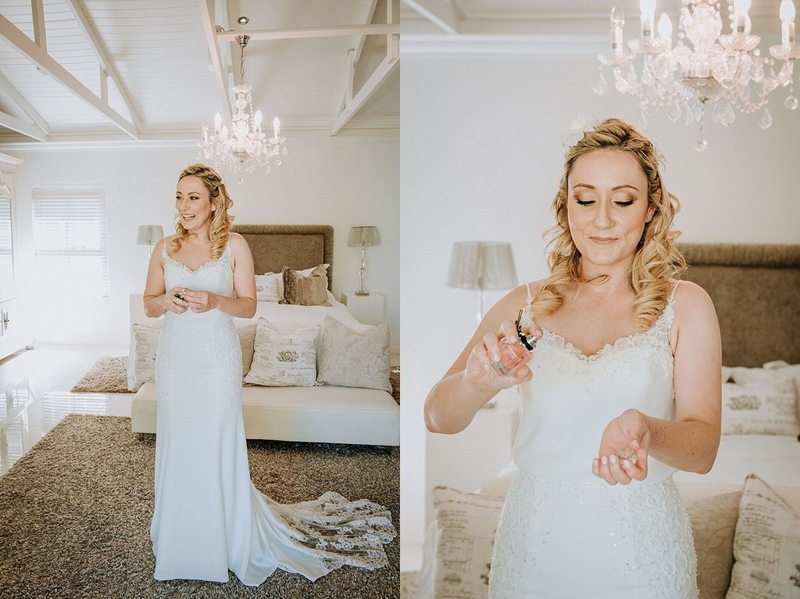 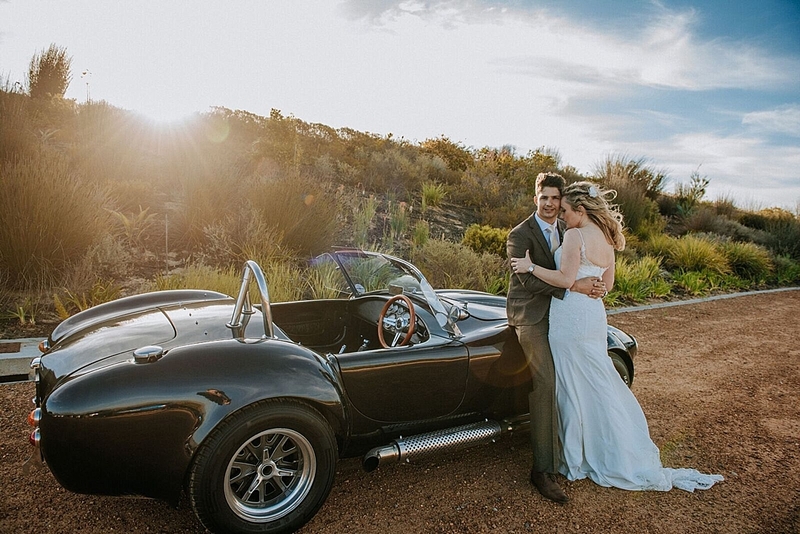 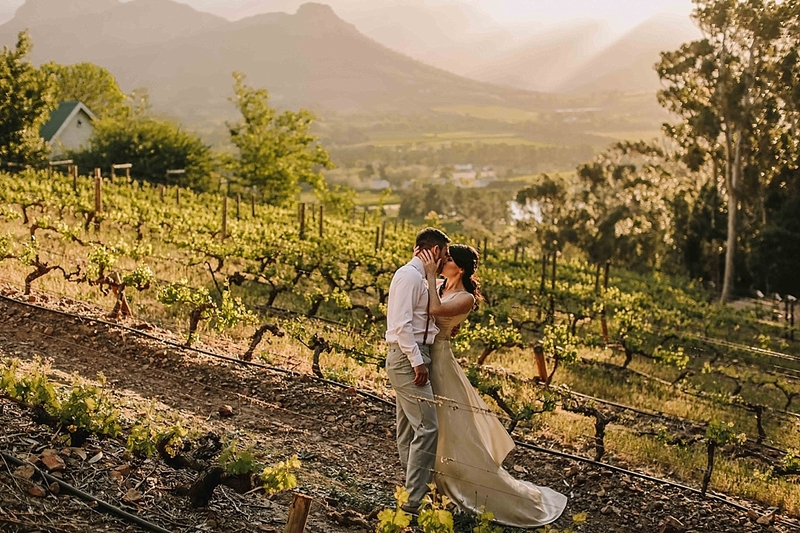 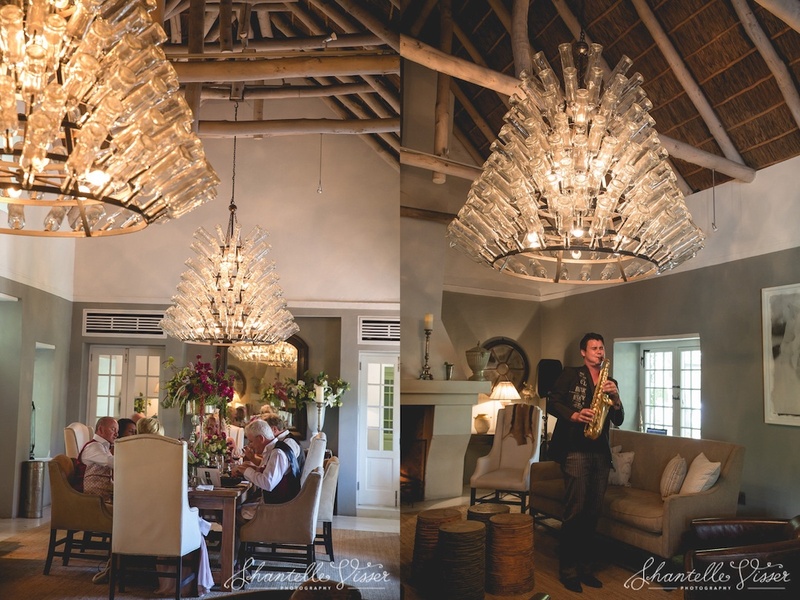 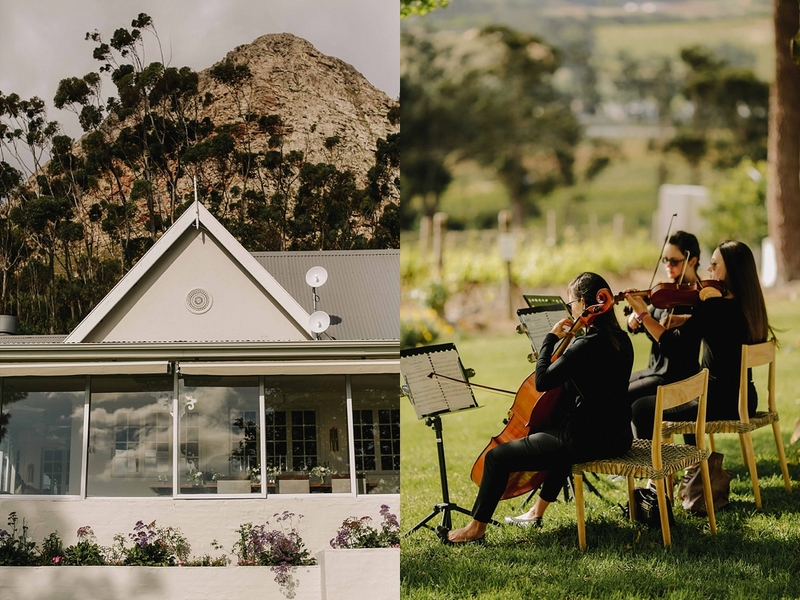 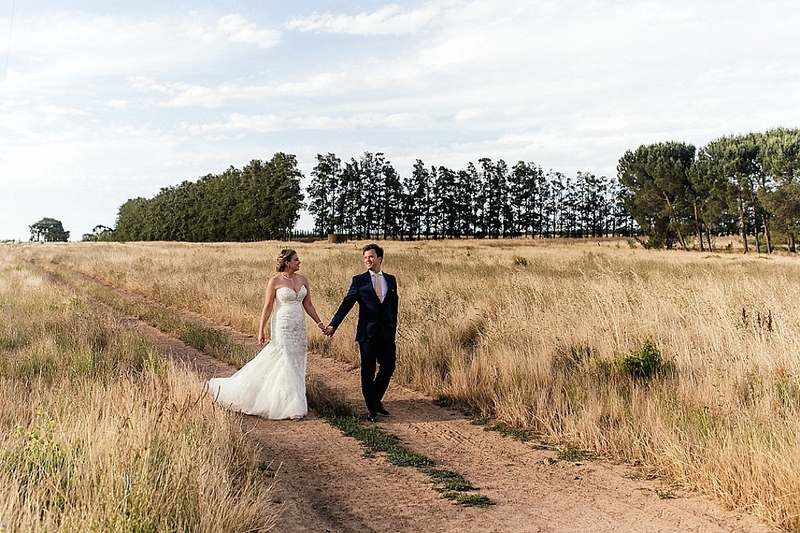 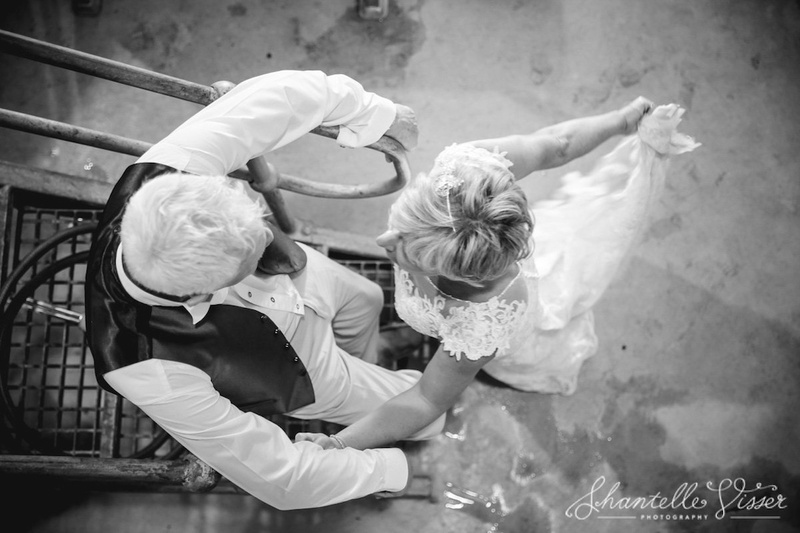 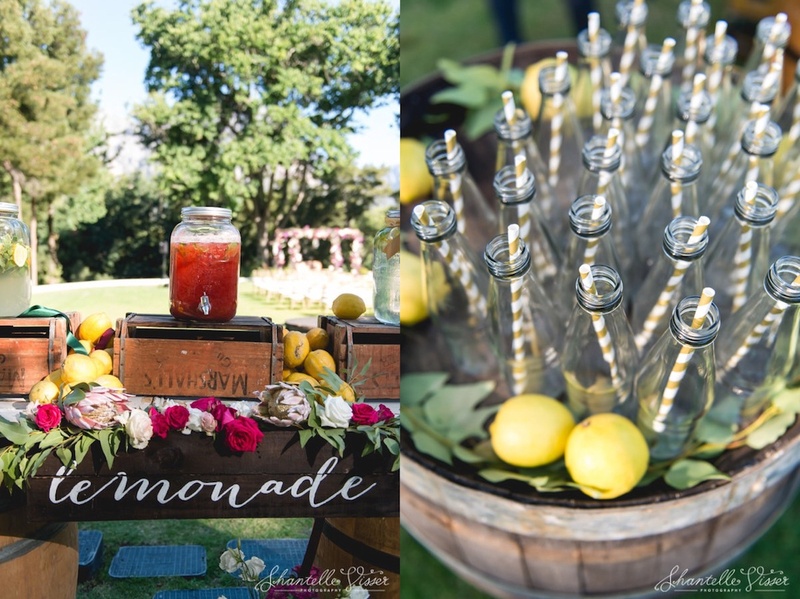 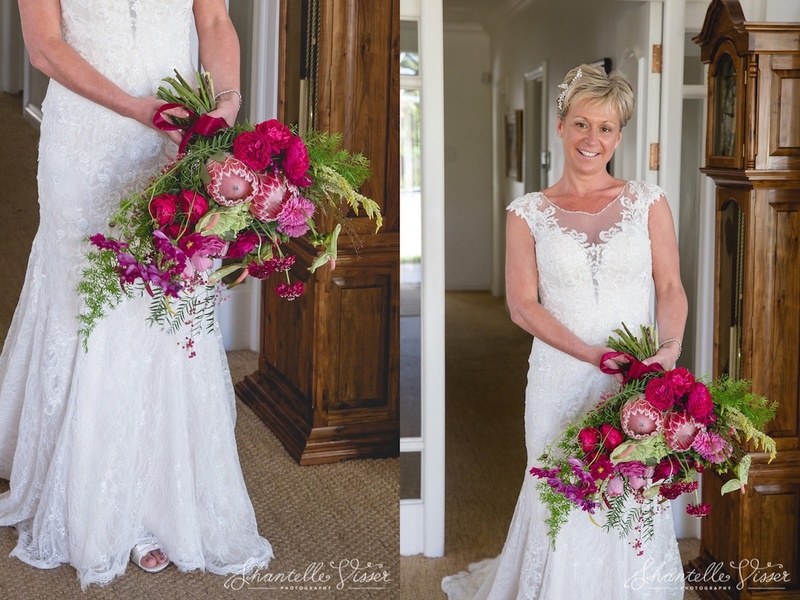 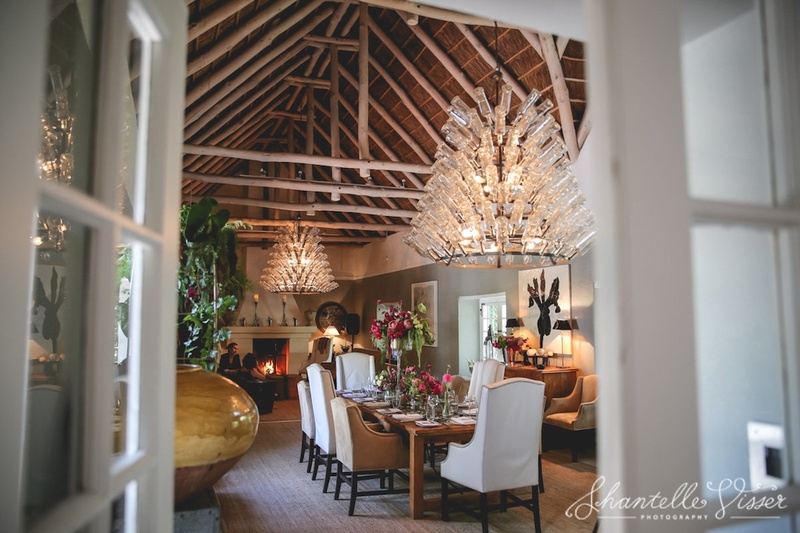 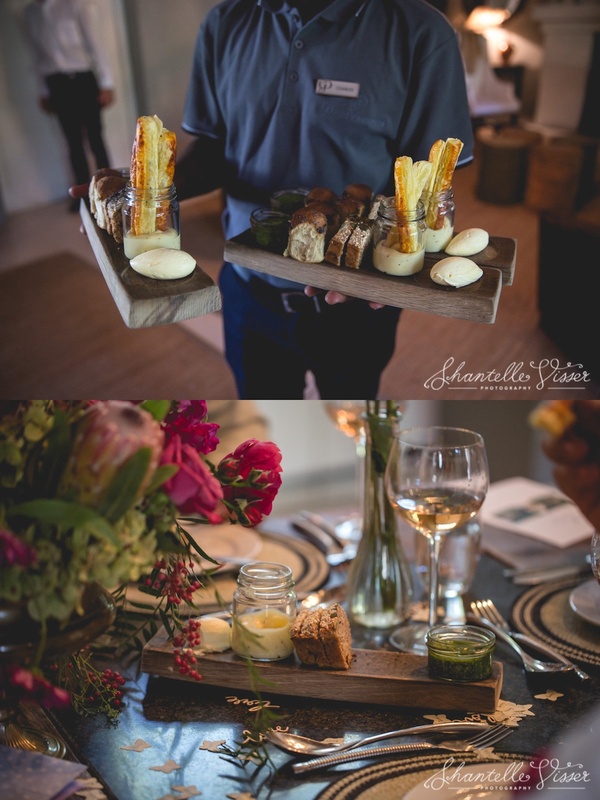 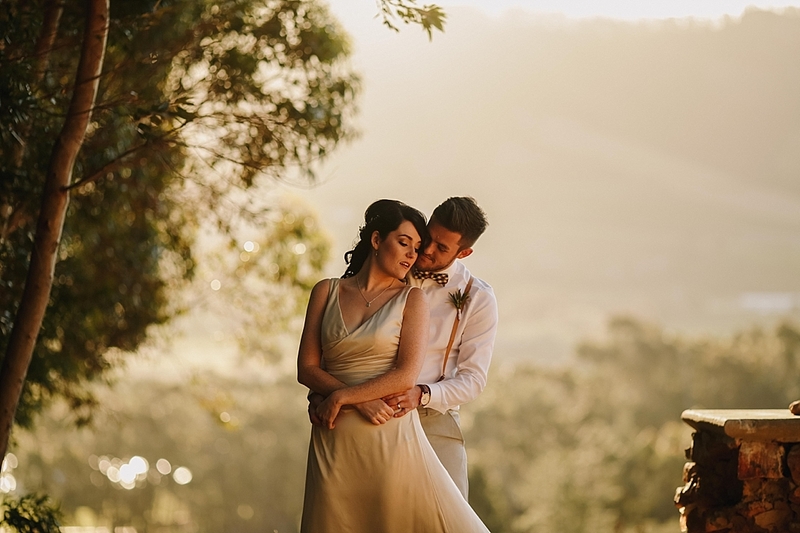 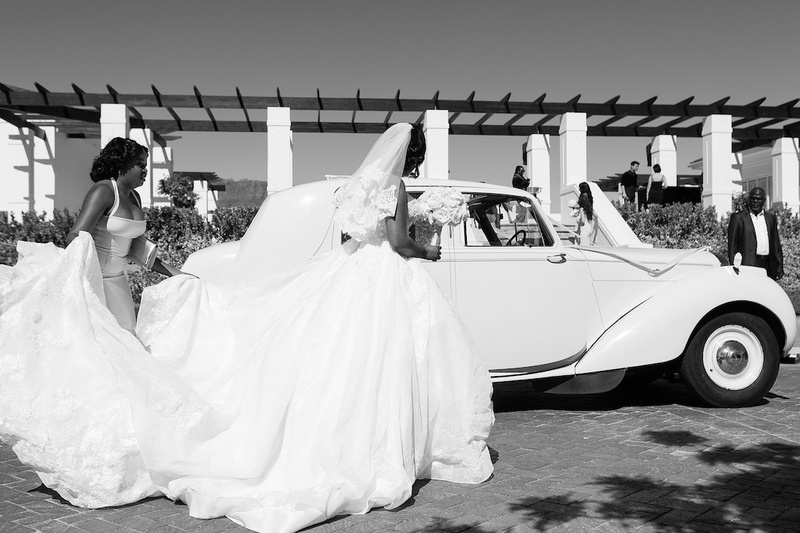 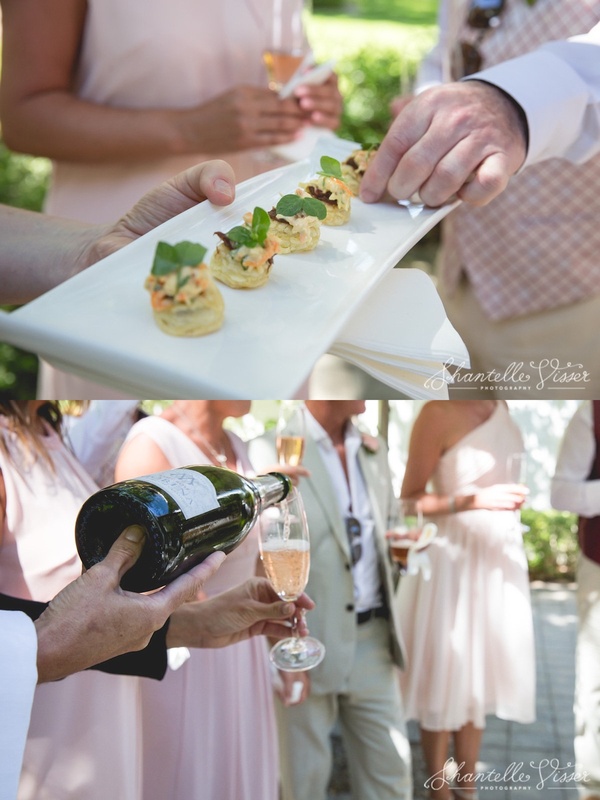 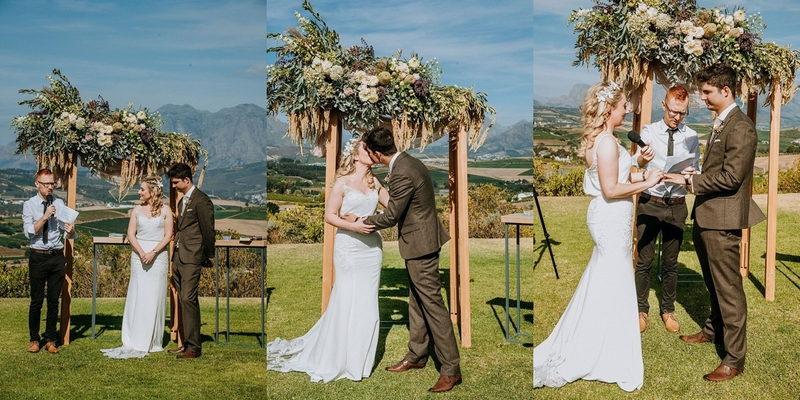 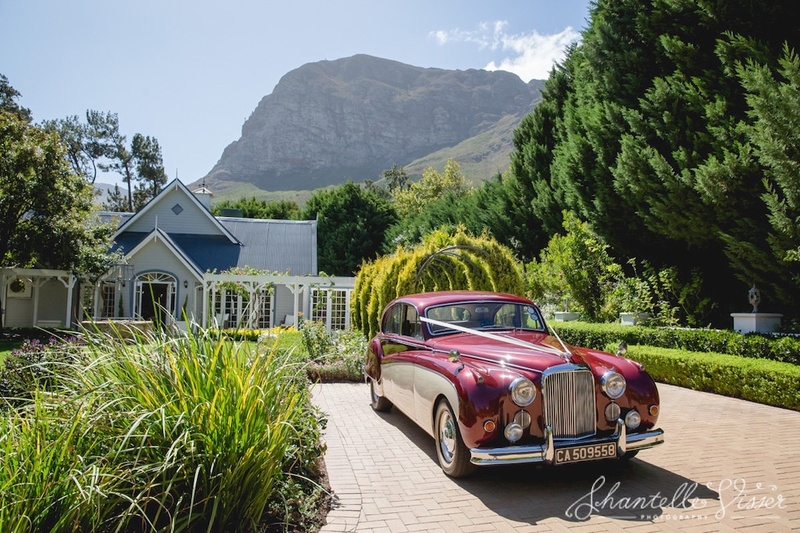 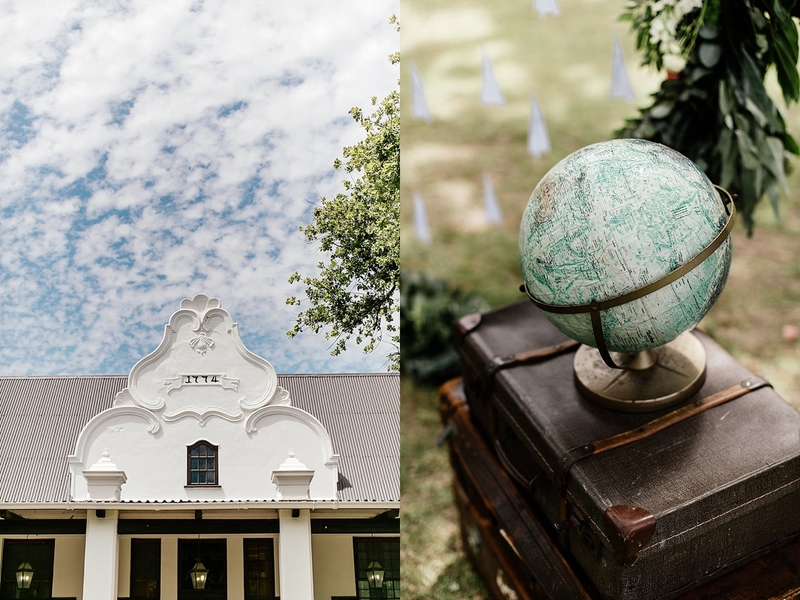 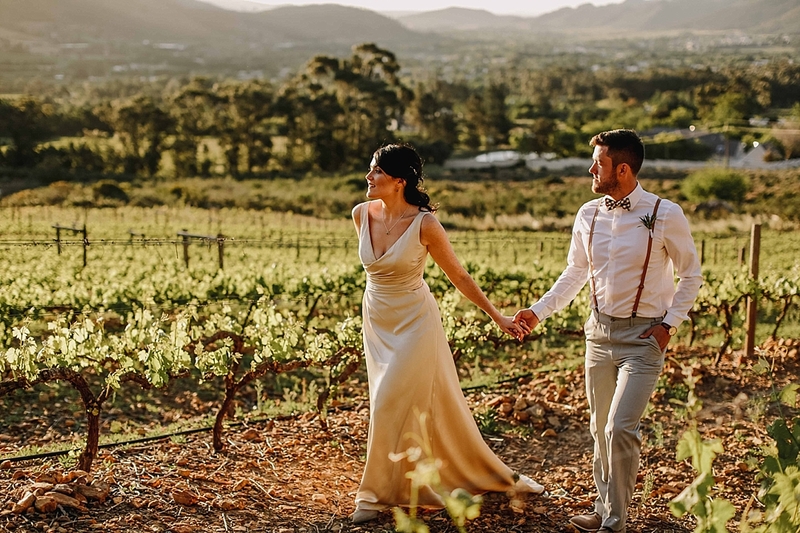 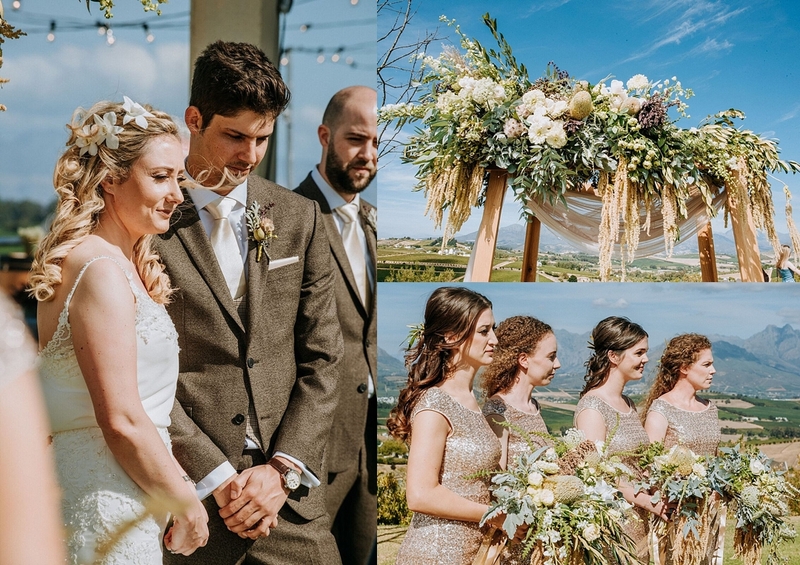 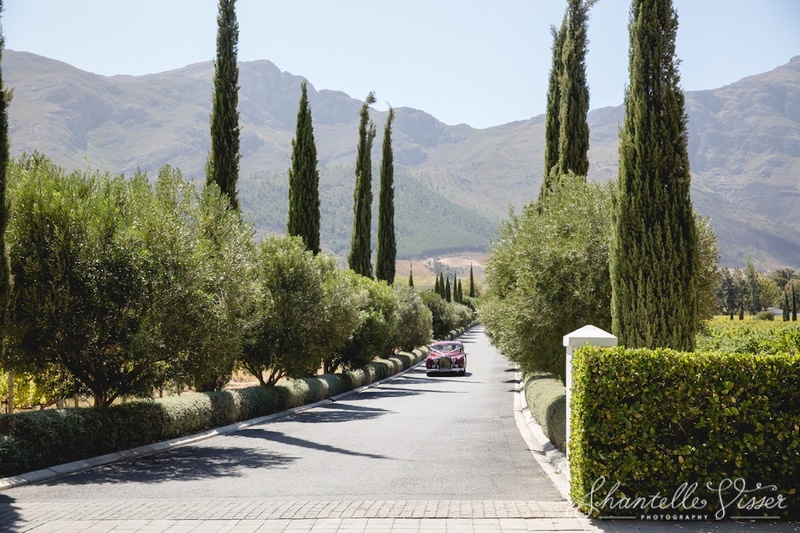 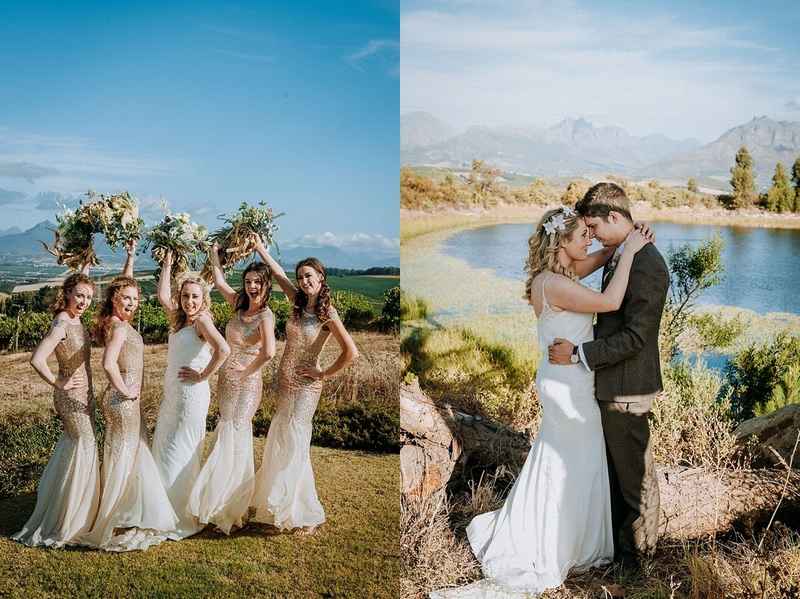 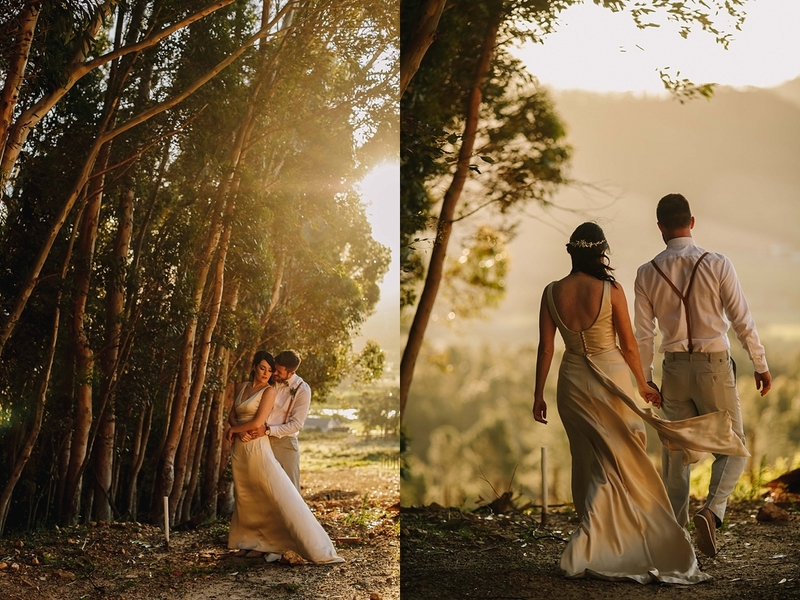 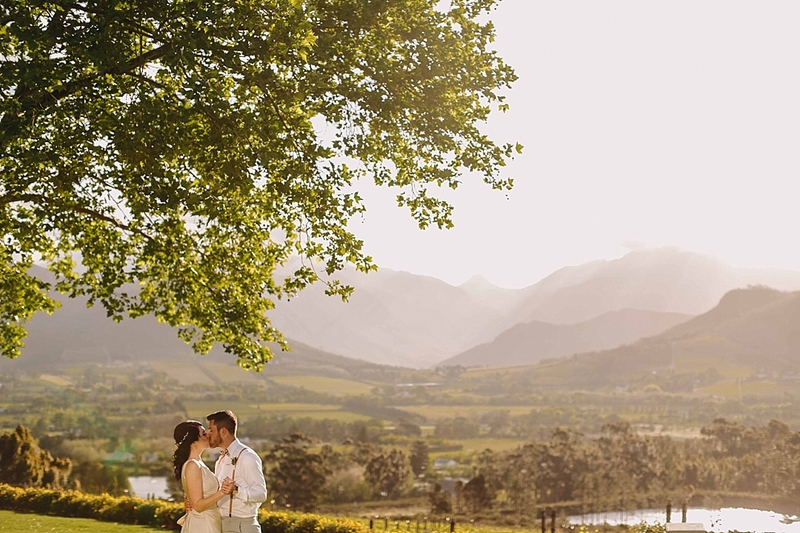 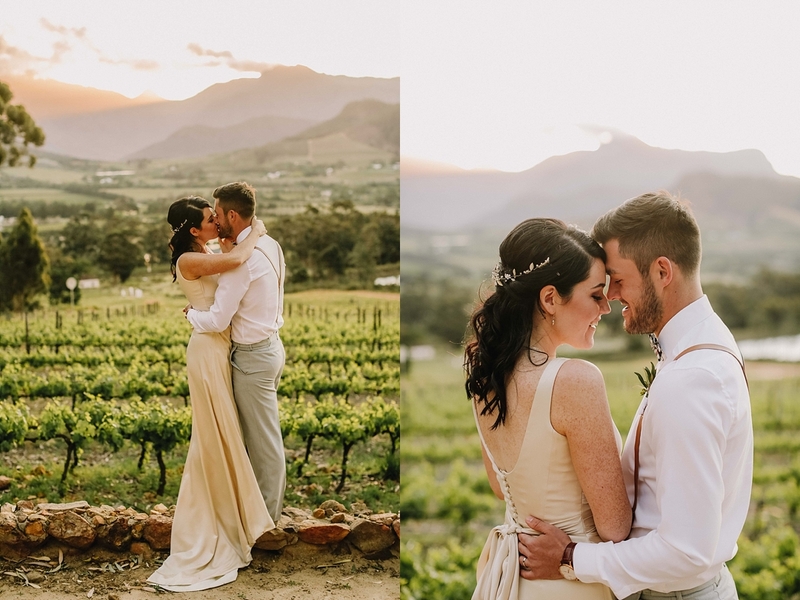 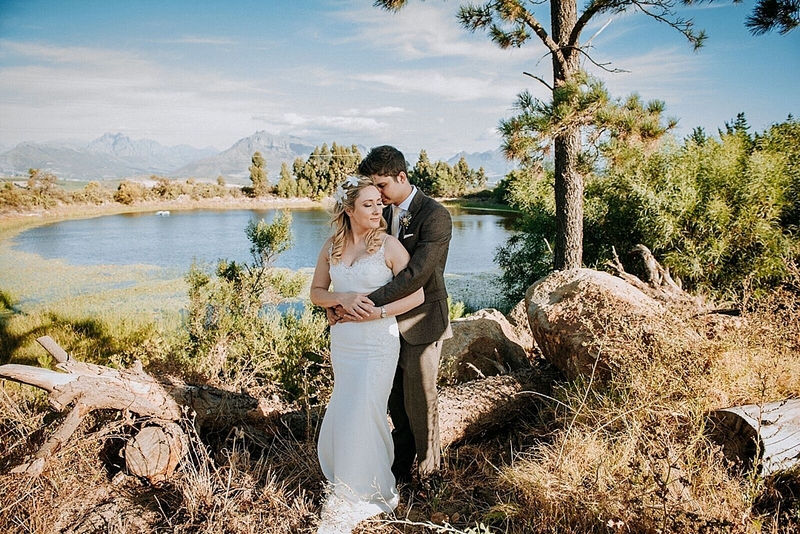 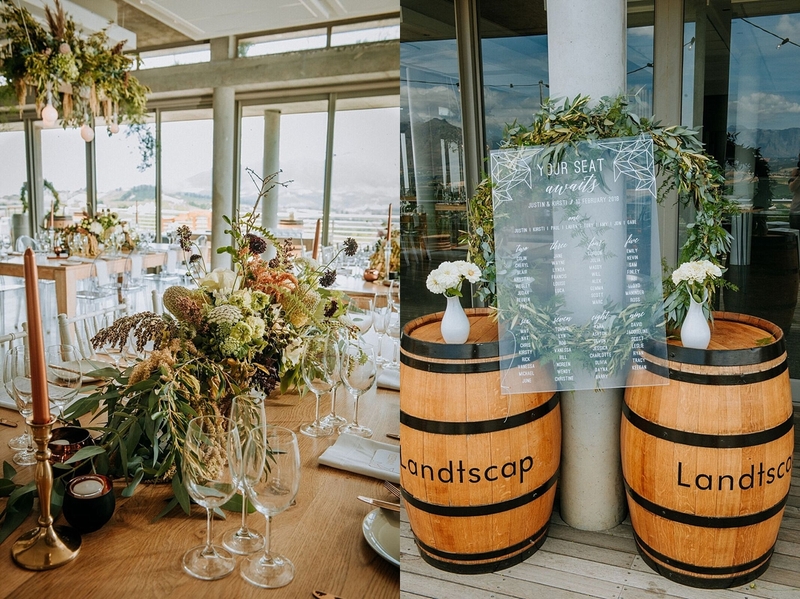 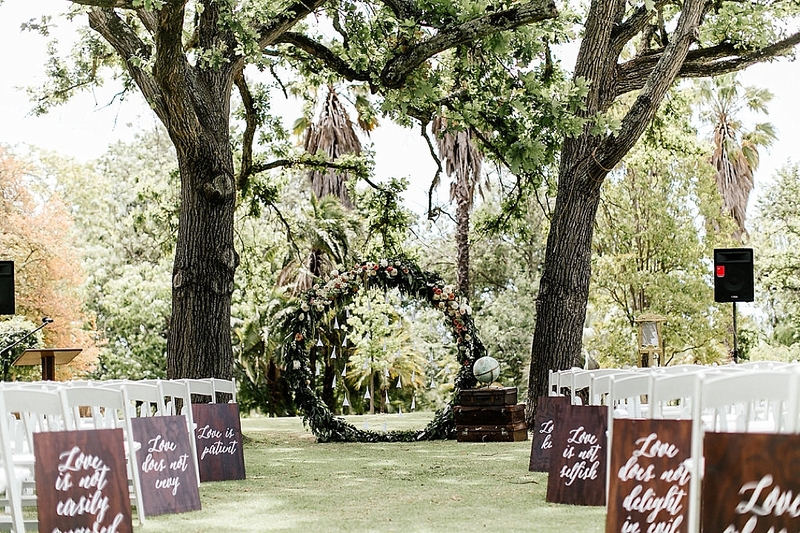 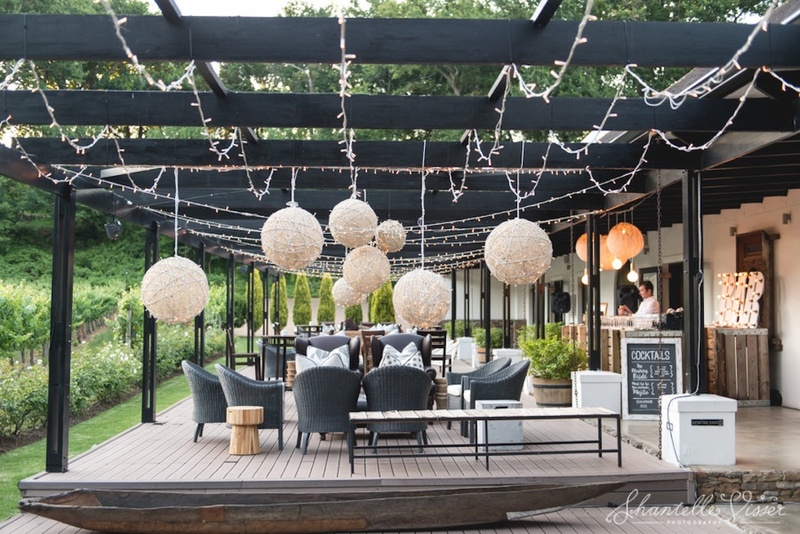 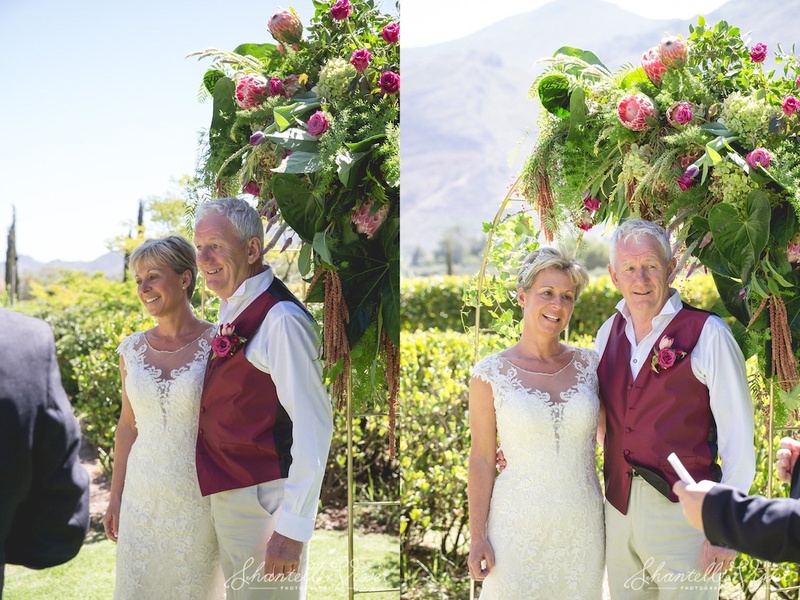 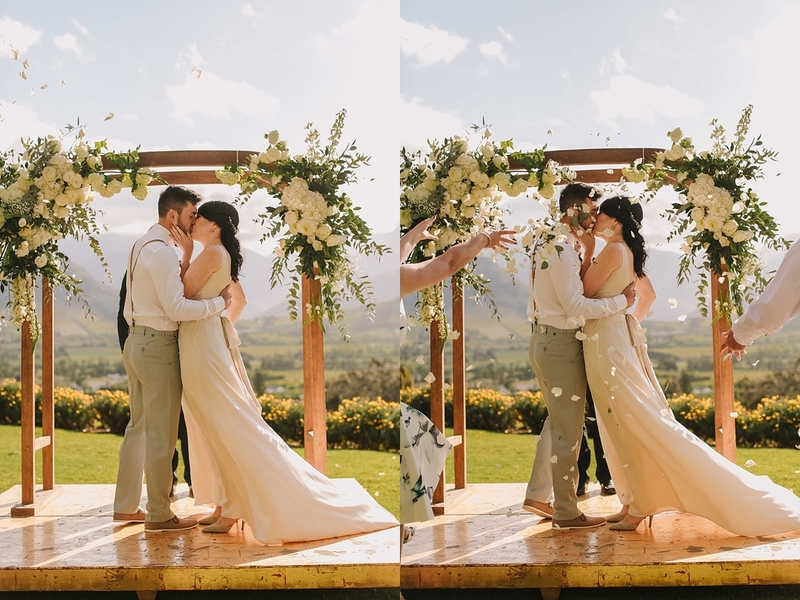 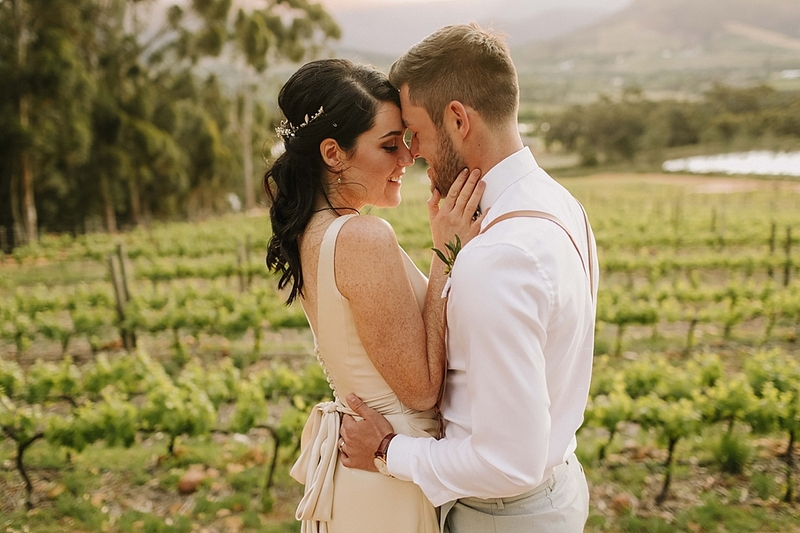 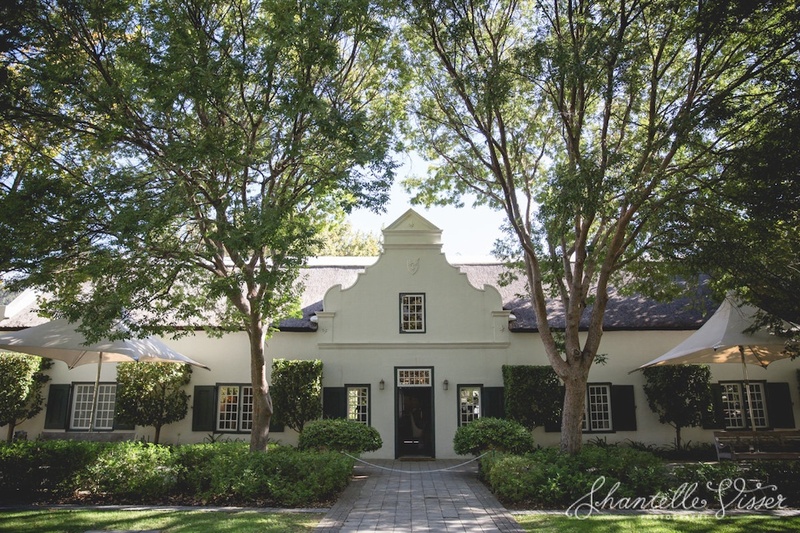 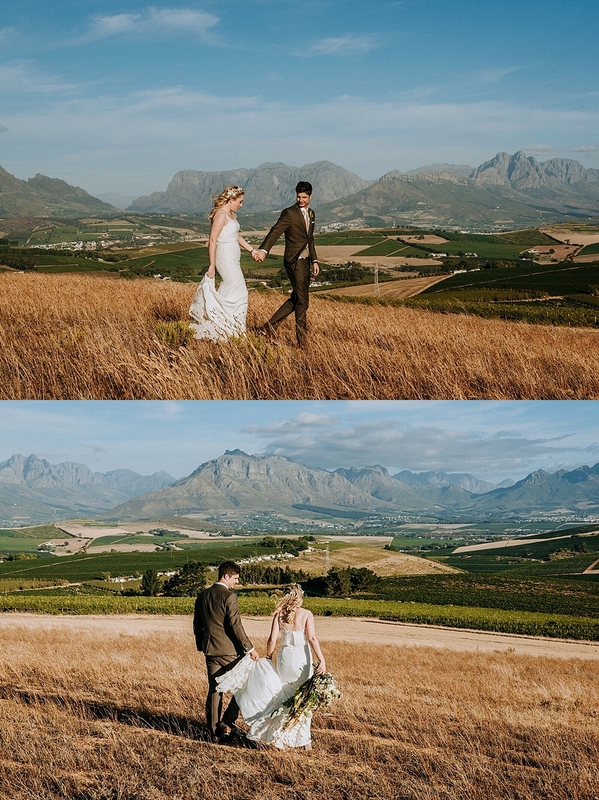 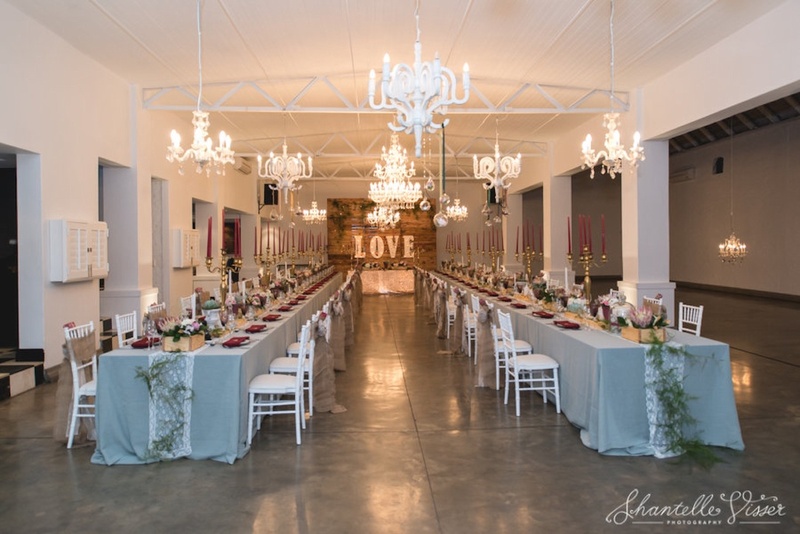 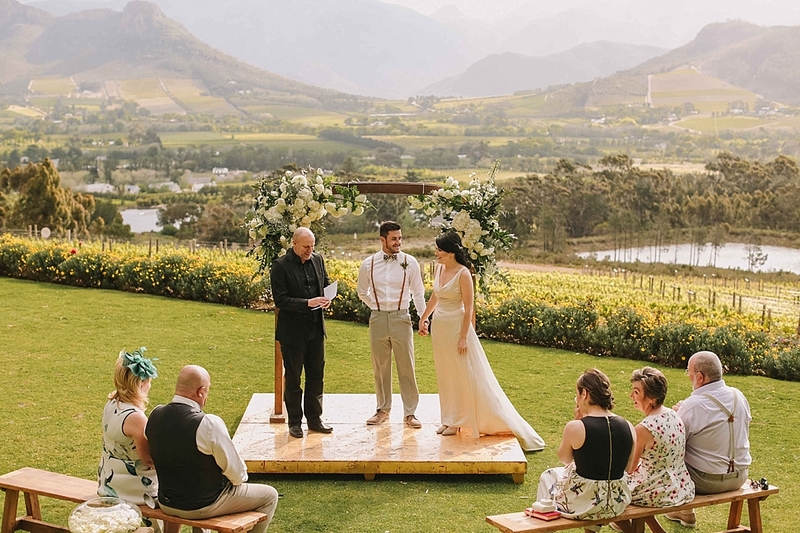 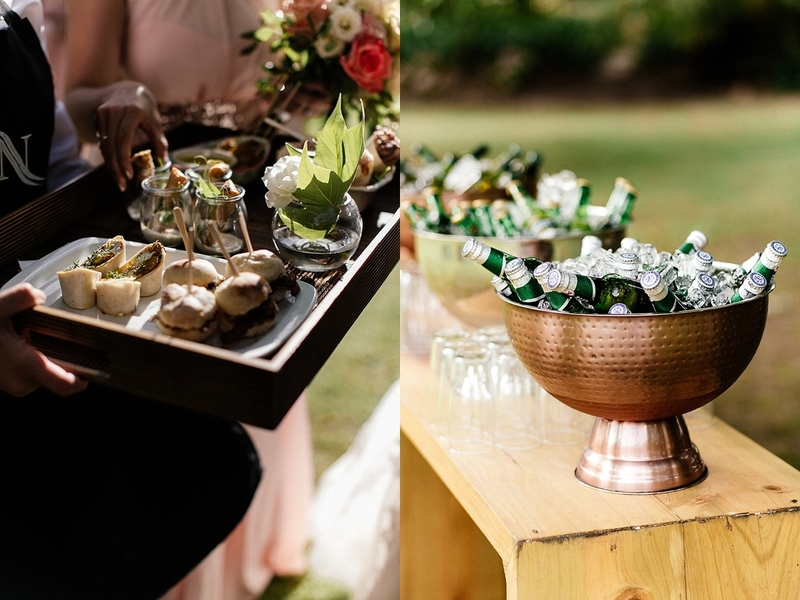 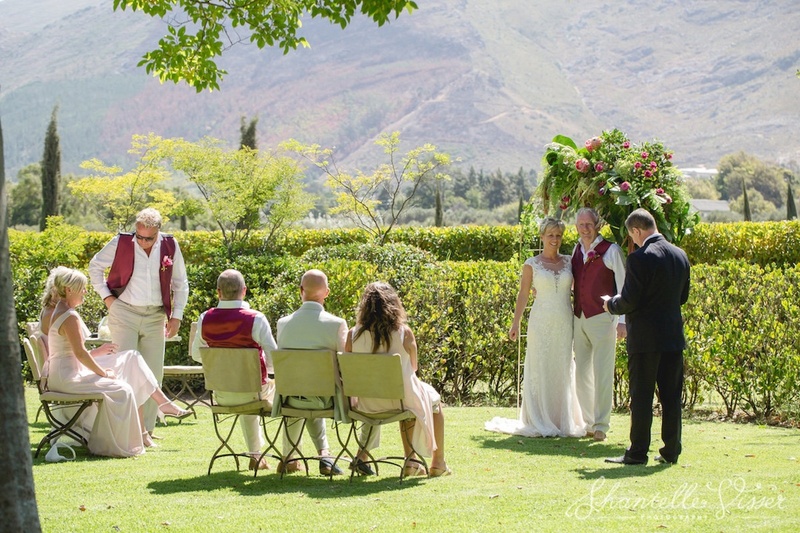 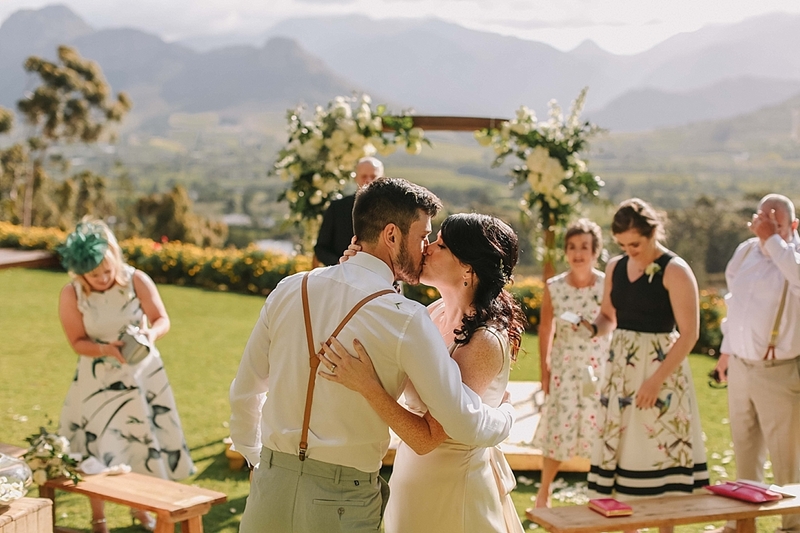 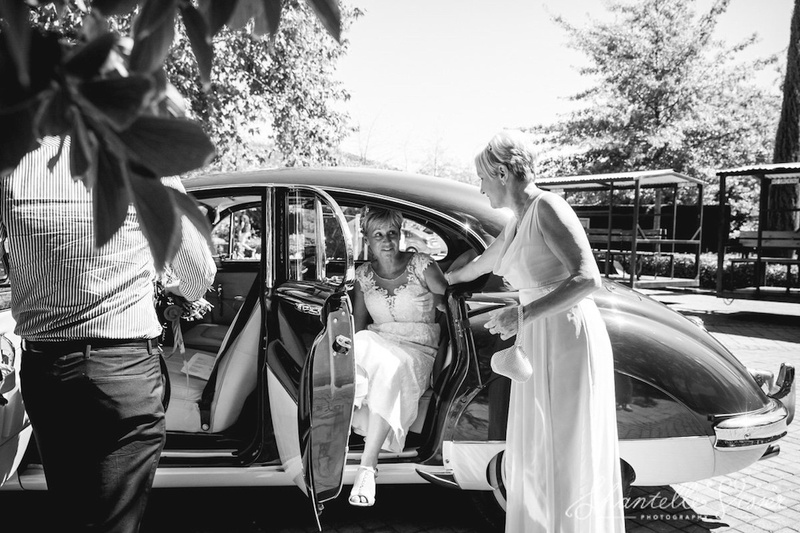 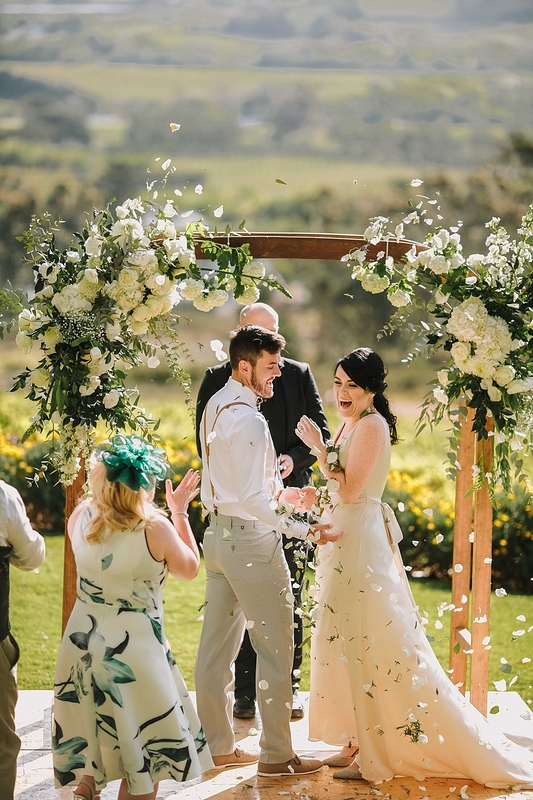 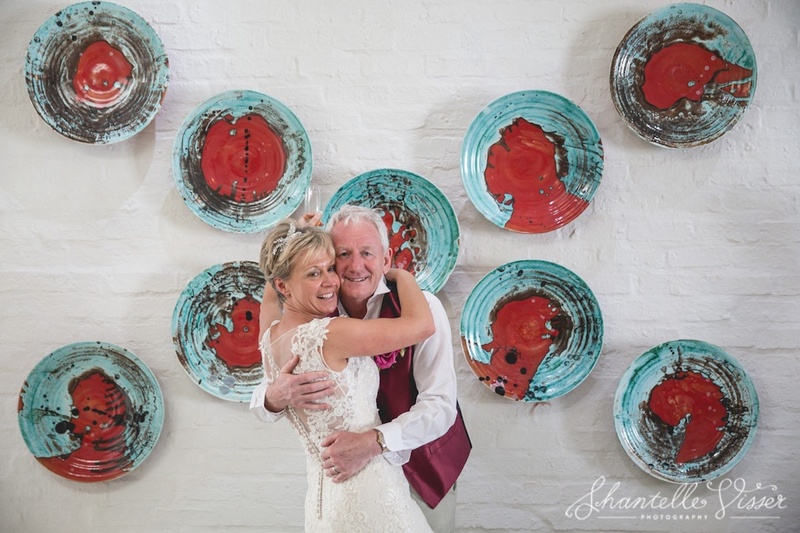 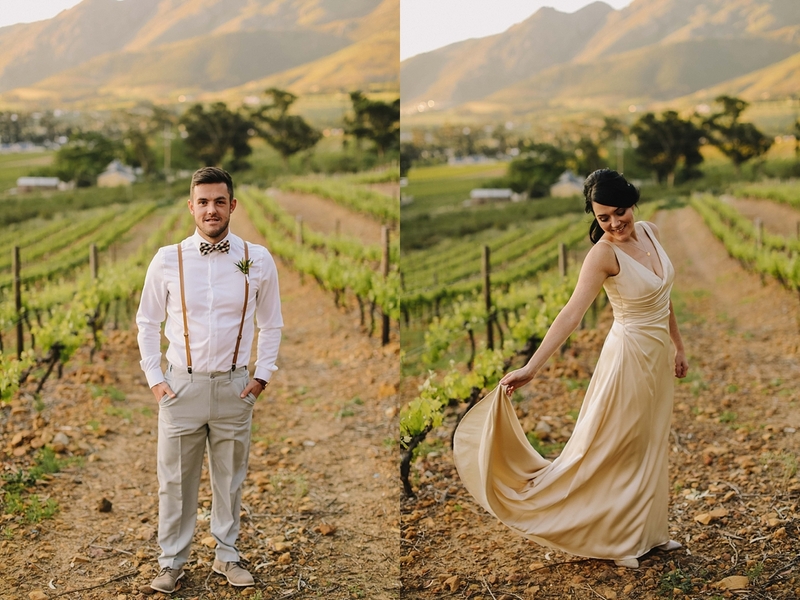 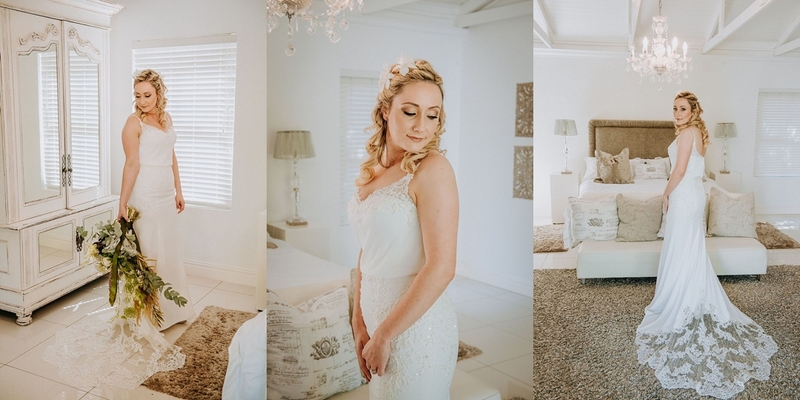 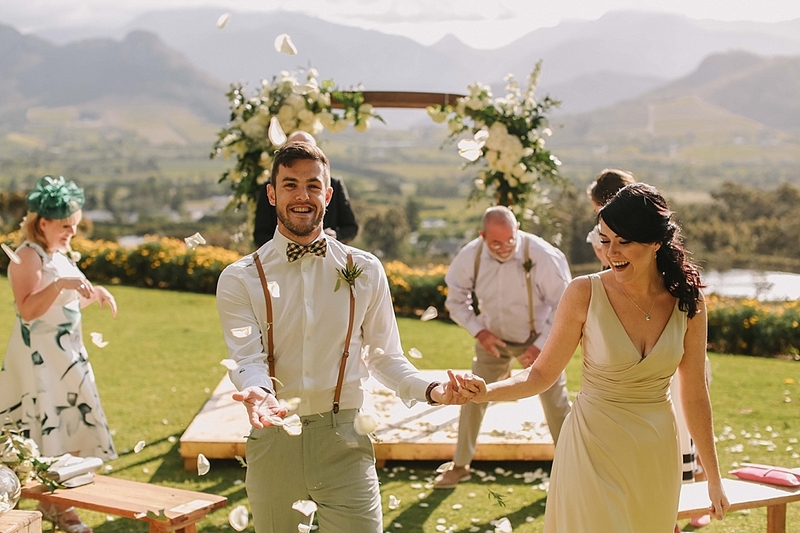 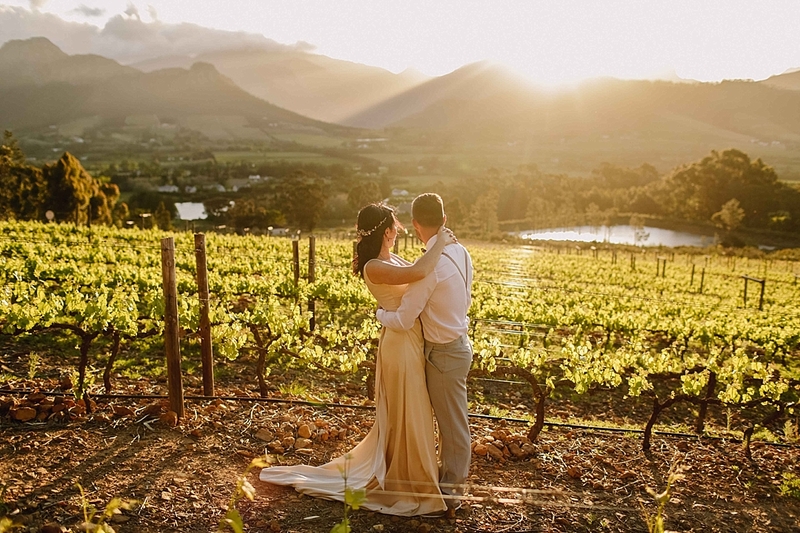 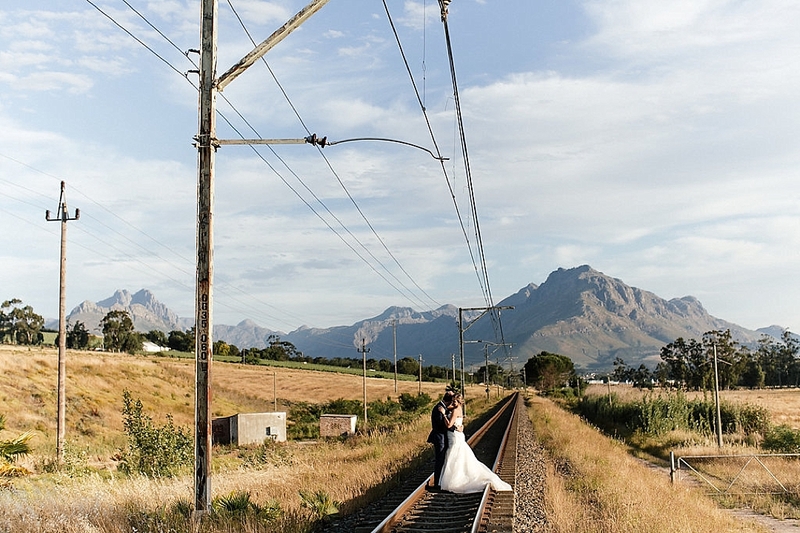 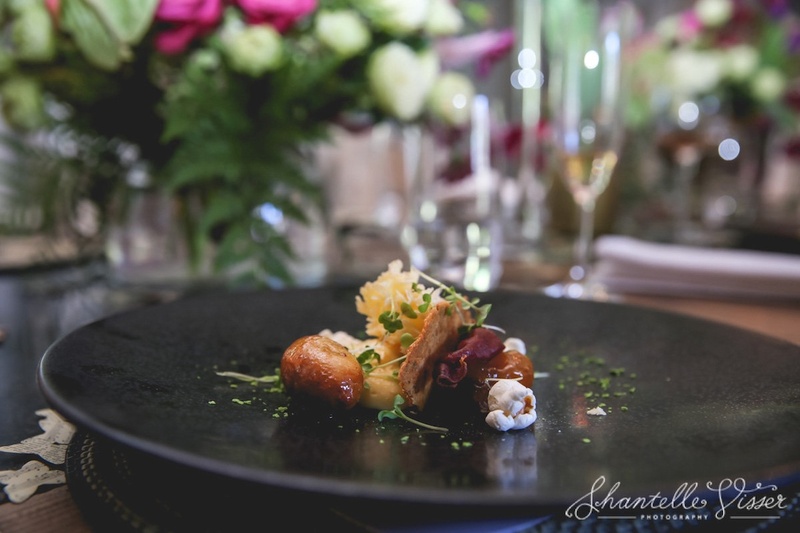 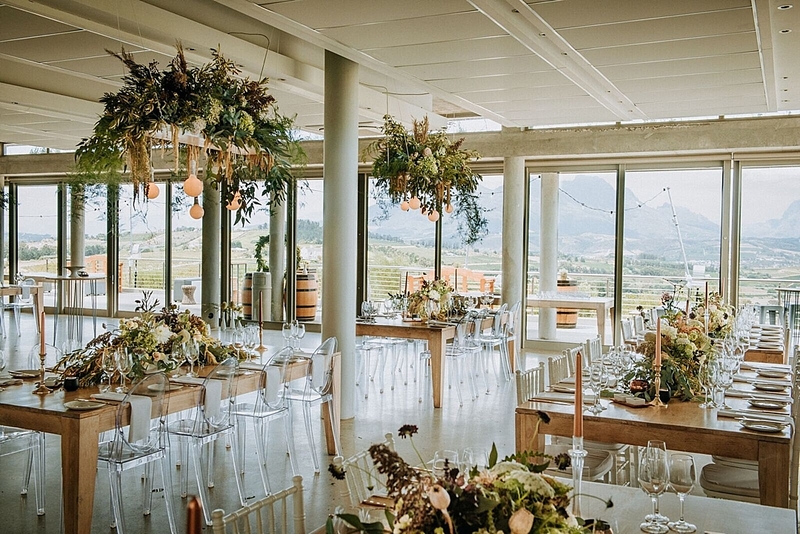 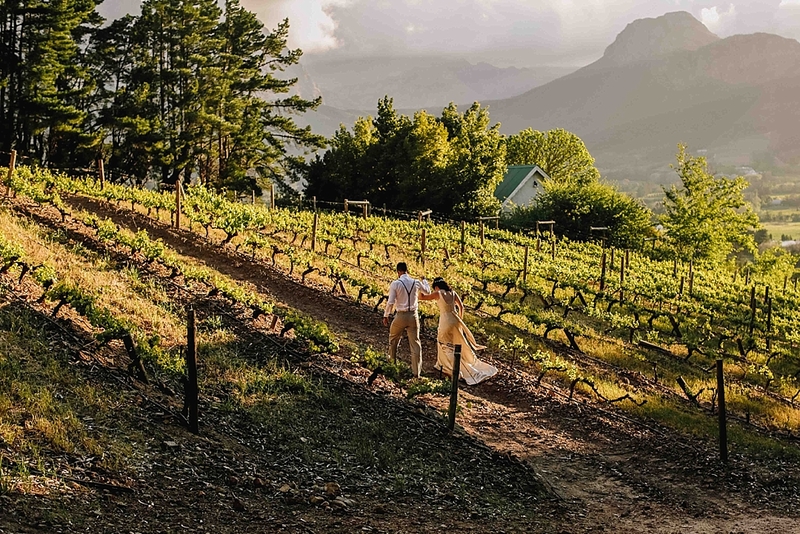 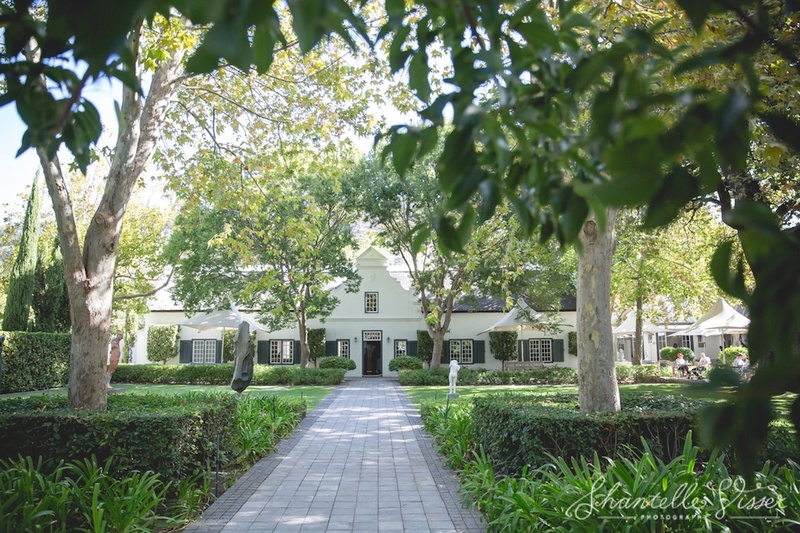 The couple chose the stunning Molenvliet Wine Estate as their wedding venue and with guests flying in from around the world, this was the perfect spot to show off the amazing beauty our country offers. 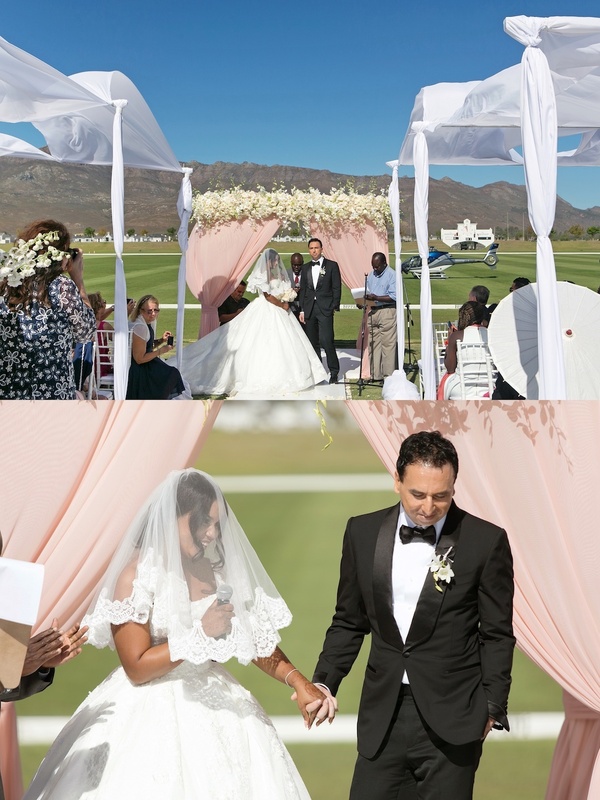 We will let the images speak for themselves, but it must be said that the first conversation we had with Meghna was about her vision for the ceremony canopy she wished to have designed built. 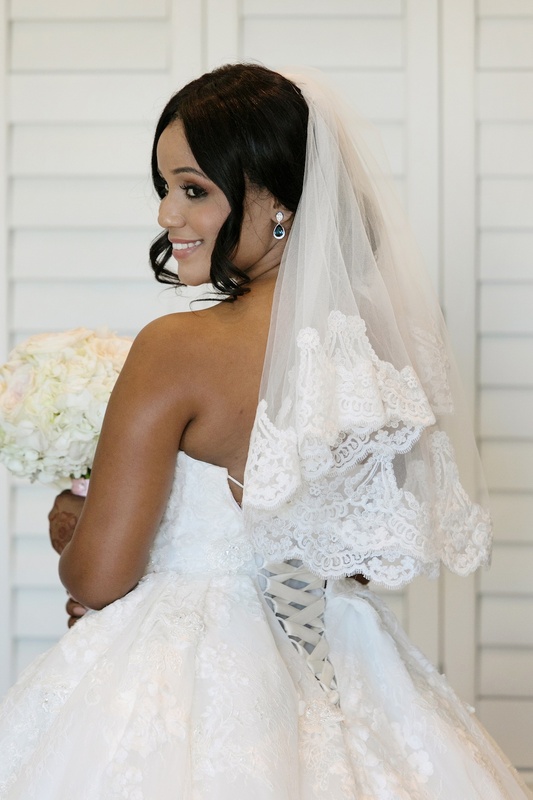 She knew exactly what she wanted and Angie from My Pretty Vintage got it 100% spot on! 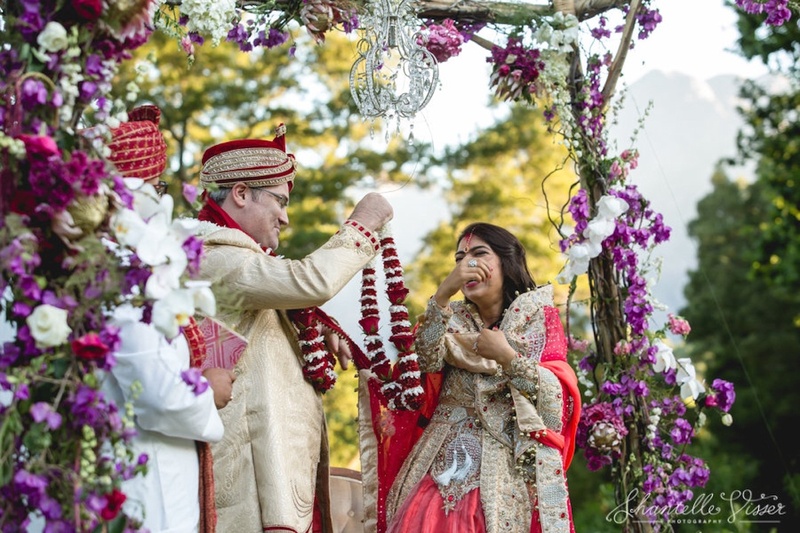 Thank you to all the amazing suppliers who made this wedding possible and to Meghna and Andrew for trusting us with your dream. 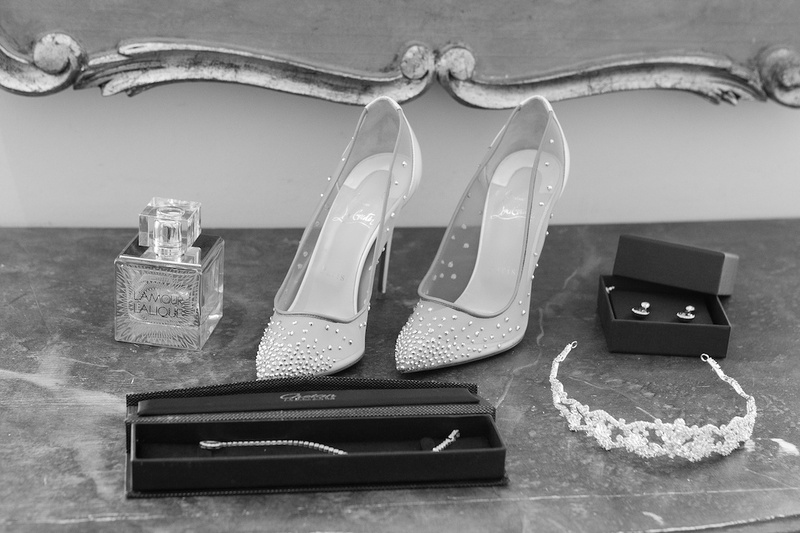 Scroll down to the bottom to see our list of suppliers. 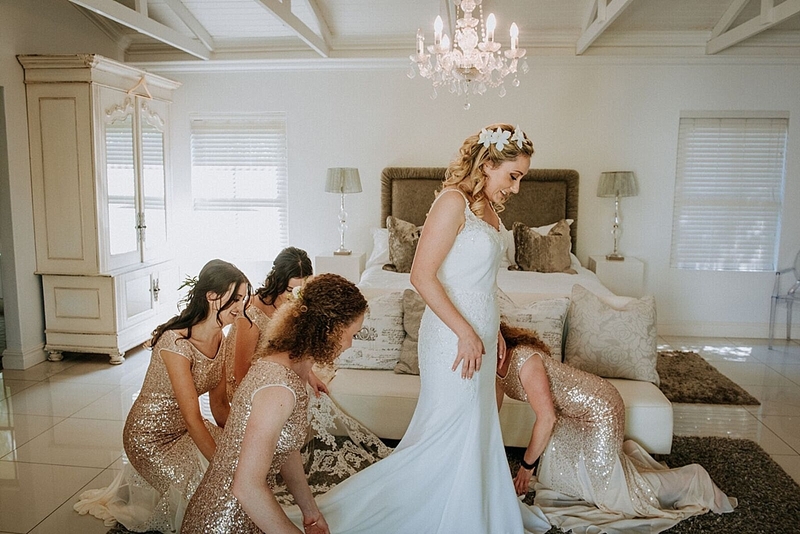 “Niki and Madri, it has been a journey and a real pleasure working with both of you… your little touches of checking on me and being a split second away from rescuing any and every situation made you both a fabulous team!